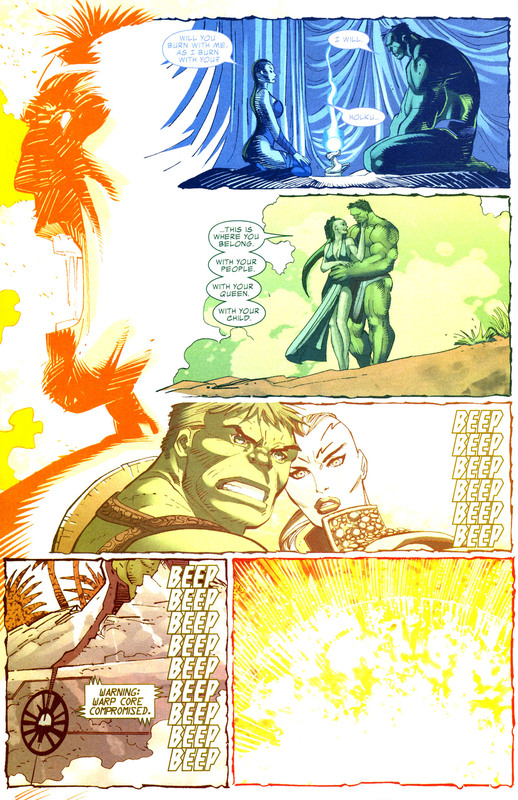 Hulk has returned to Jarella’s world of K’ai to bury her body. 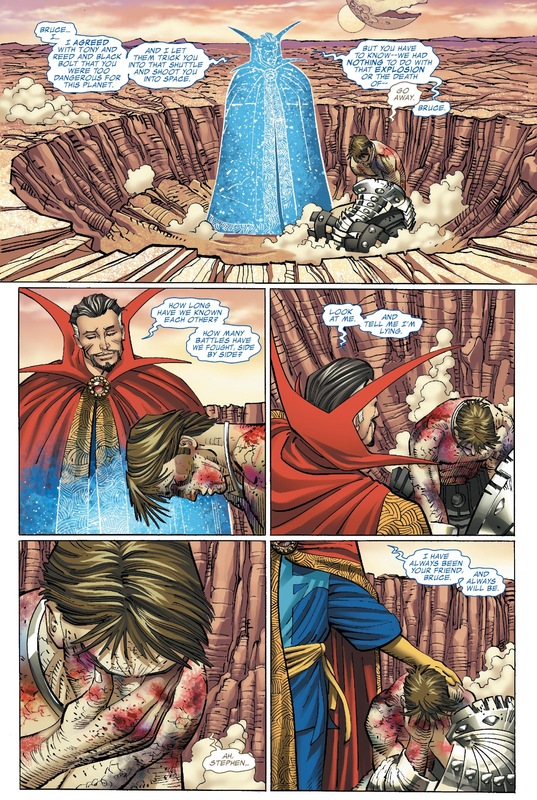 Having found the world decimated since he last visited it he was taken to the Valley of Life to bury his love. 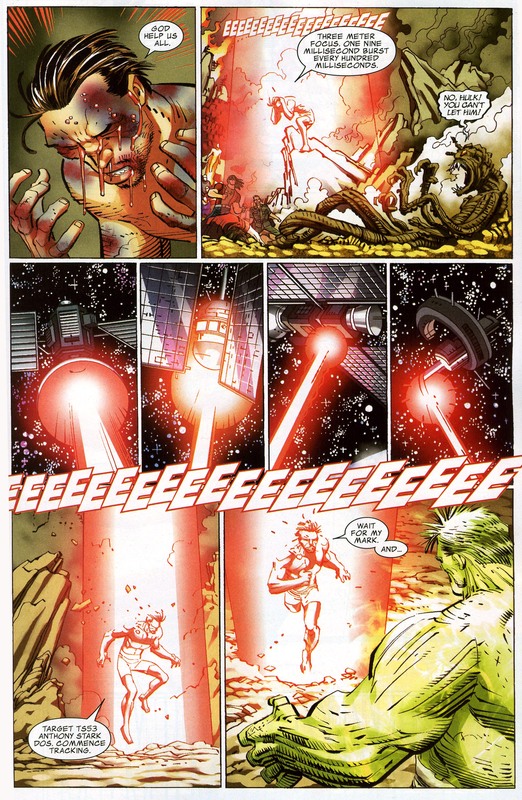 There he was attacked by The Gardener who refuses to let any living humanoid set foot in his small paradise. 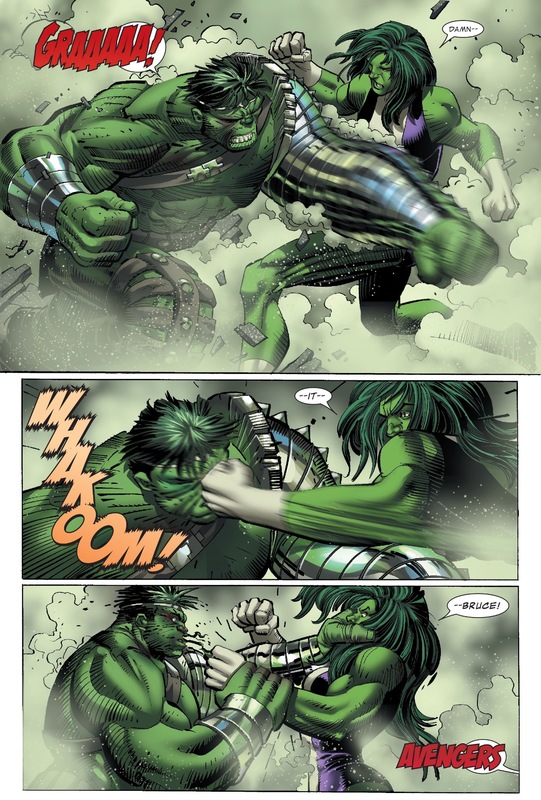 Bound in vines, the Hulk demands that the Gardener to let him free so he can bury Jarella. 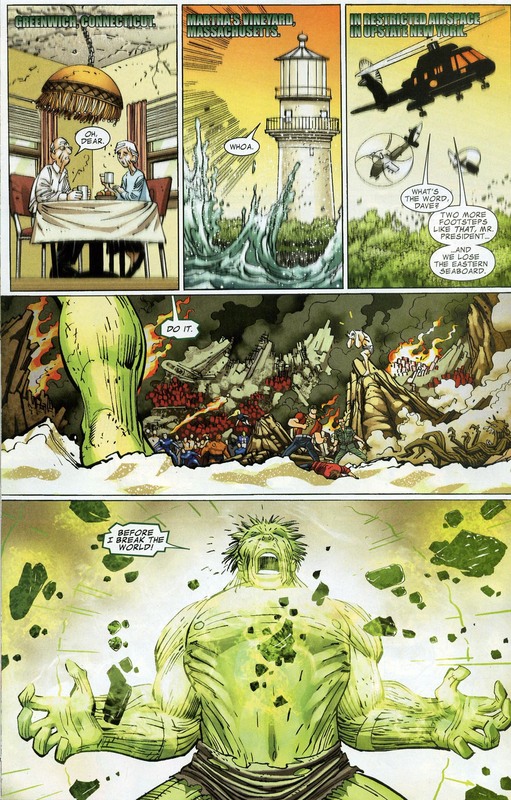 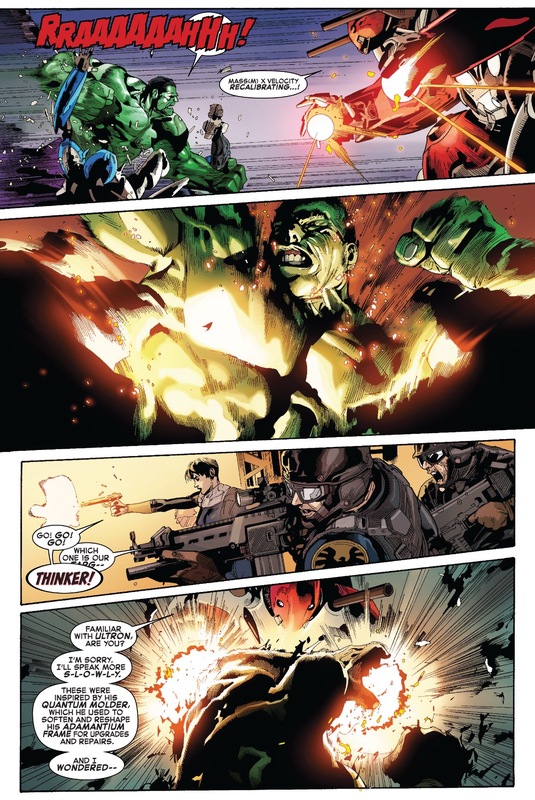 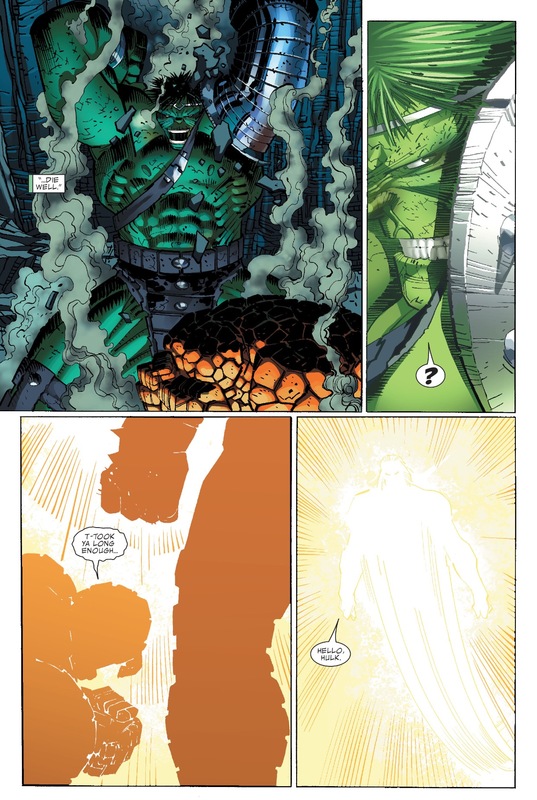 The Gardener refuses, and as the Hulk continues to struggle, the Elder of the Universe realizes that he cannot explain himself to the Hulk in this state of mind. 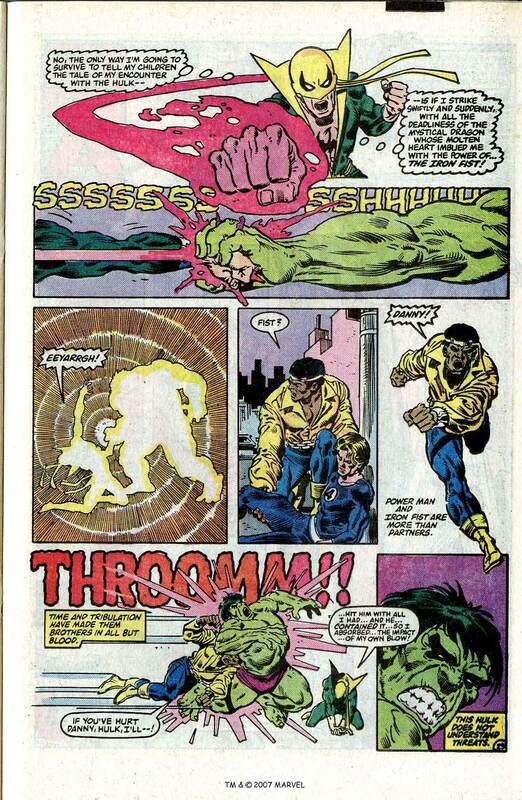 Using his Soul Gem, the Gardener awakens the mind of Bruce Banner…. 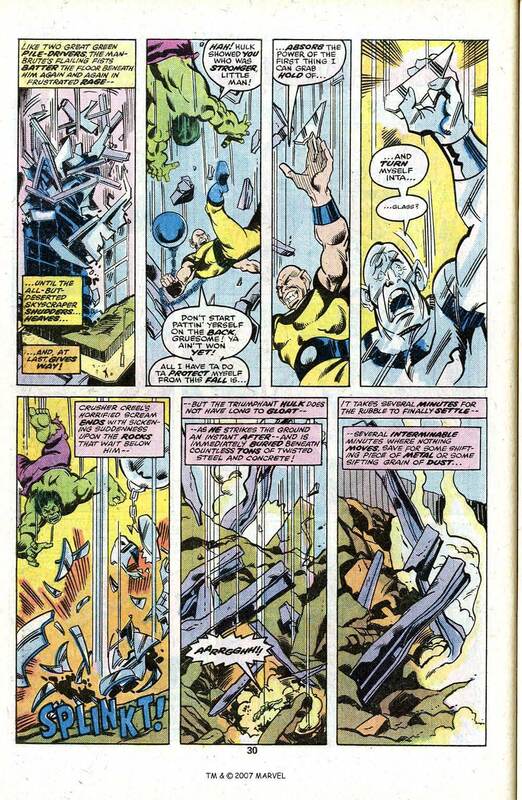 Although they are all referred to as Soul Gems here, these are actually the Infinity Gems which are not called by that name until Silver Surfer Vol 3 #44. 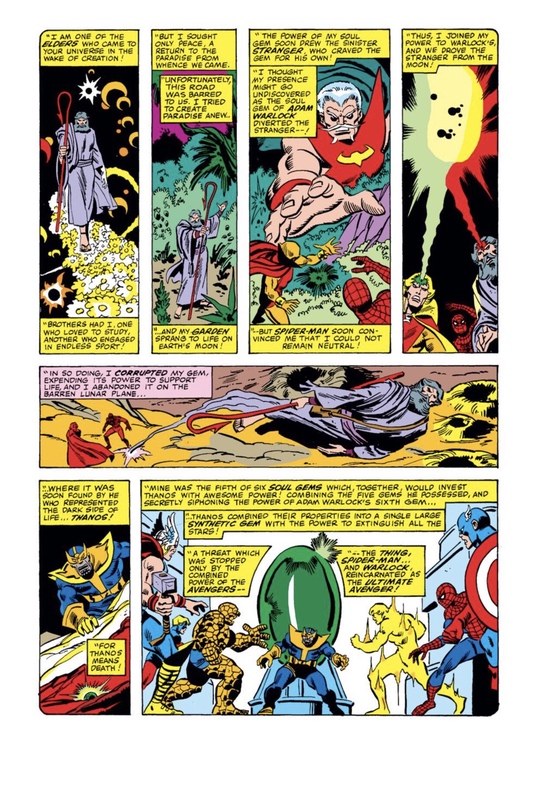 Official Handbook of the Marvel Universe A-Z #5 clarifies that the Infinity Gem that the Gardner had in his possession on the moon was actually the Time Gem. 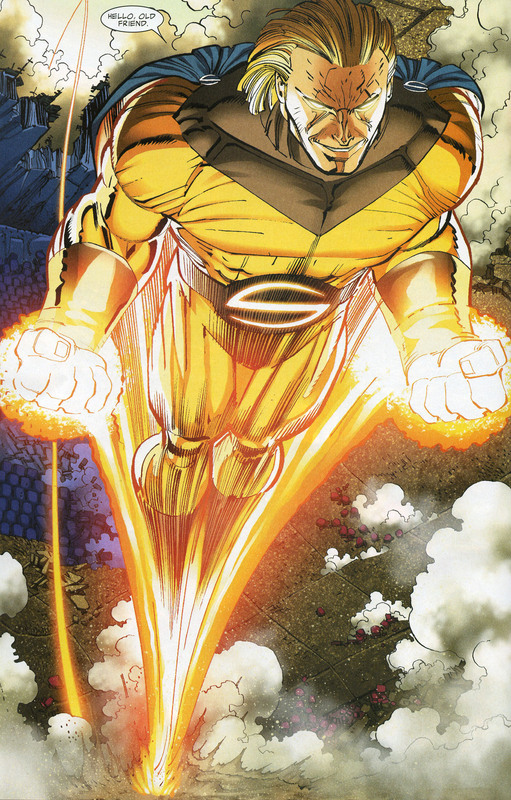 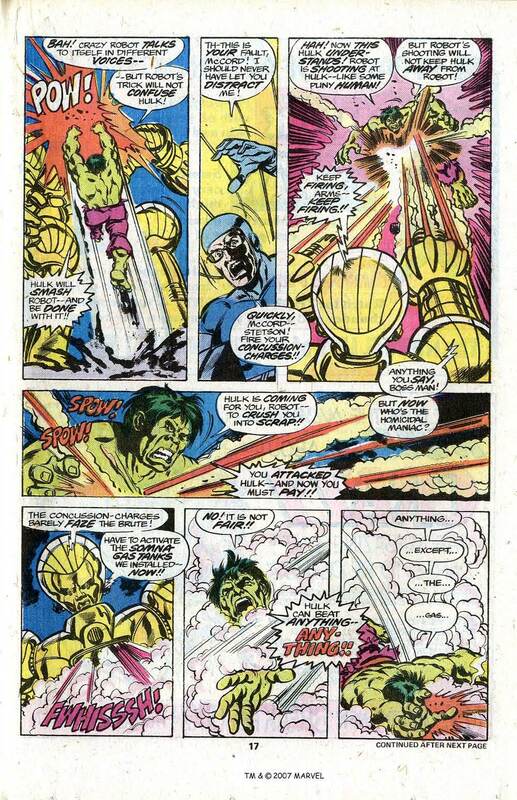 It also confirms that the Gem used by Adam Warlock was specifically the Soul Gem. 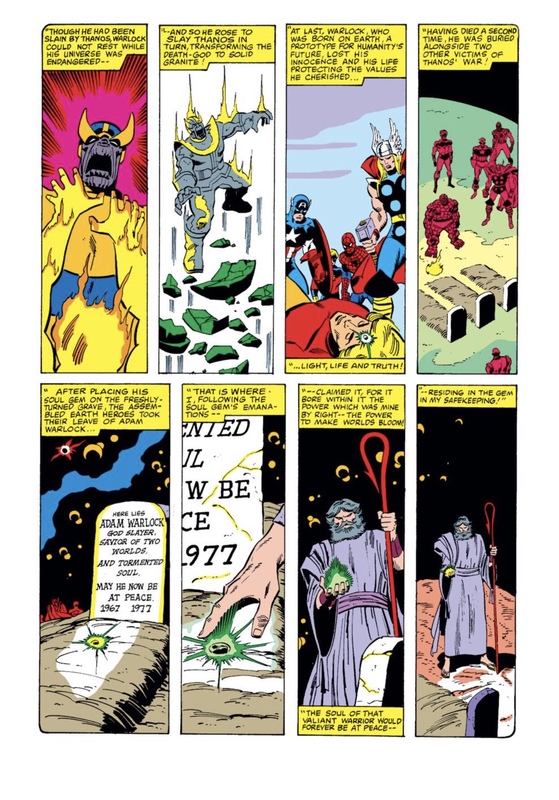 He explains how he, like the other Elders of the Universe, have one single obsession to govern the eons-long lifetimes, with his being Gardening. 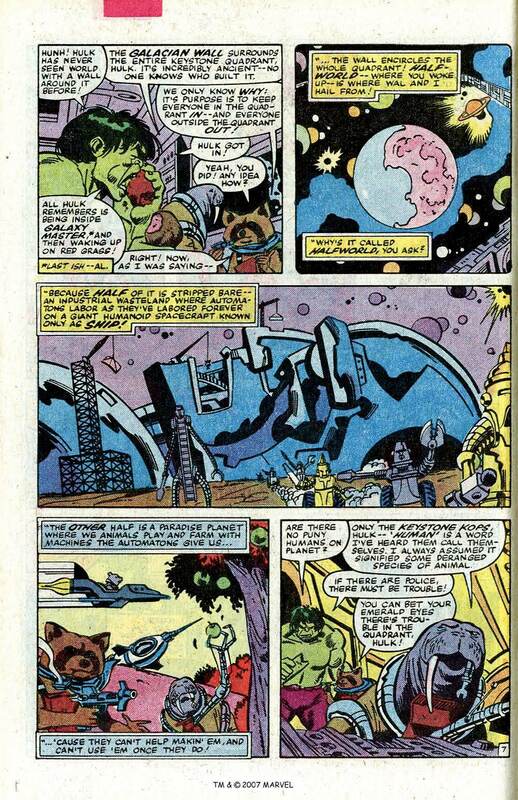 He tells how he obtained a Soul Gem and used it recently to create a lush garden on Earth’s Moon. 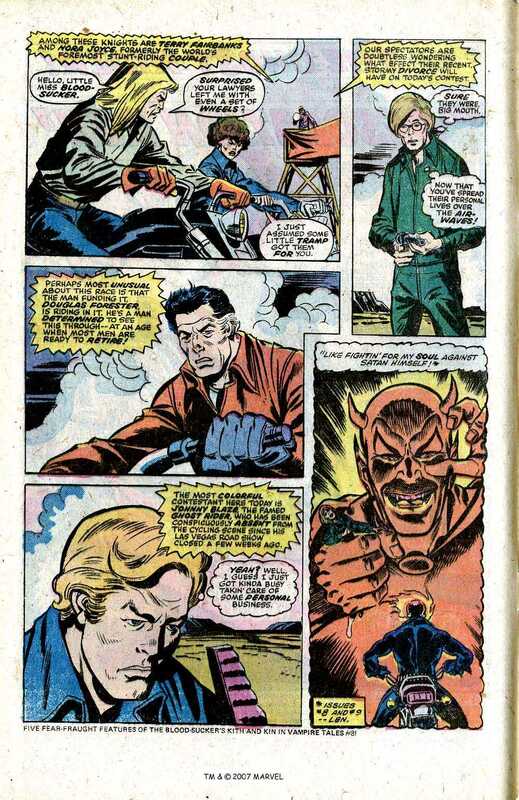 When the Stranger came to his paradise, the Gardener got assistance in dispelling the invader with the aid of Spider-Man and Adam Warlock. 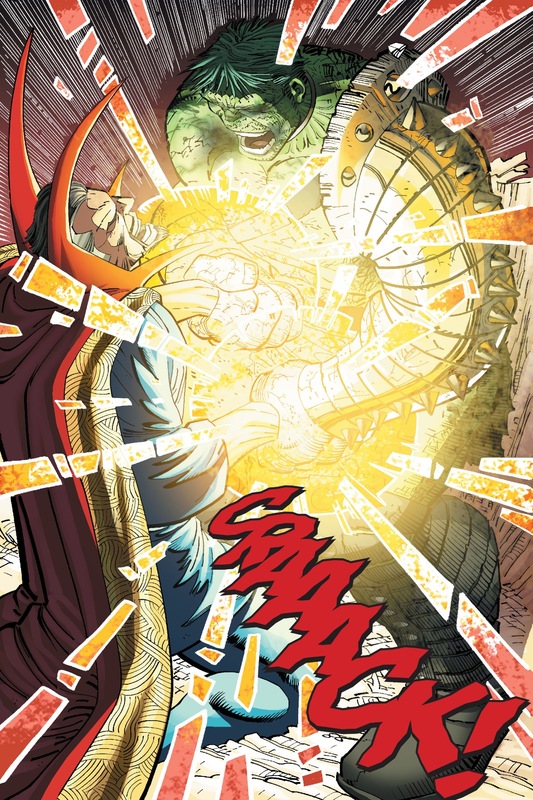 Warlock and the Gardener combined the power of their Soul Gem’s in order to repel the Stranger. 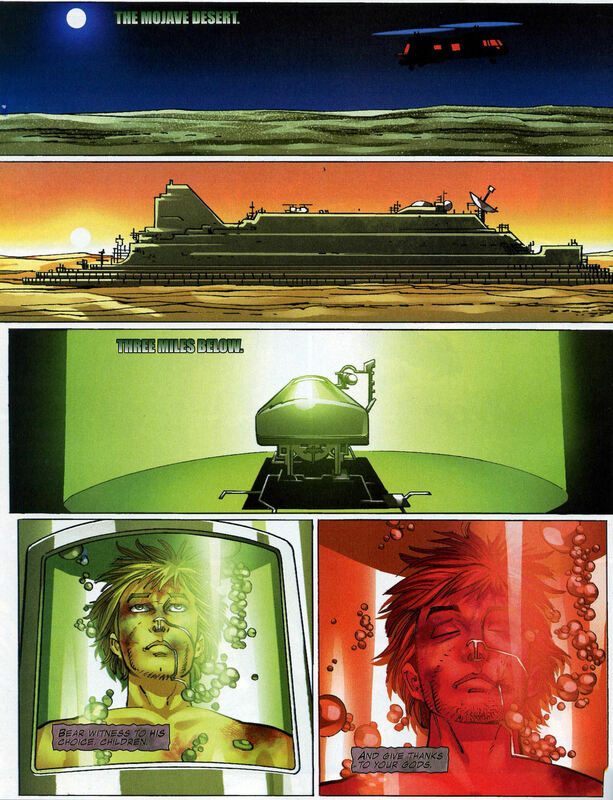 However, thinking that he had tainted his Gem’s ability to sustain life on the moon, the Gardener left, leaving the Gem behind. 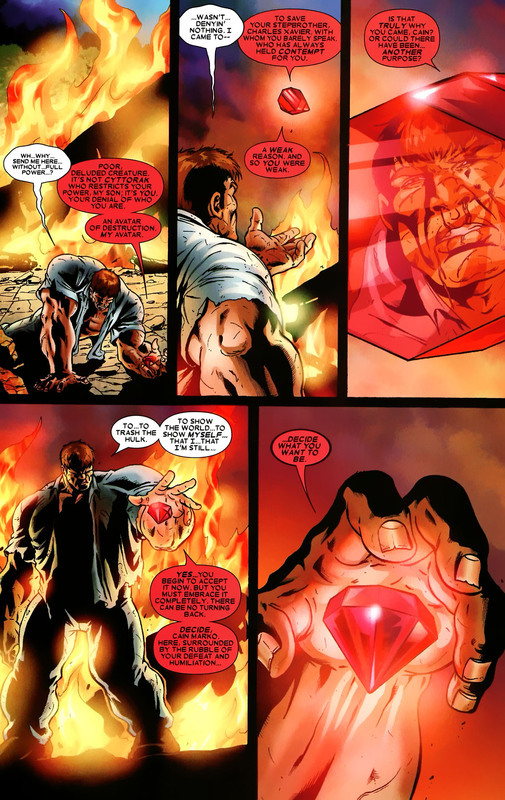 This Gem ended up in the possession of the Mad Titan known as Thanos, who was collecting all the Soul Gems to power a massive synthetic gem which he plotted to use to snuff out all the stars in the universe. 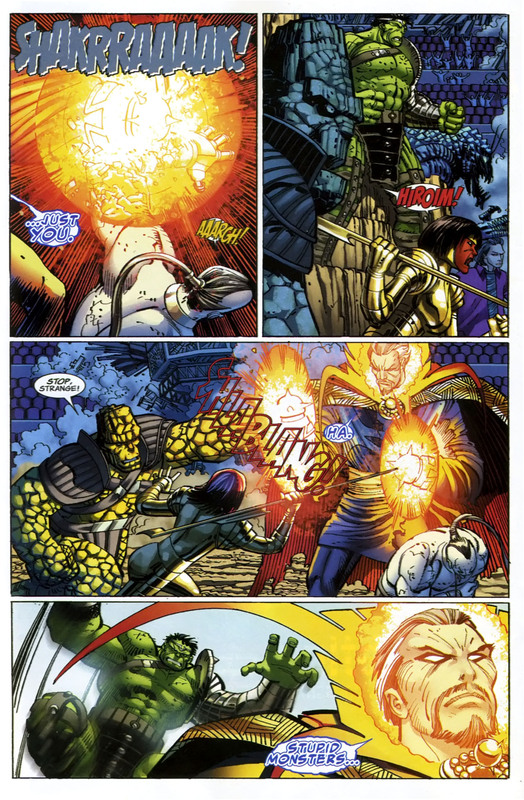 Thanos was stopped thanks to the combined efforts of the Avengers, Spider-Man, the Thing and Adam Warlock. 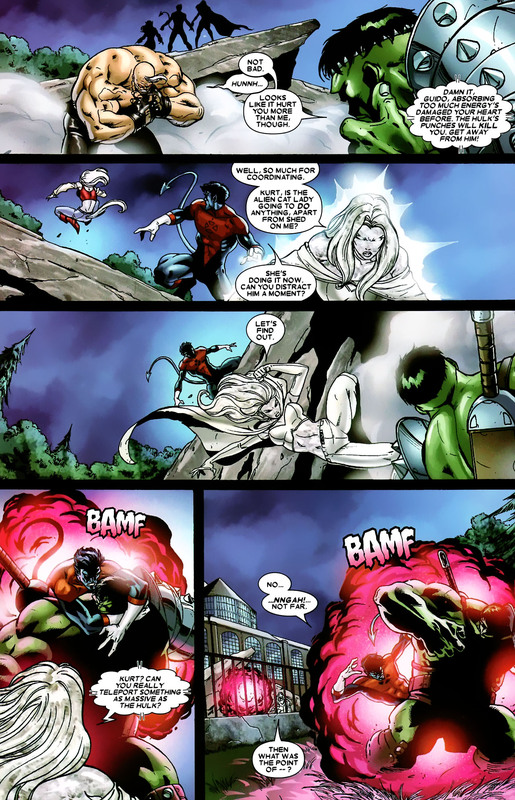 However, Warlock perished while turning Thanos into stone. 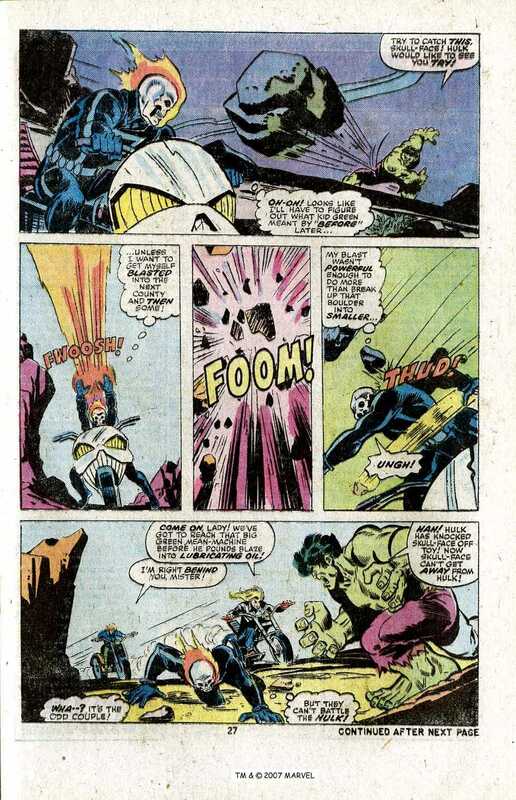 The heroes then buried Warlock’s body on an asteroid and left his Soul Gem there on his grave. 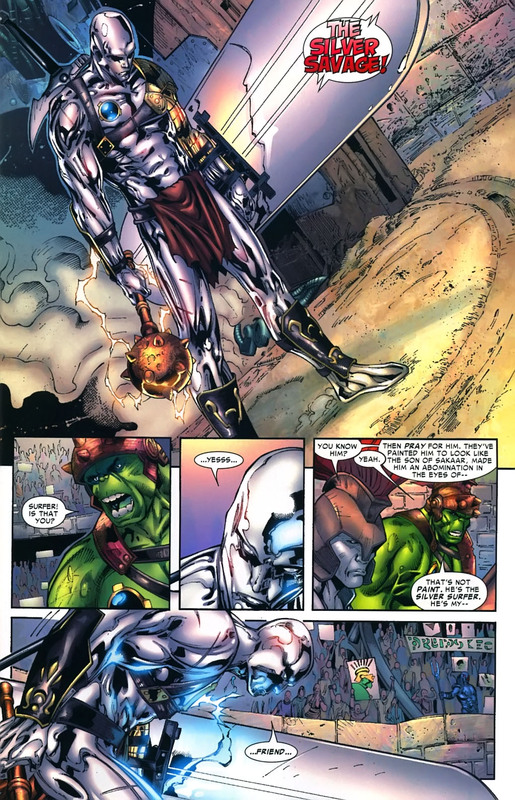 The Gardener later came and collected the Soul Gem and took it with him to K’ai where he created the Valley of Life. 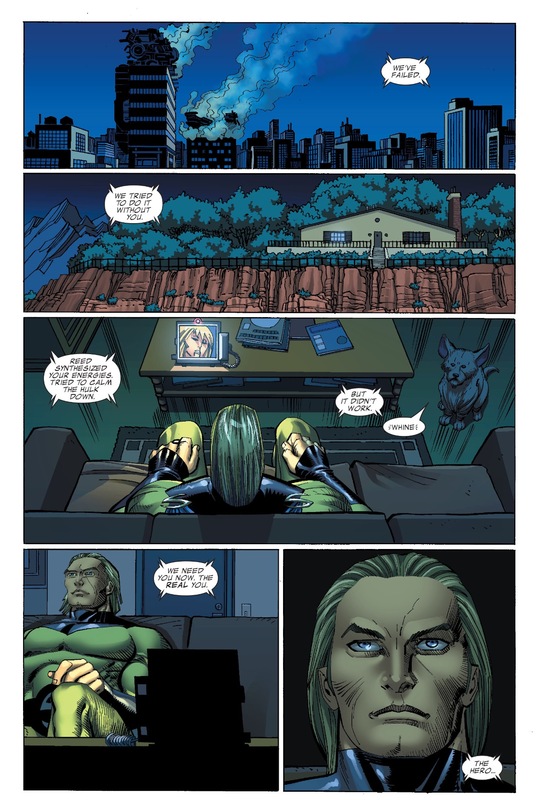 Remembering how his last paradise was tainted, the Gardener vowed to never allow man to tread in his gardens again. 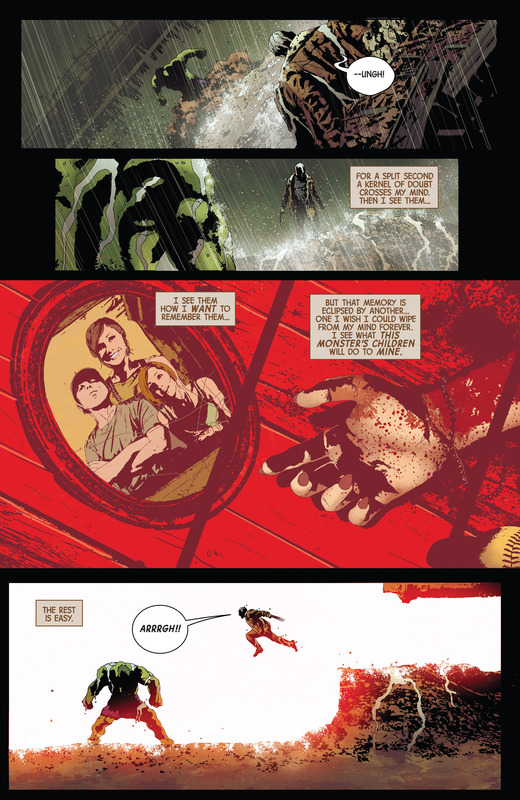 With the tale finished, Banner asks the Gardener to at least allow him to give the woman he loves a decent burial. 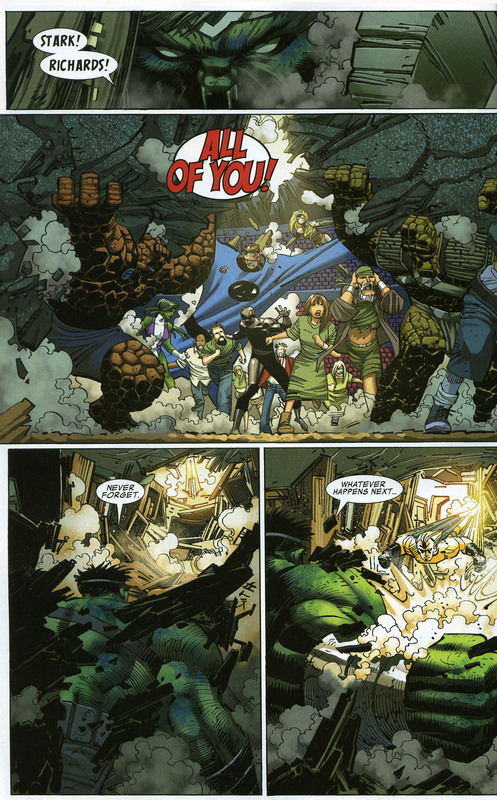 The Gardener refuses and carries Jarella’s body away, assuring Banner that she will be buried. 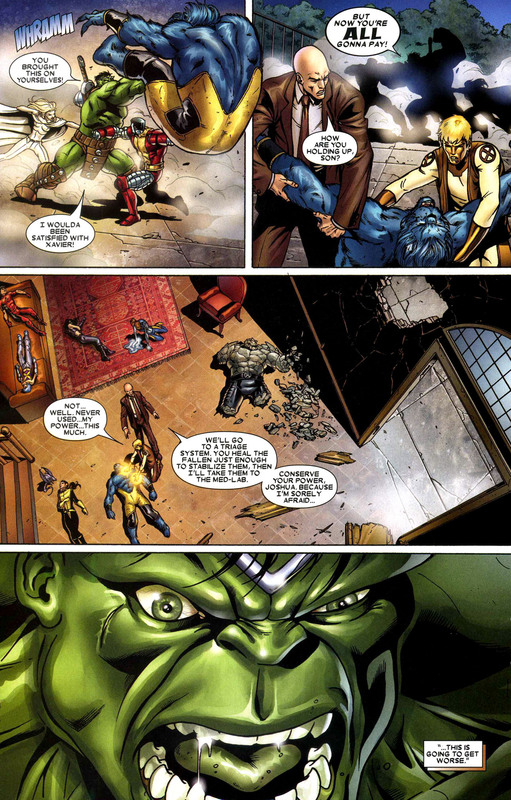 Having yet another thing taken away from him causes Banner to burst into tears. 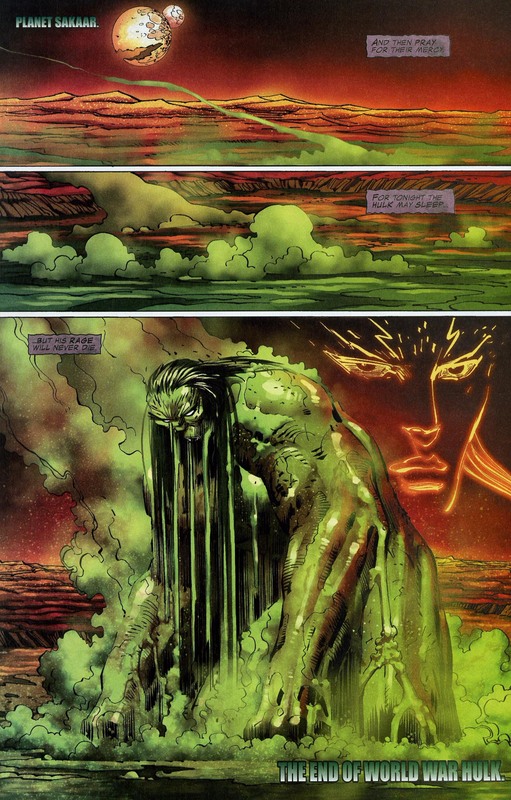 His sorrow is so great his body reverts back to human form, allowing him to get free of the vines he is caught in. 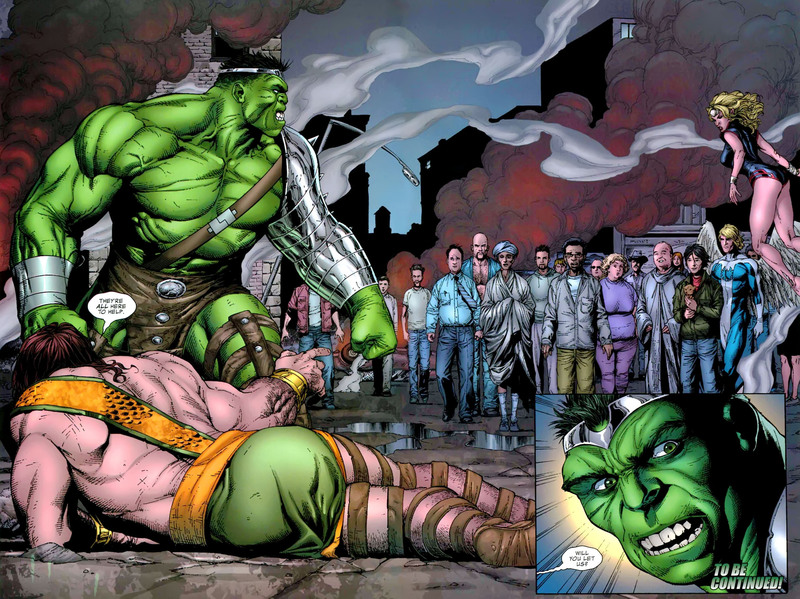 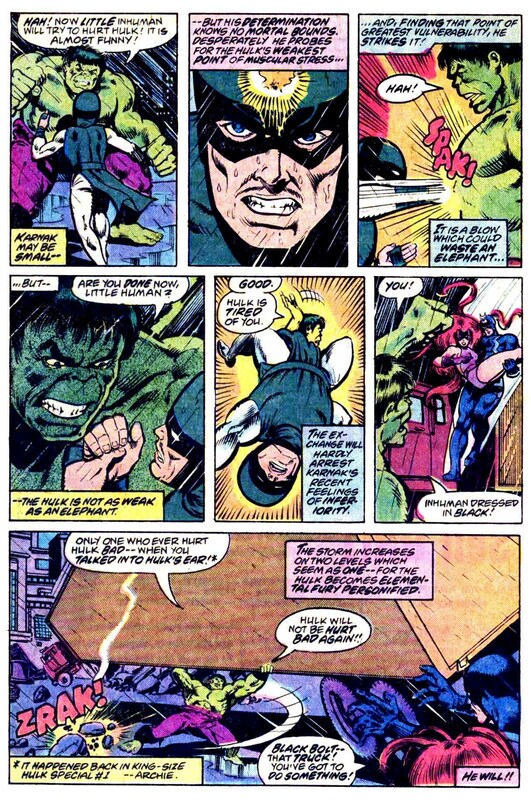 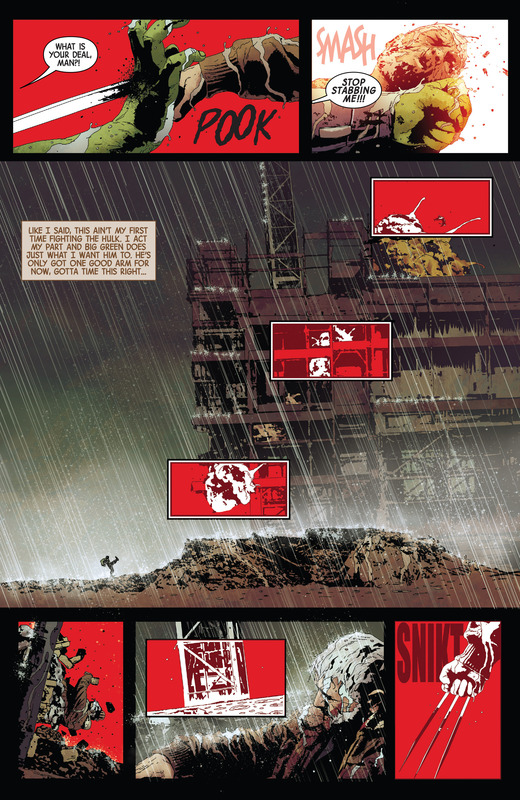 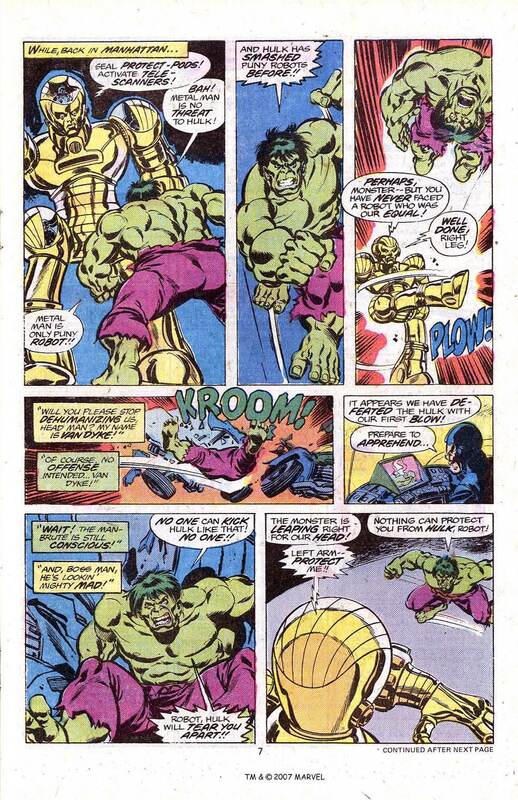 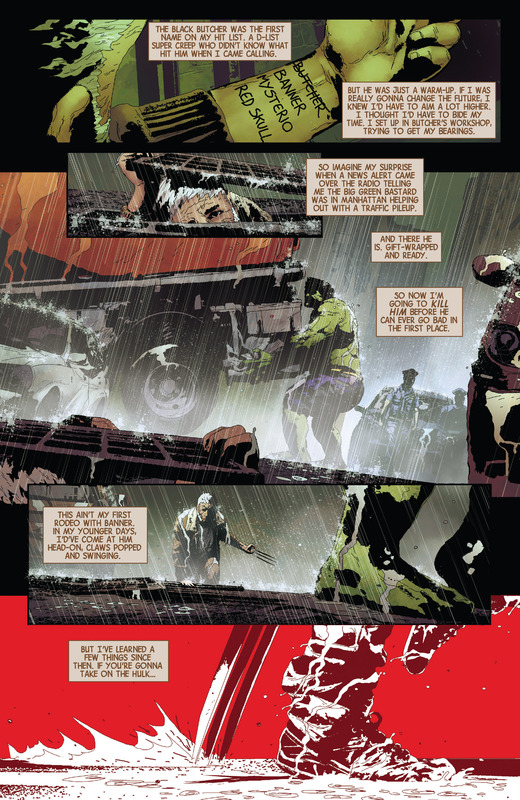 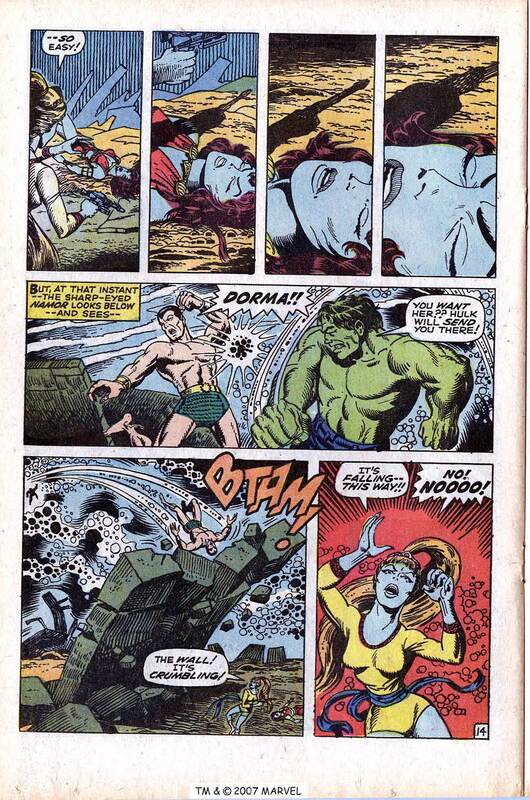 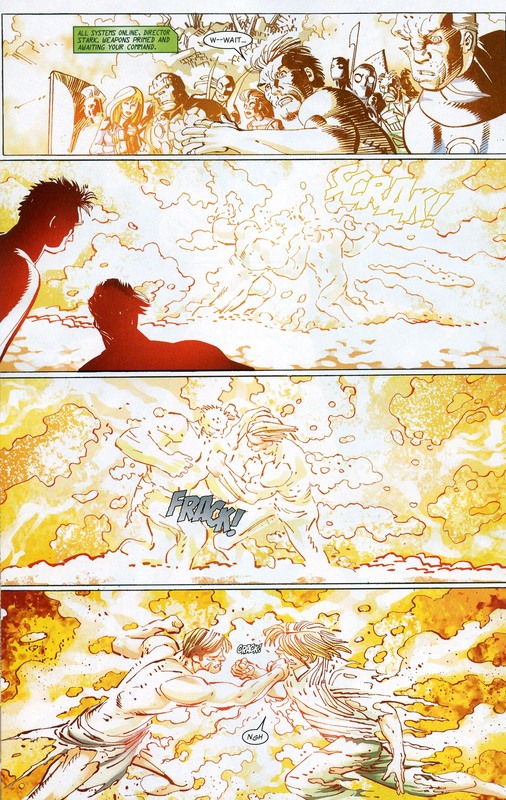 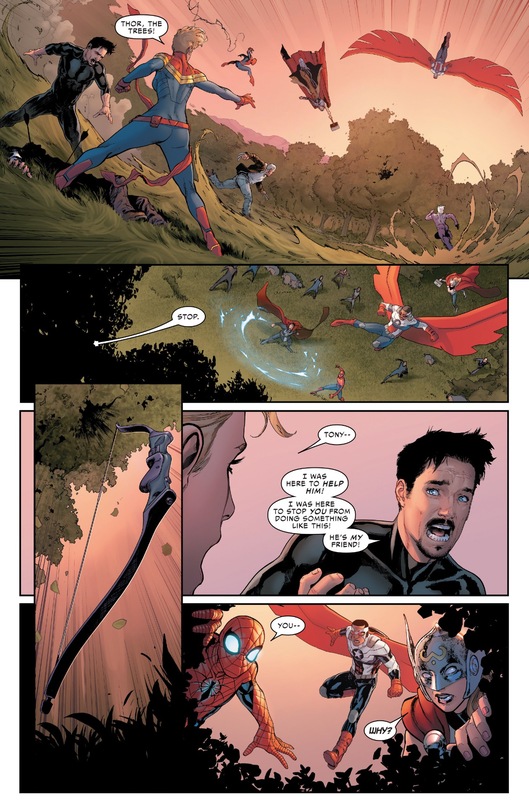 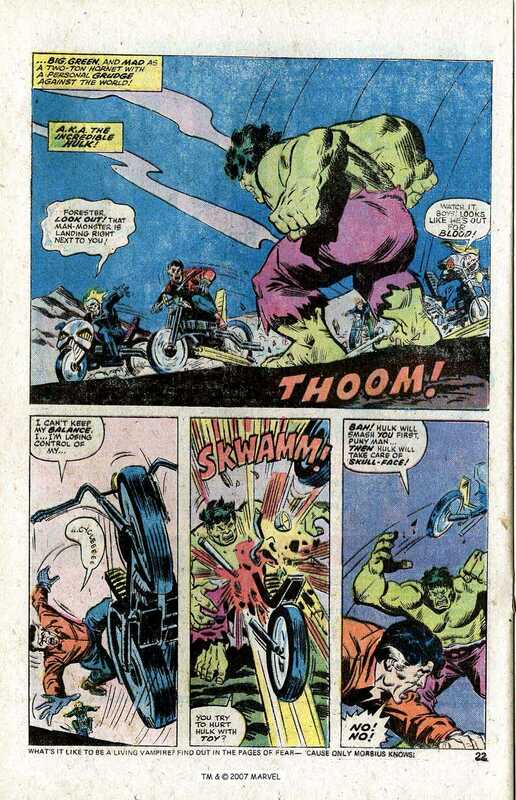 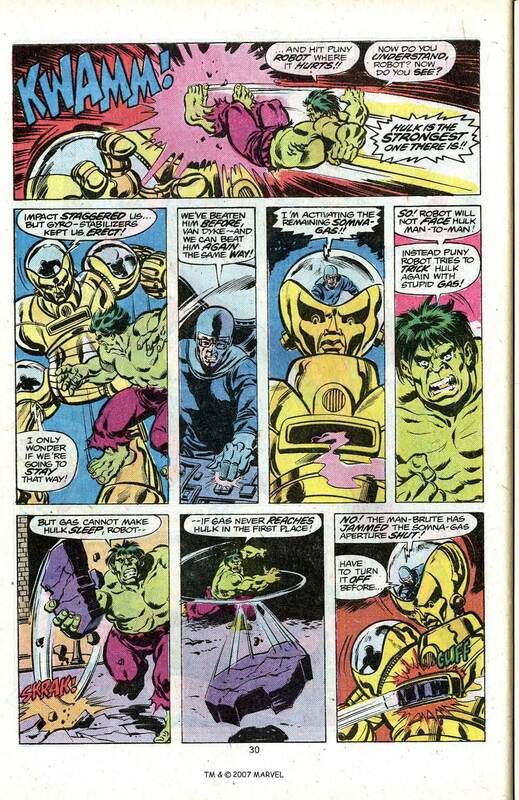 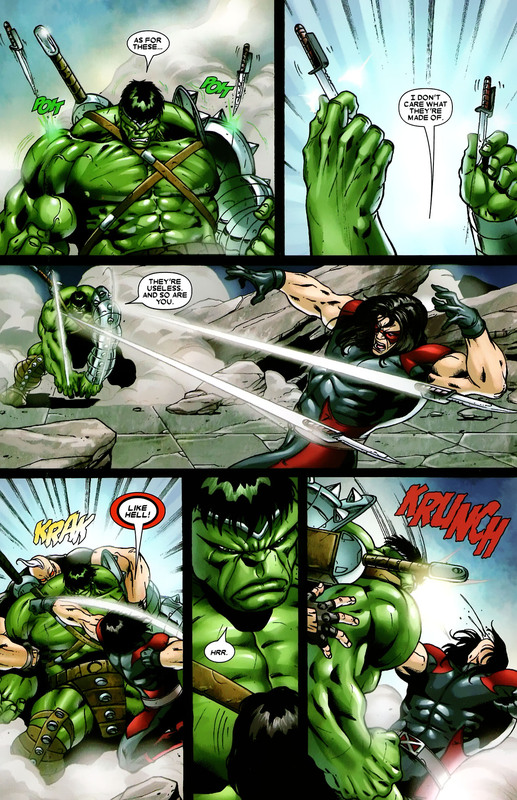 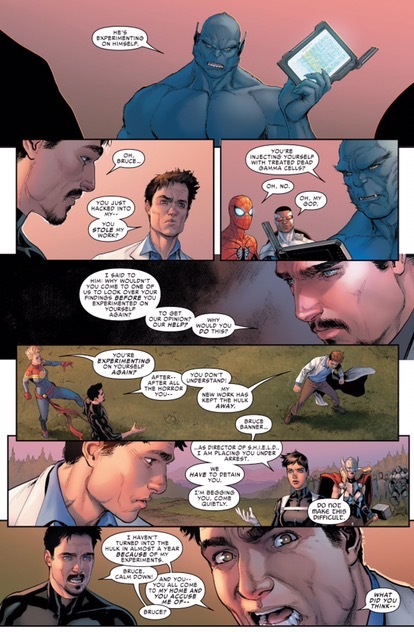 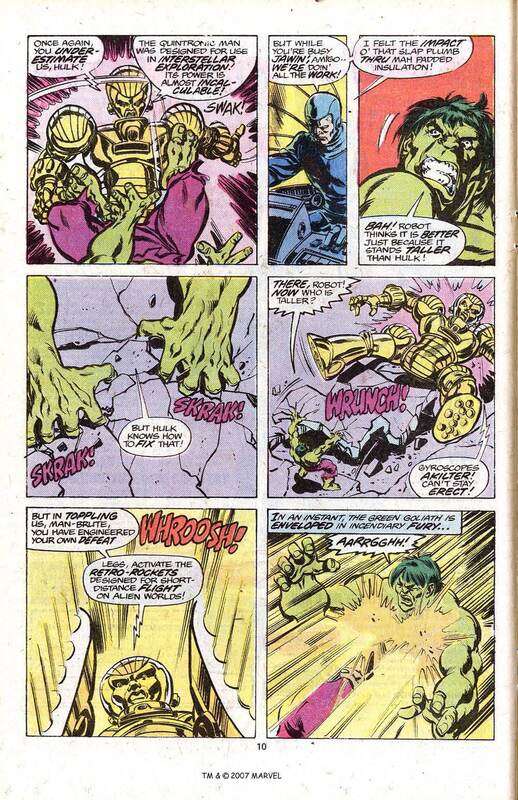 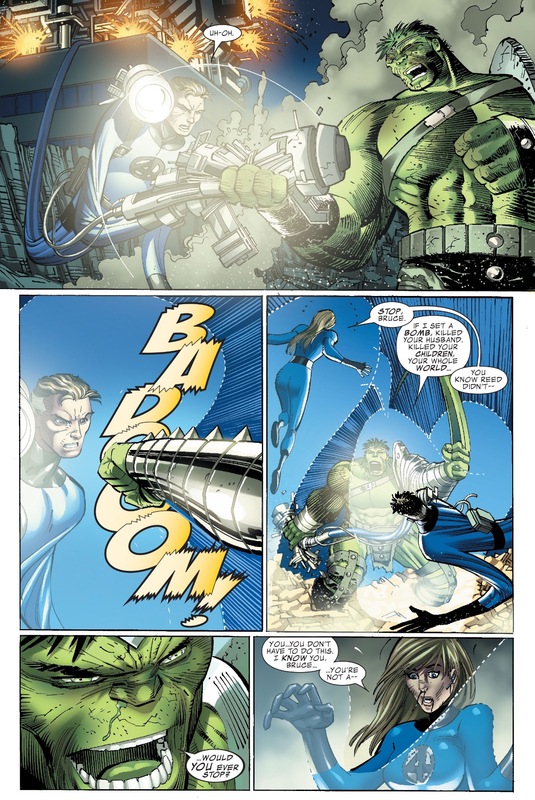 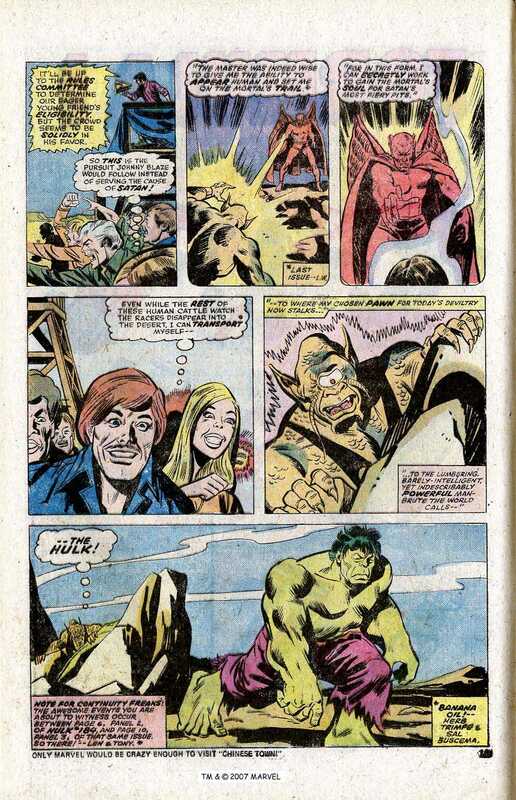 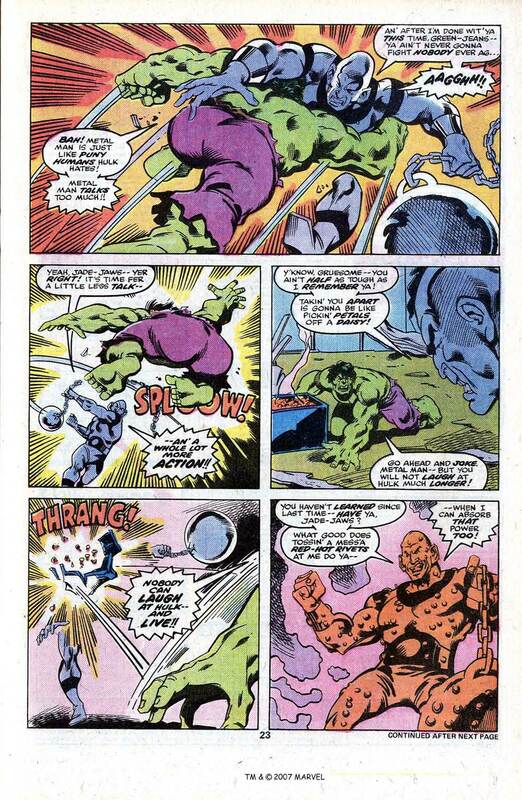 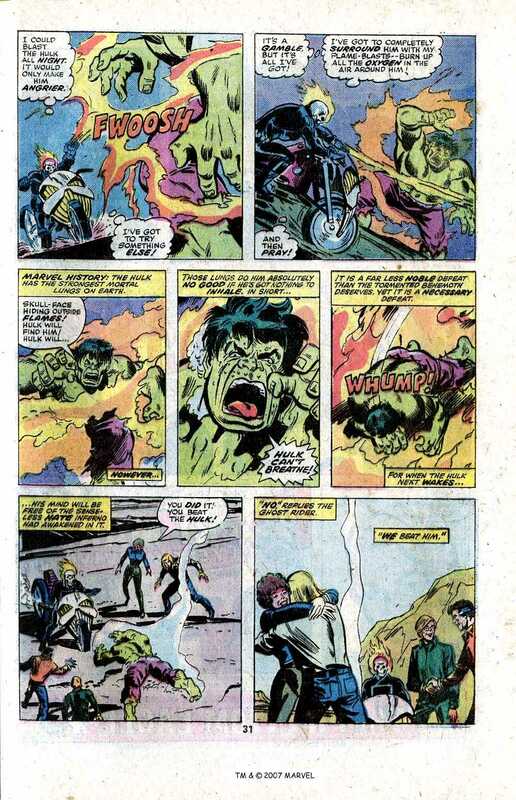 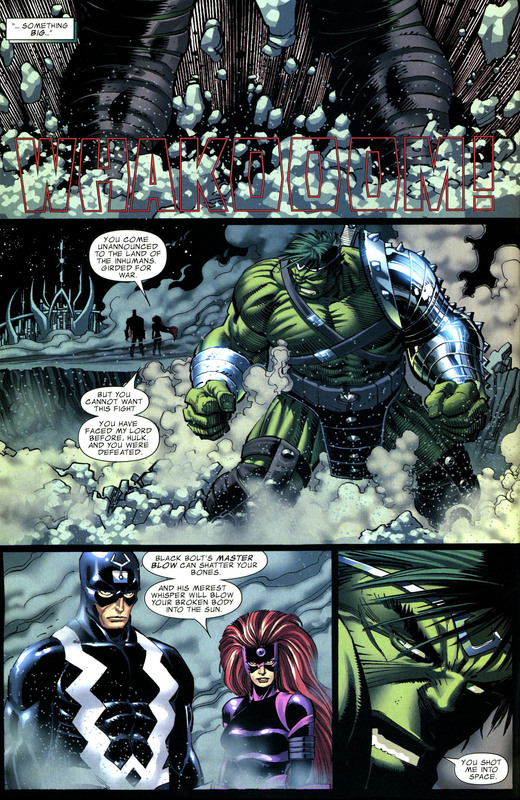 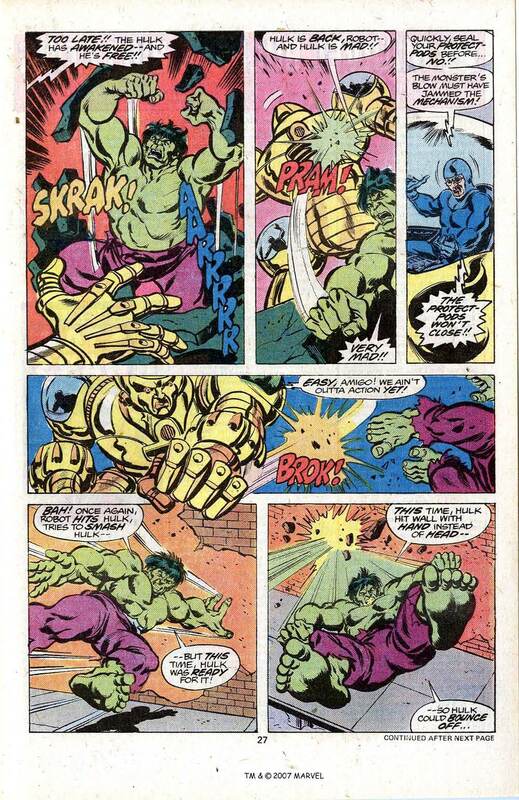 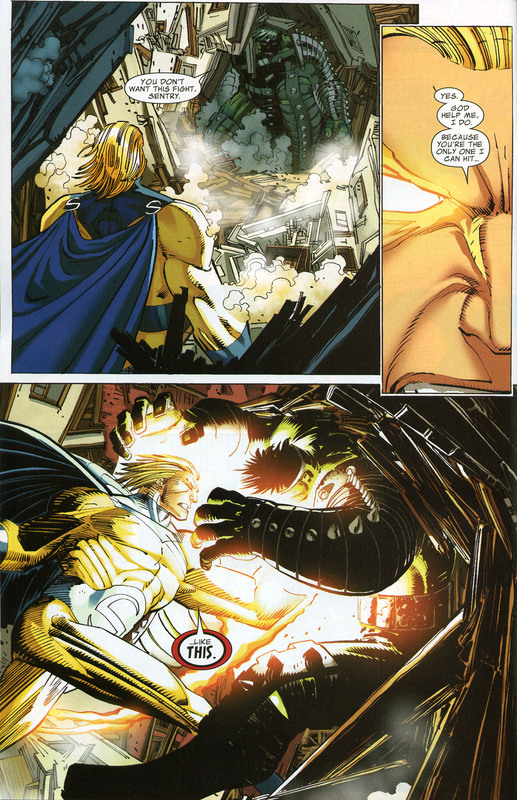 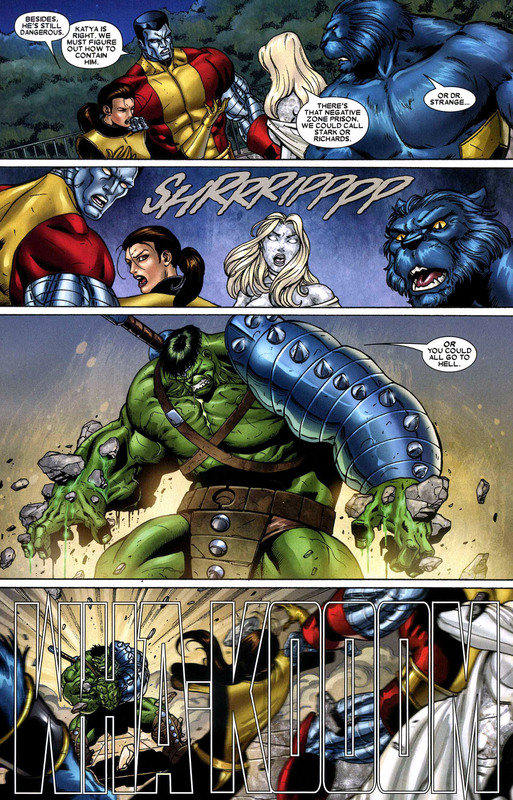 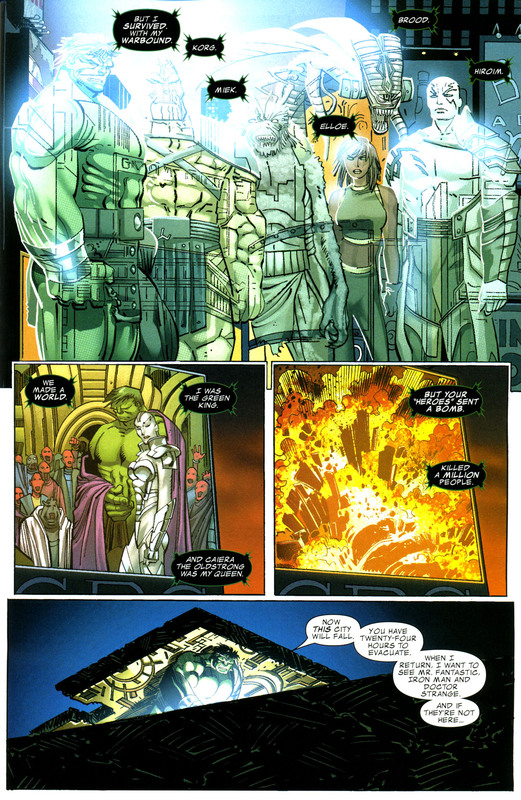 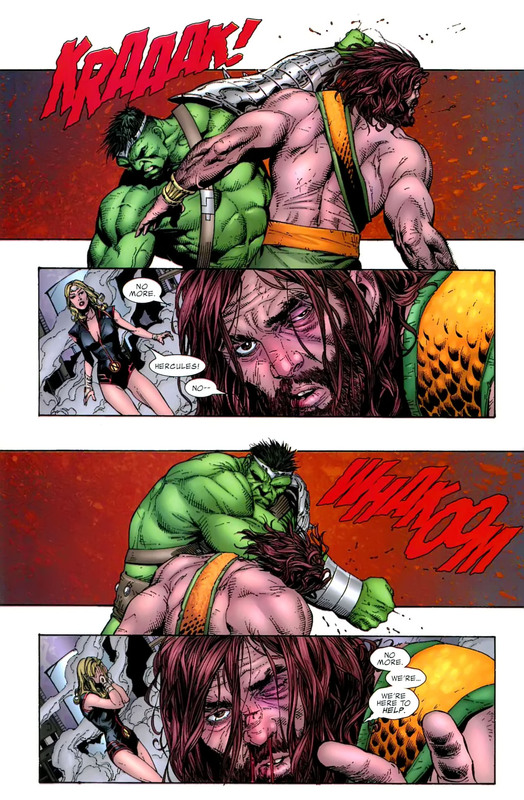 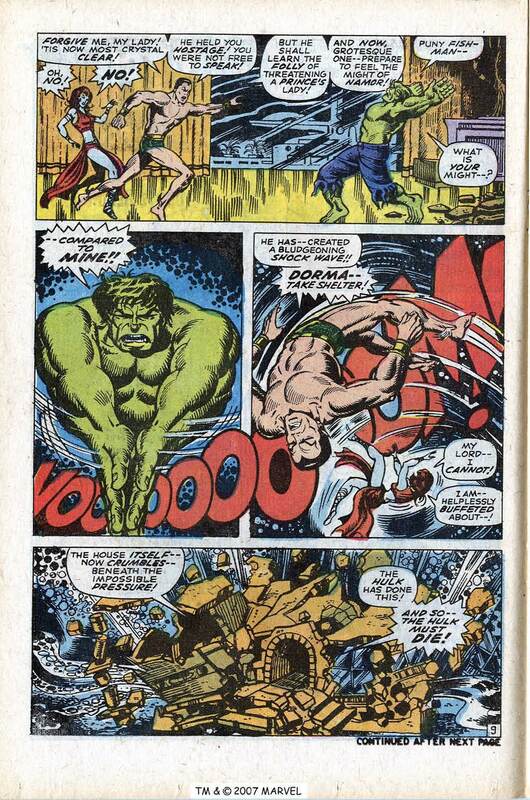 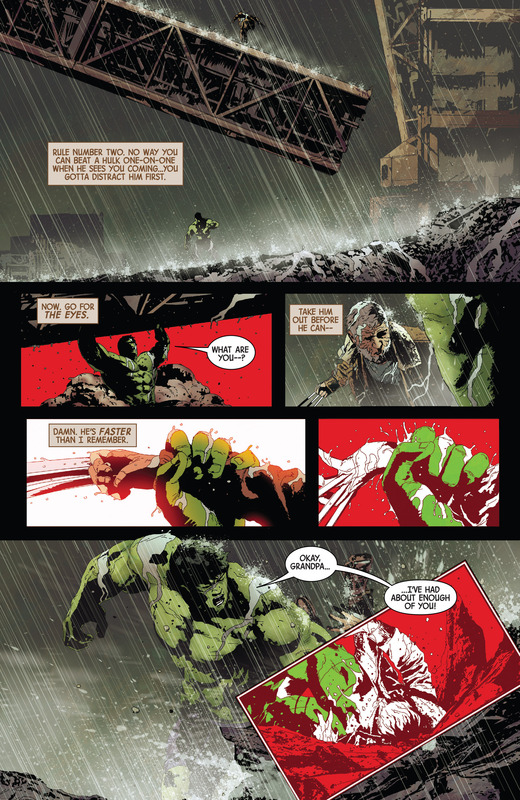 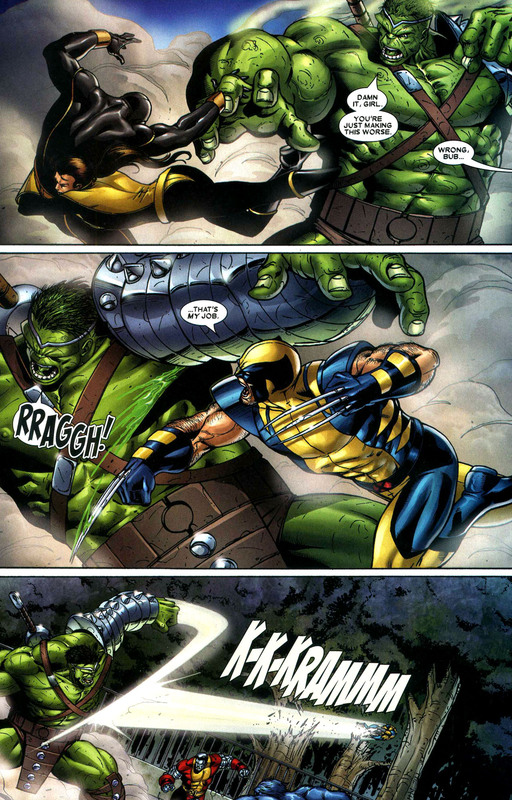 However, Banner refuses to give in and vows to find Jarella and bury her himself, even without the power of the Hulk. 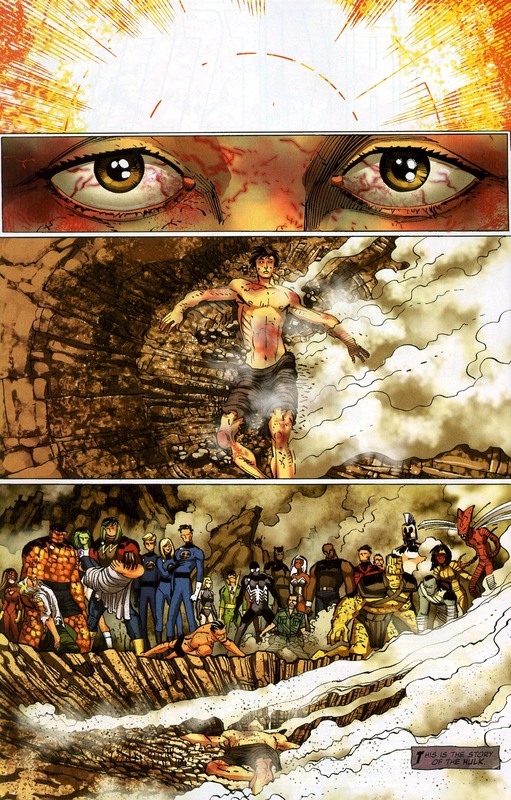 Jarella’s followers wait outside of the Valley of Life fearing that their would-be king had been killed there. 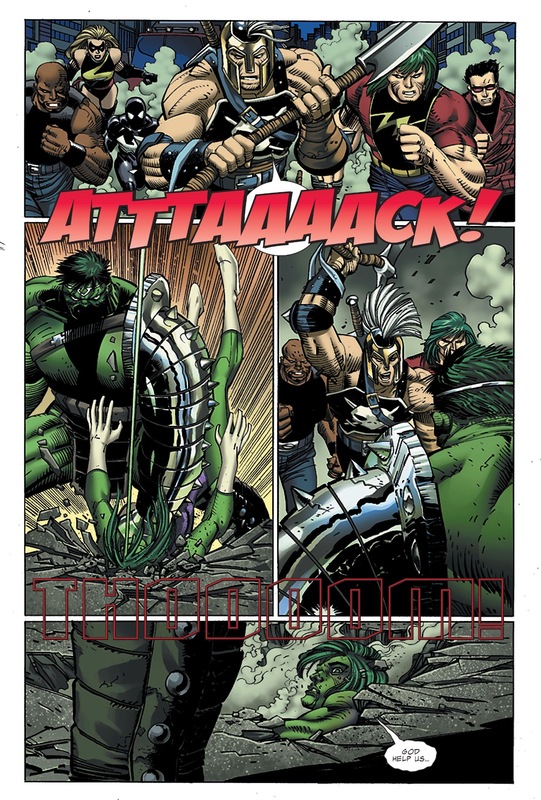 Suddenly, a stampede of animals come rushing out of the forest and begin attacking them. 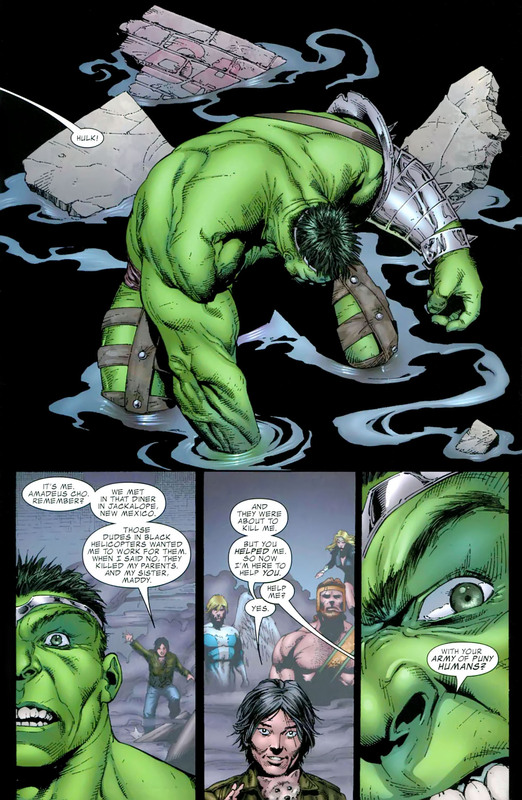 While inside the lush region, Banner stops by a stream to get a drink of water when he is suddenly attacked by the very thing he tried to drink. 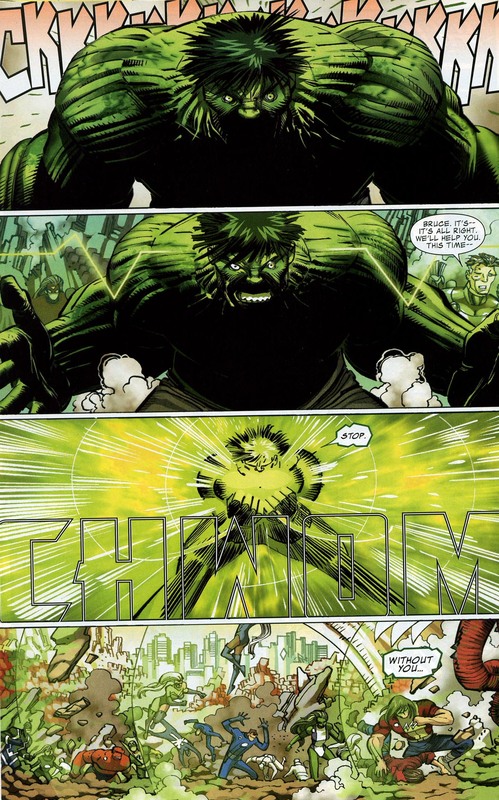 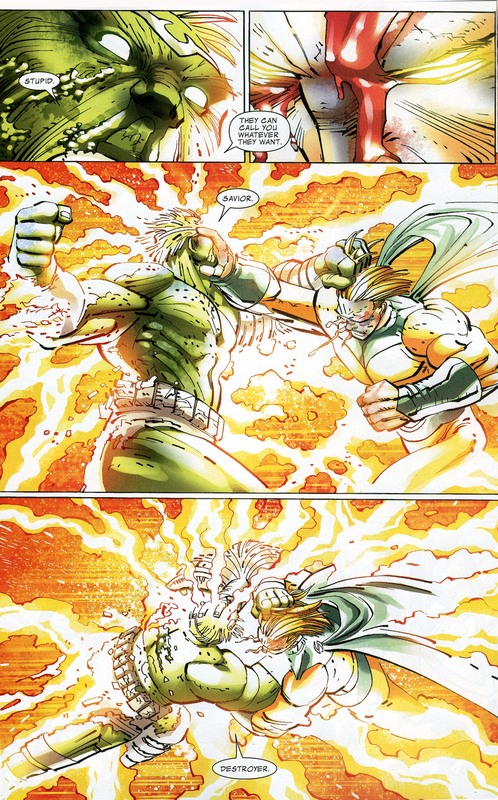 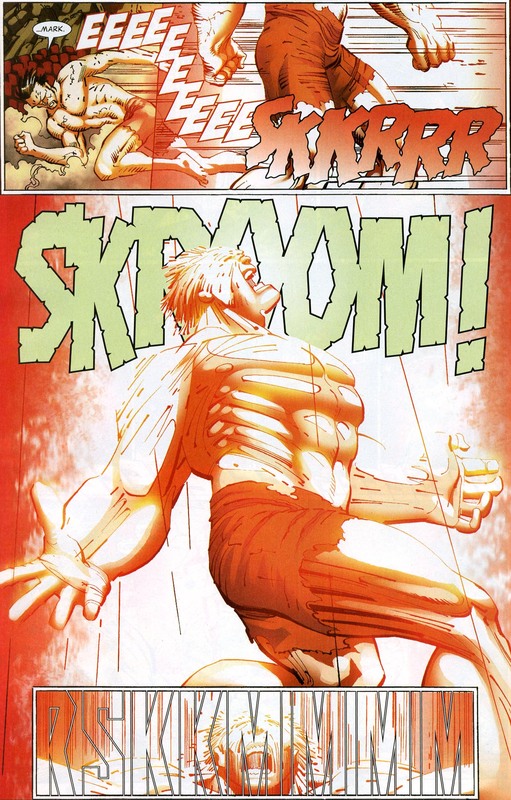 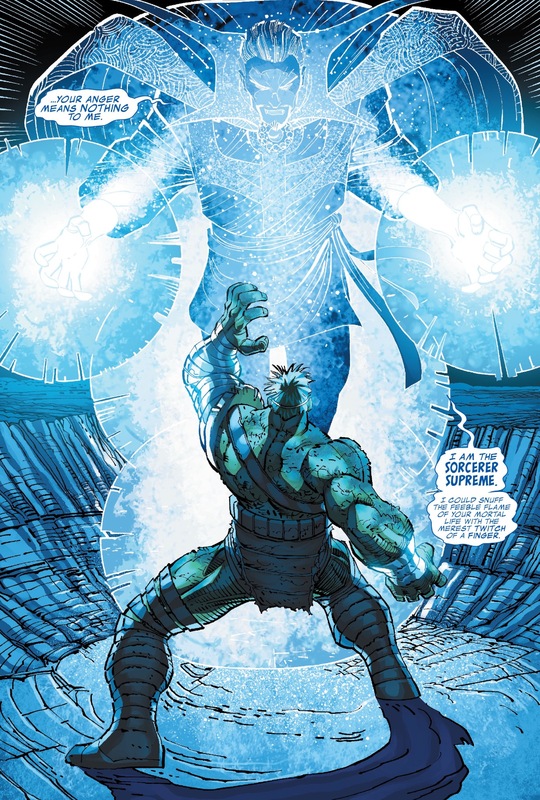 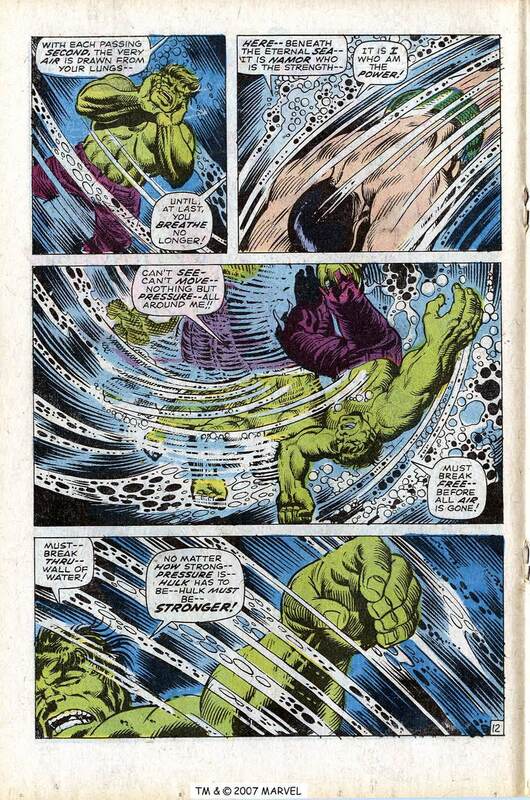 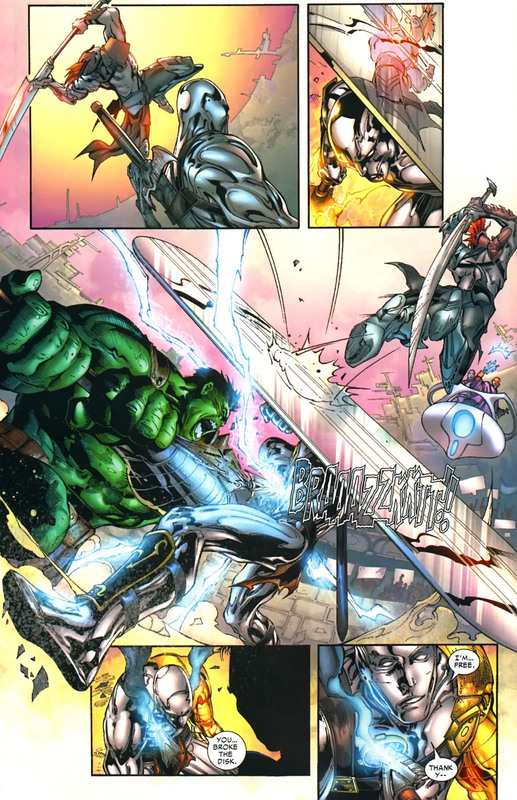 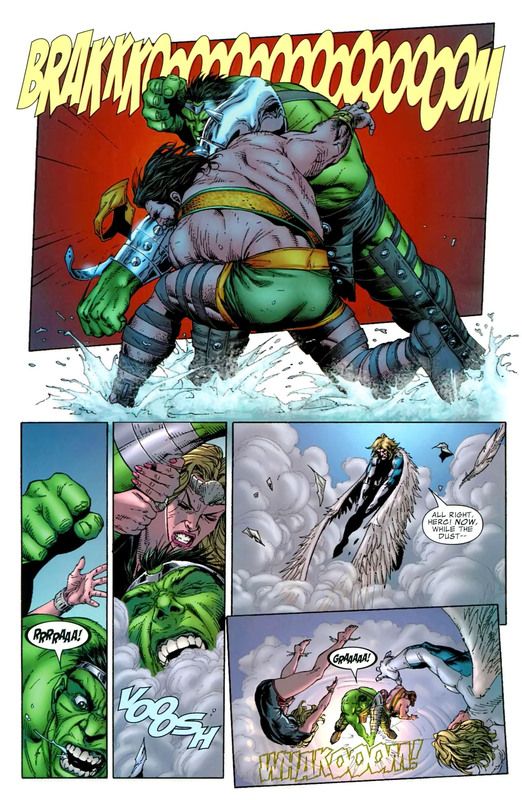 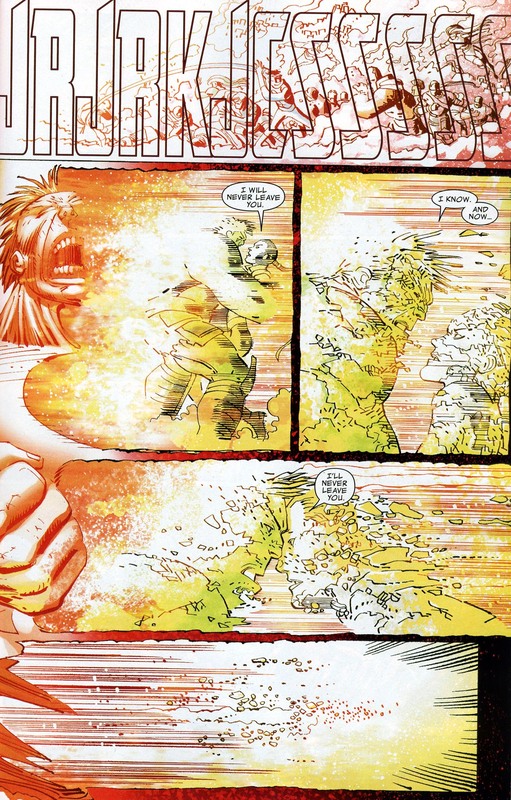 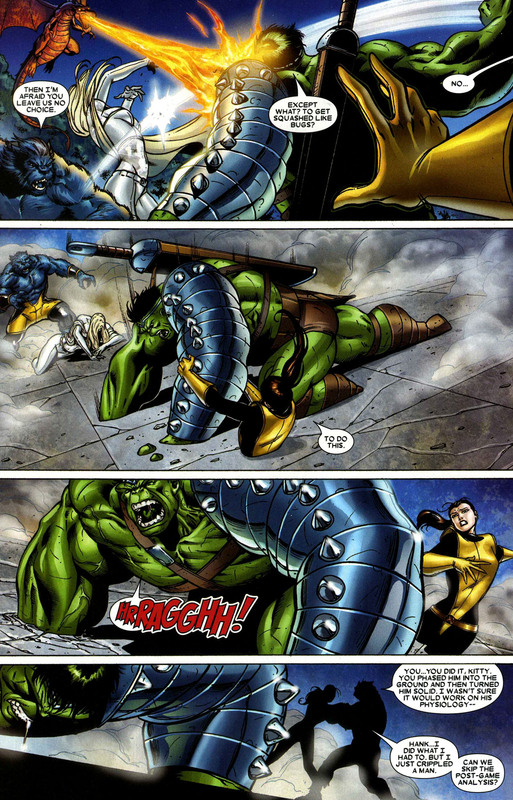 As he is being pulled into the liquid, Banner’s pulse races enough to trigger another transformation into the Hulk. 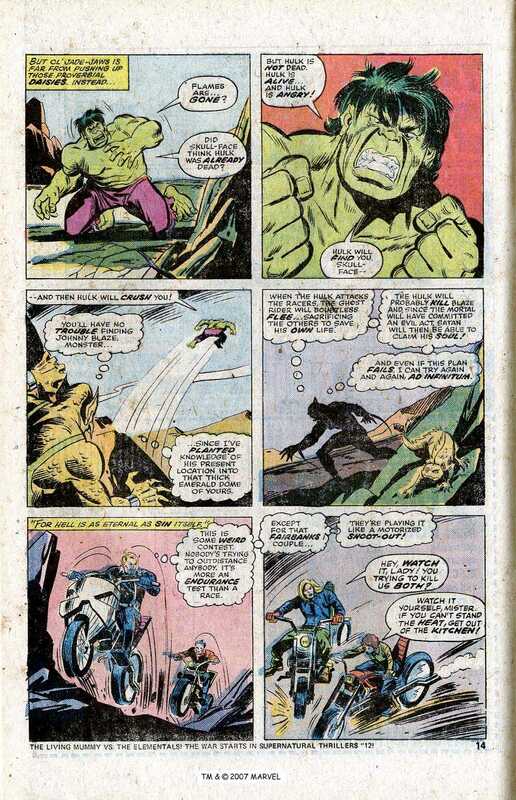 The Hulk fights his way free and then leaps across the Valley in order to intercept the Gardener and his animal followers. 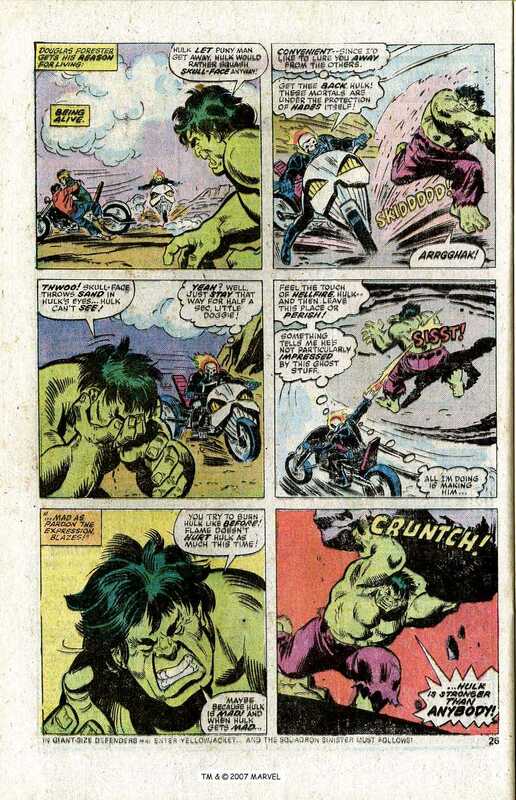 The Gardener orders the animals to attack the Hulk, but they are no match for him. 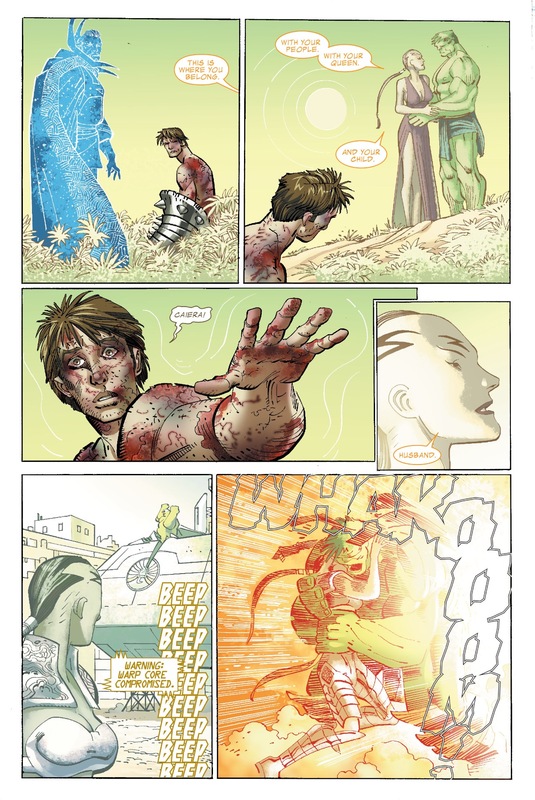 Seeing signs of the battle, the people of K’ai are reinvigorated and start fighting back against their attackers. 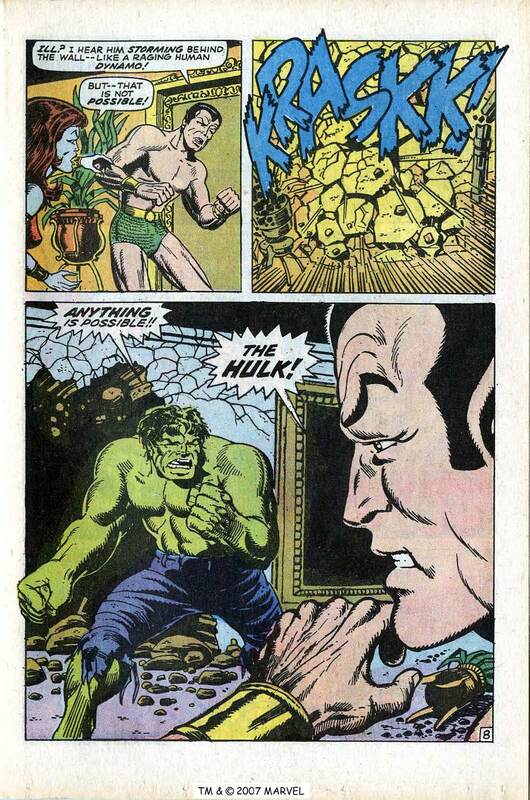 Meanwhile, with no more animals to set upon the Hulk, the Gardener tries to fight the brute one-on-one. 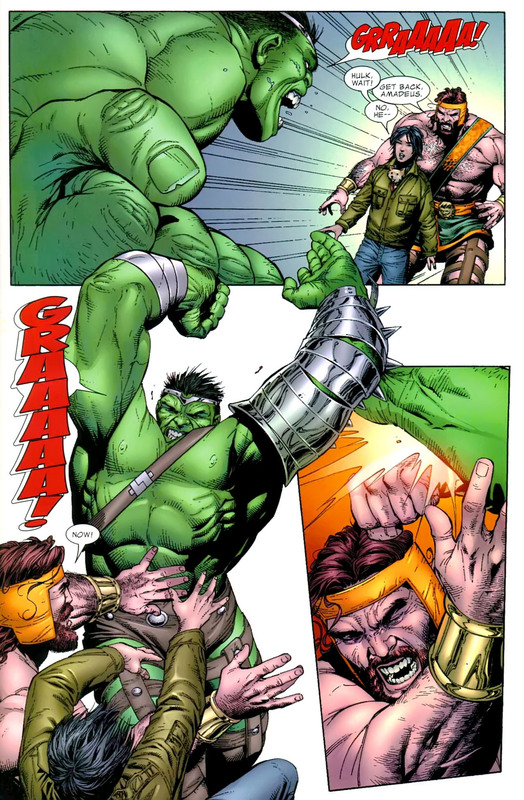 The two struggle and the Gardner begins to wonder how powerful the Hulk really is. 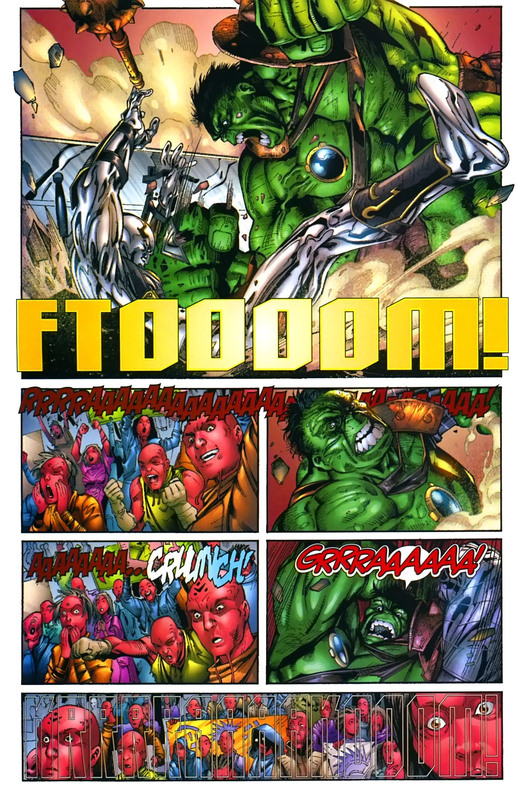 As they fight, the Soul Gem levitates off the Gardener’s brow and the Hulk knocks the Gardner aside and plucks it out of the air. 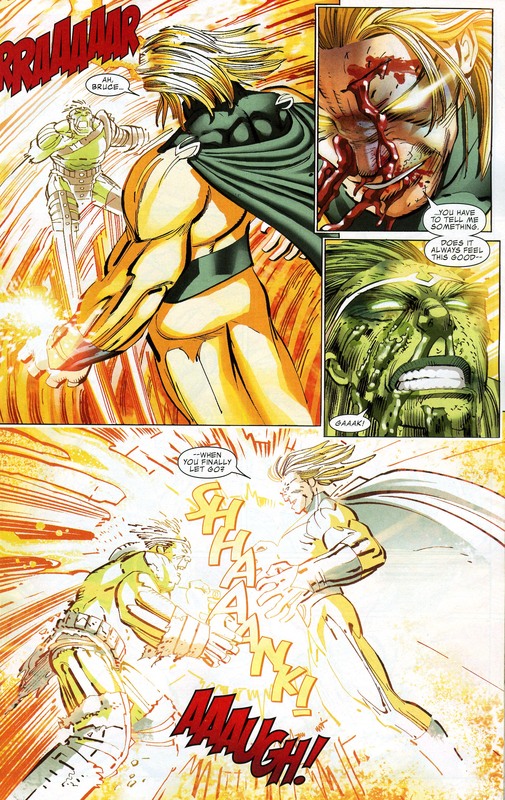 Hulk comes to the conclusion that if the Soul Gem could create the Valley of Life it could also restore Jarella’s entire world. 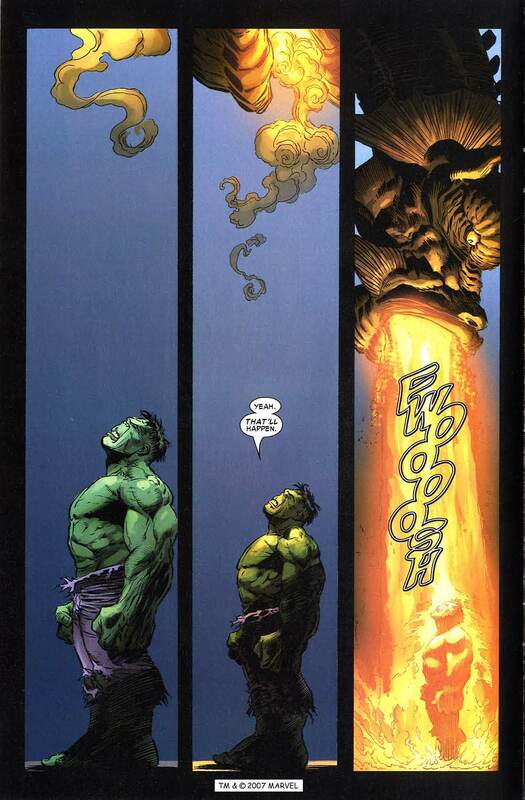 With that, the Hulk throws the Soul Gem into the ground and it burrows its way directly into the planet’s core. 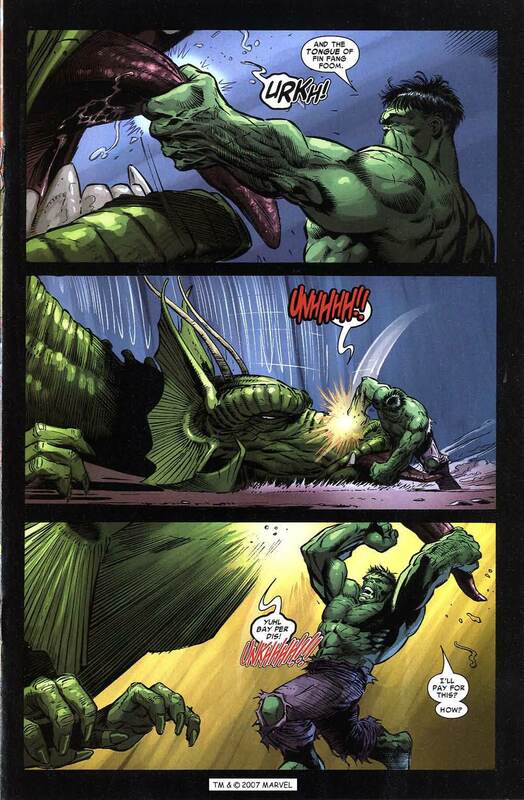 As the planet begins springing to life, the animals quit fighting. 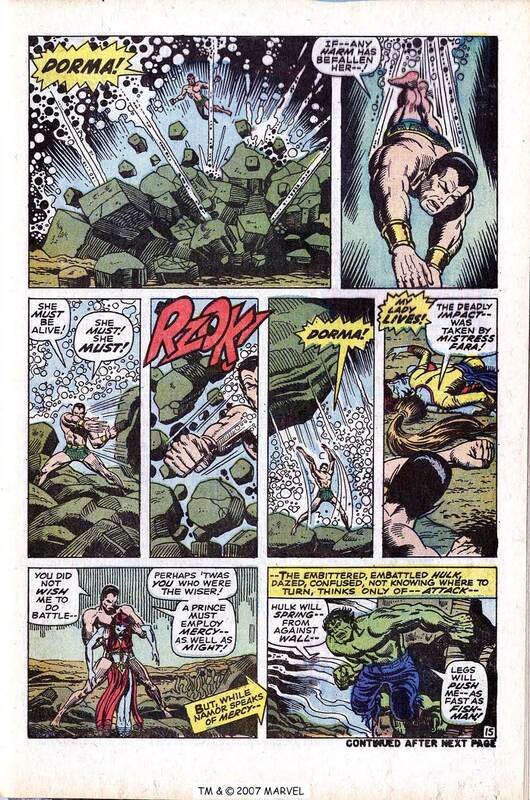 The people of K’ai soon join the Hulk as he buries Jarella in the Valley of Life. 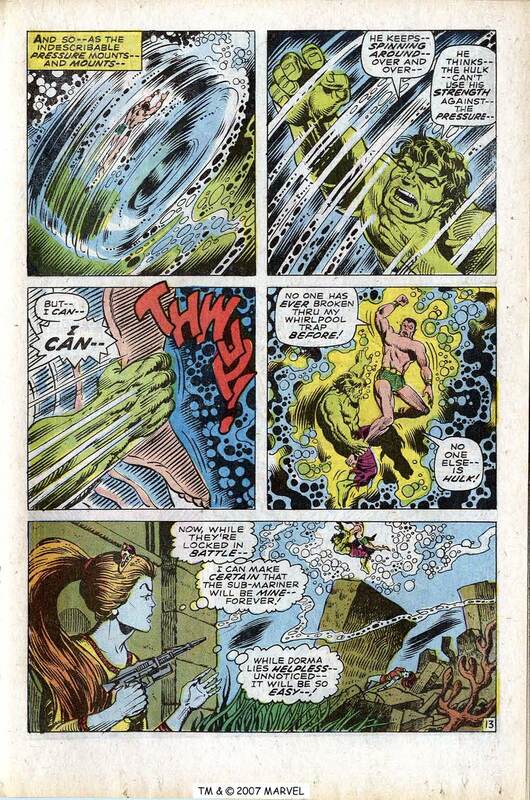 When her grave marker is constructed they are all surprised by a flower that suddenly pops out of the rocks. 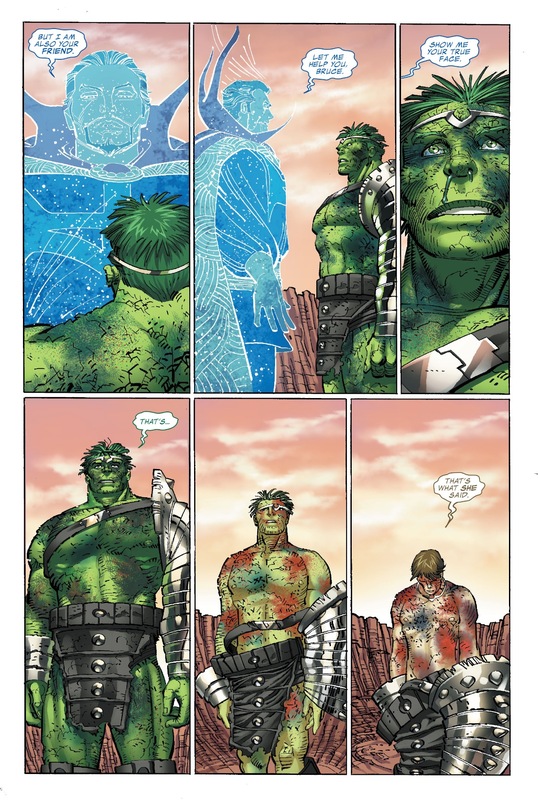 This is the work of the Gardener who has realized how selfish he was being and asks the Hulk if he can stay. 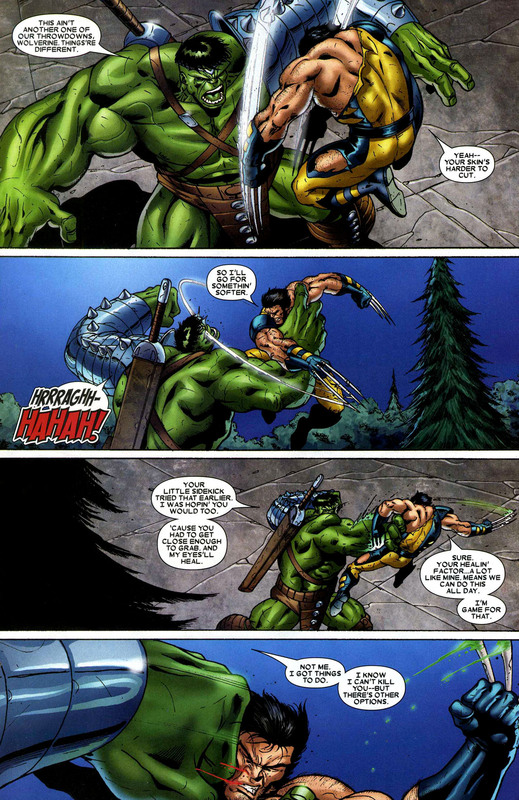 The Hulk tells the Gardener as long as he remains peaceful, he may remain on K’ai. 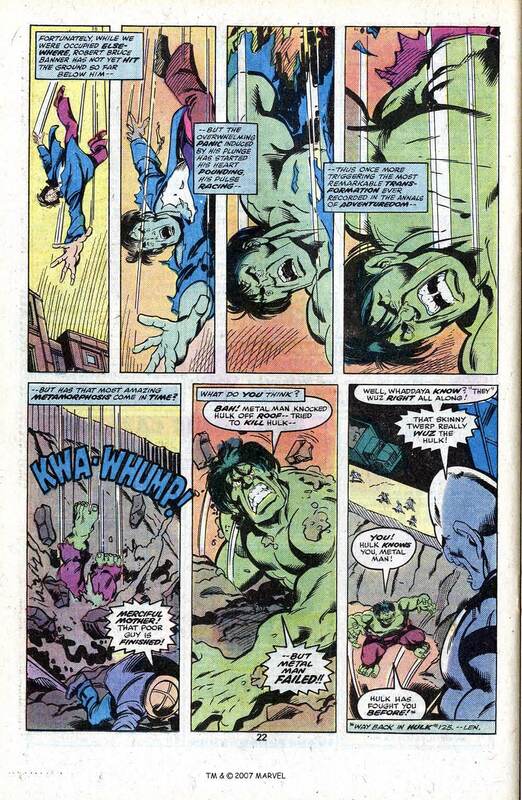 With his lover finally buried, the Hulk tells the Gardener to send him back home. 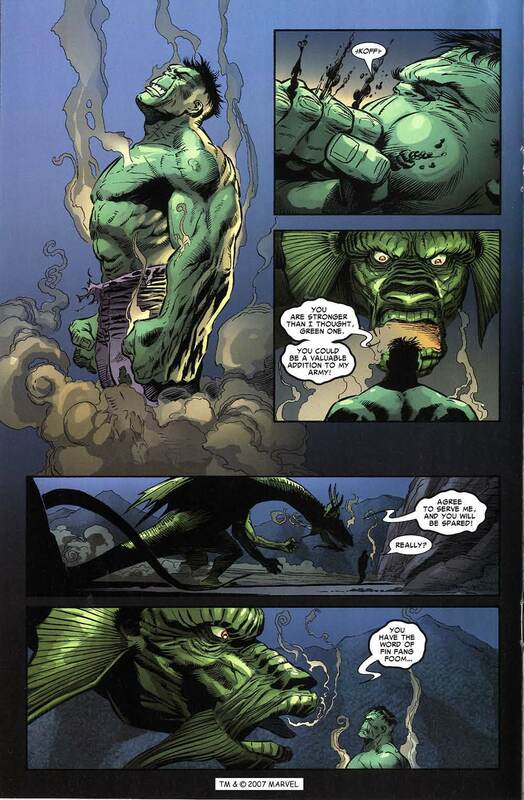 With a wave of his wand, the Gardner causes the Hulk to resume his normal size, leaving the people of K’ai leaderless but with a bright future ahead of them. 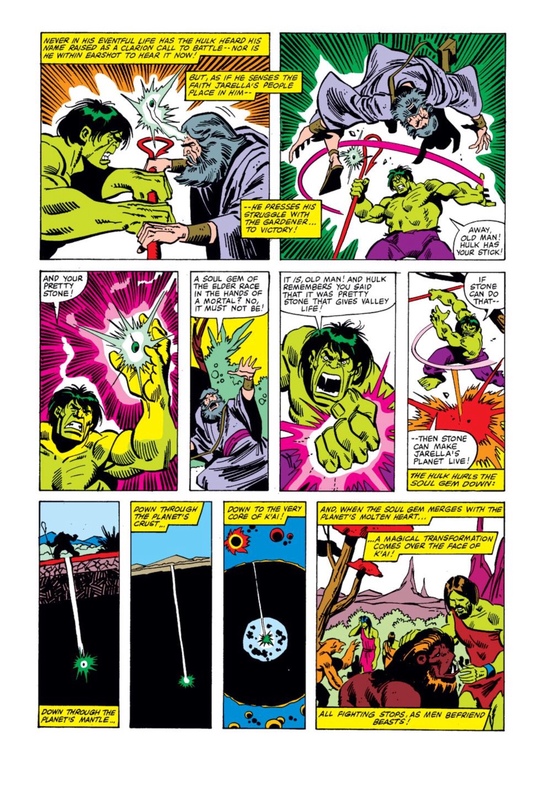 This entry was posted in Hulk, Infinity Gems, infinity stones, Time Stone and tagged avengers, comic books, comics, hulk, infinity stones, Marvel Comics, thanos, The Gardner, the stranger, VS on March 29, 2018 by lowbrowcomics. 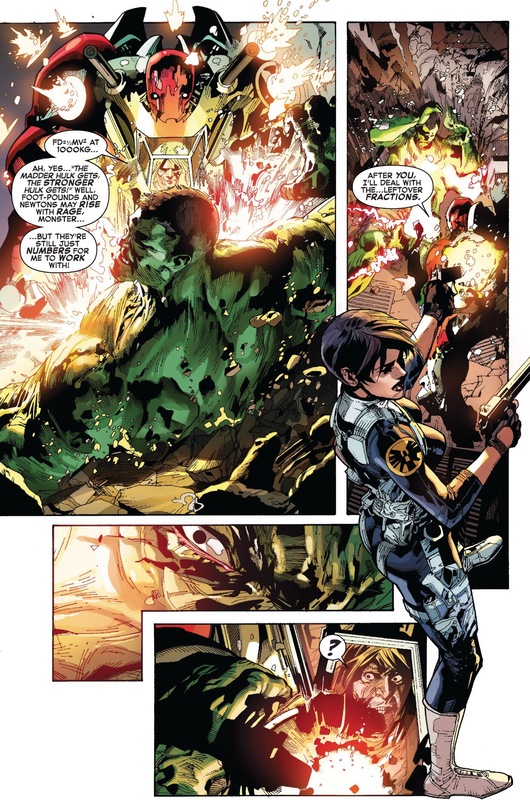 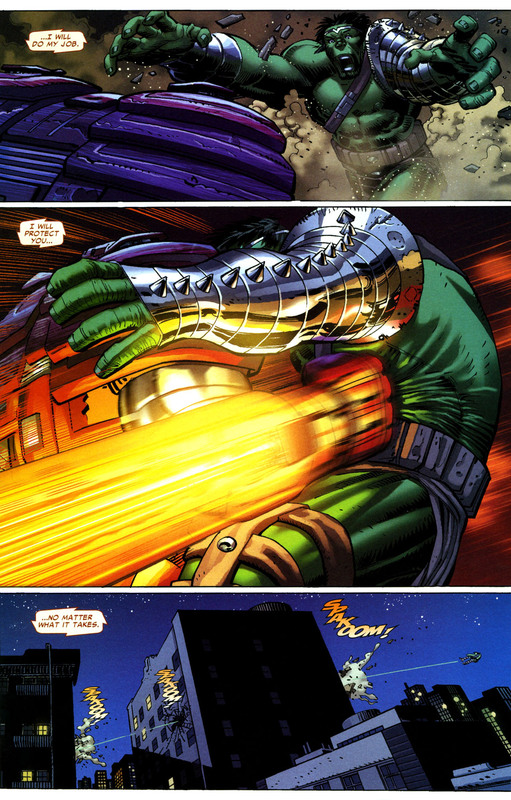 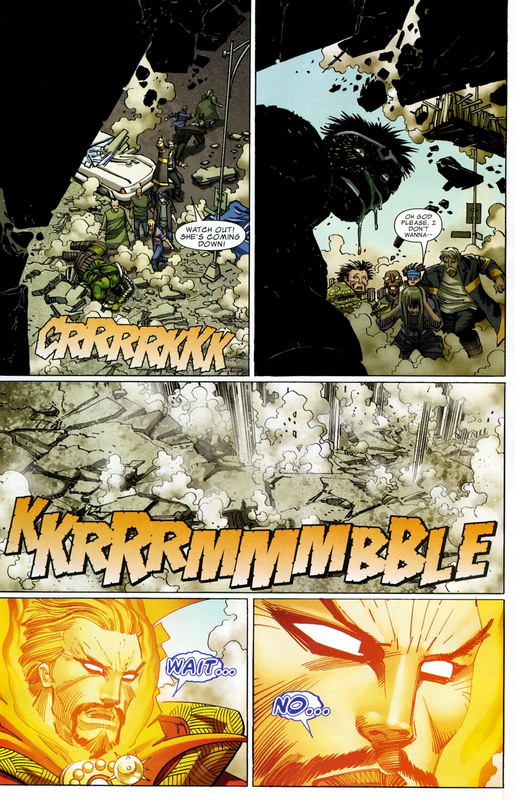 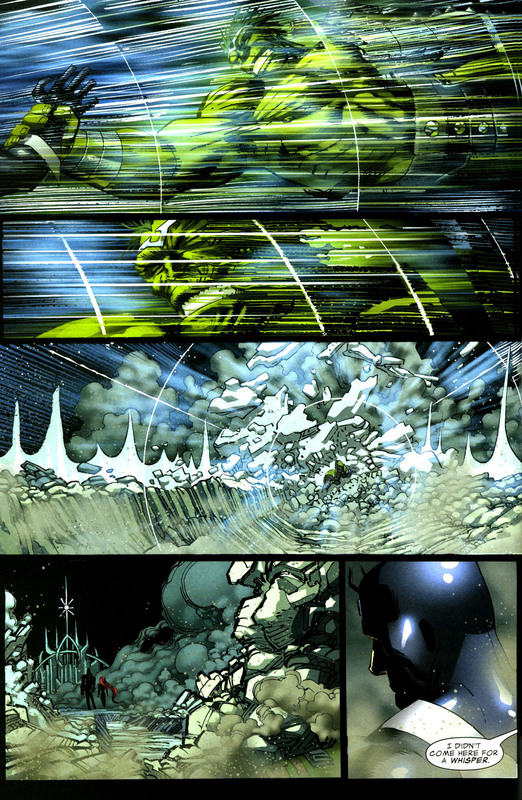 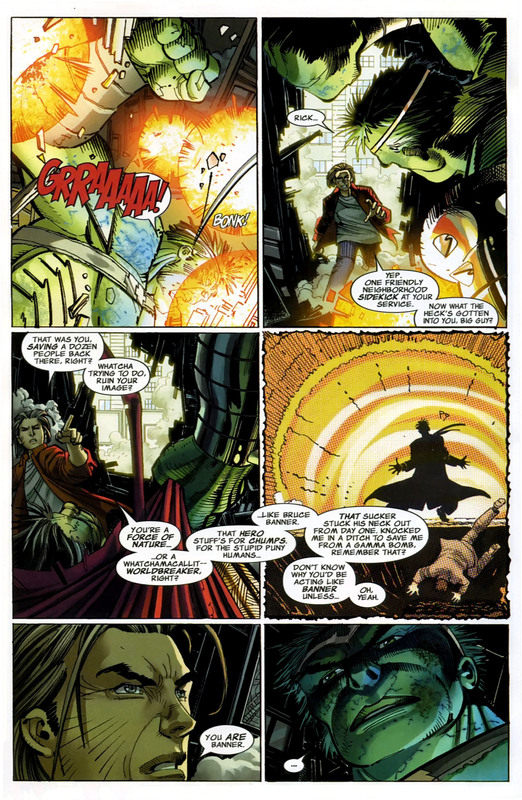 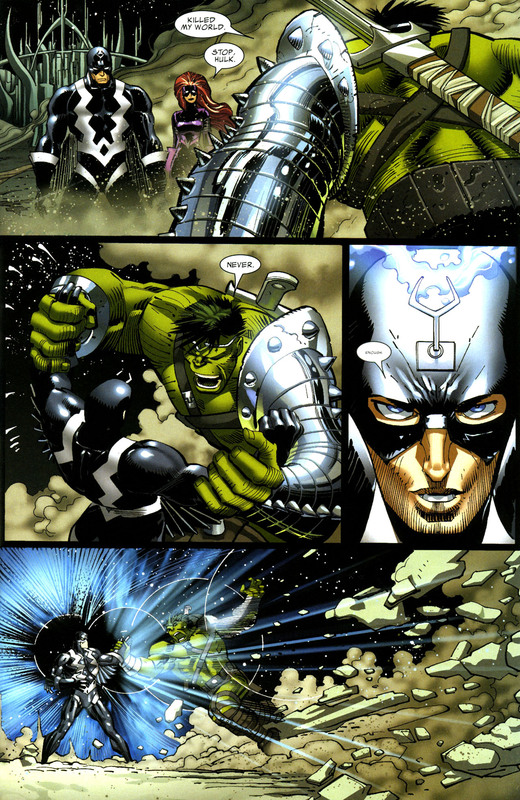 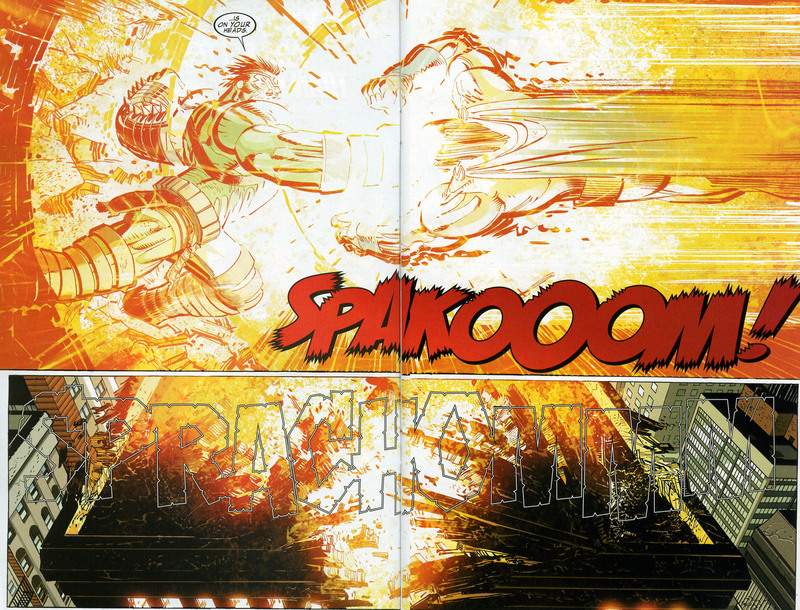 From: Return to Planet Hulk Part V.
Amadeus Cho is in self exile in deep space wen he gets a distress call from Sakaar. 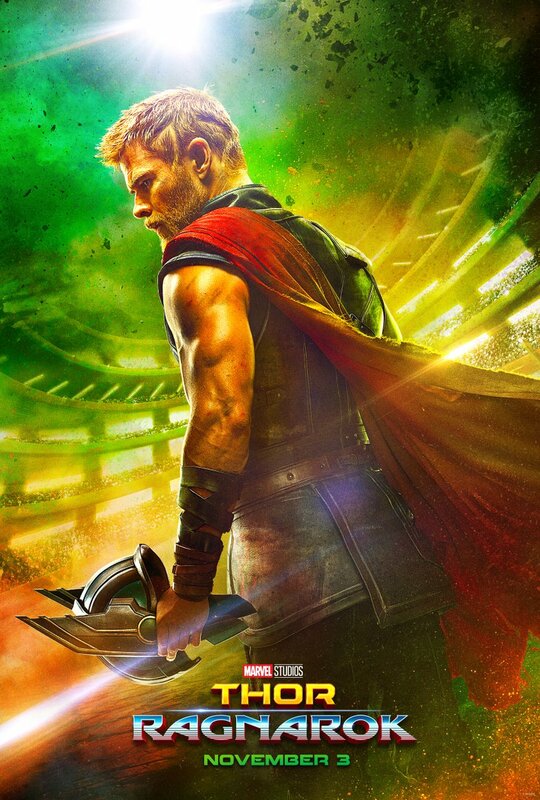 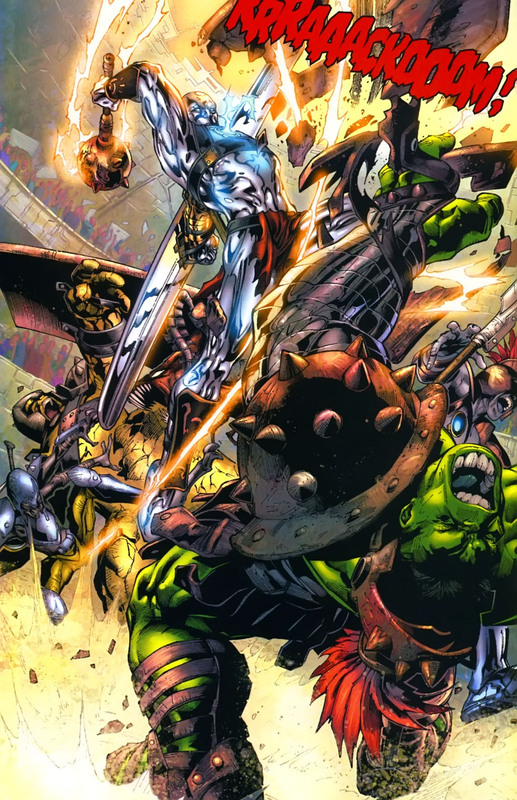 When his ship lands on the planet surface, he is captured and forced to fight in a gladiatorial arena by the evil despot known as The Warlord of Sakaar. 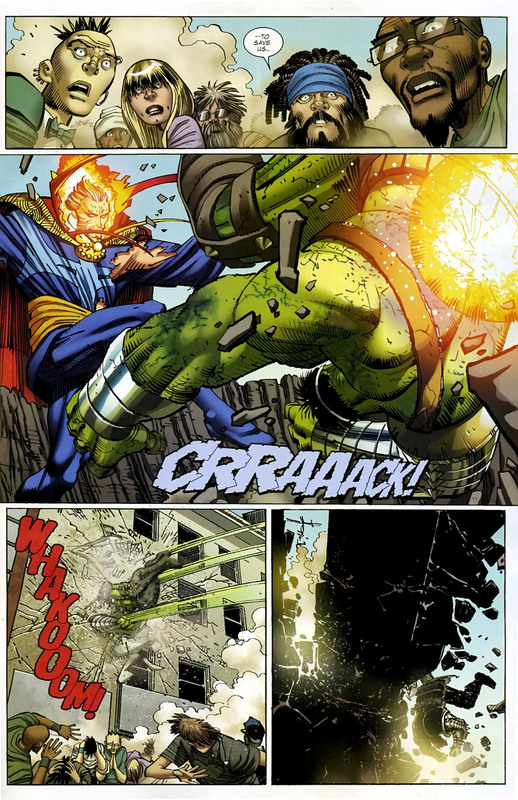 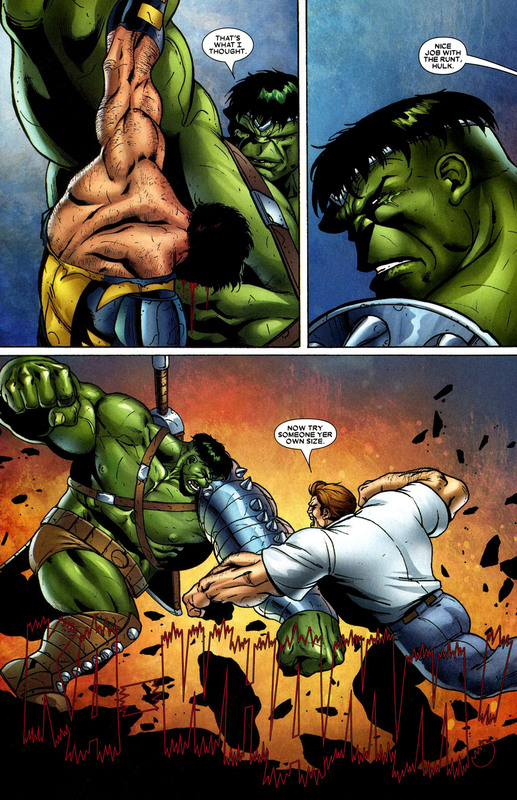 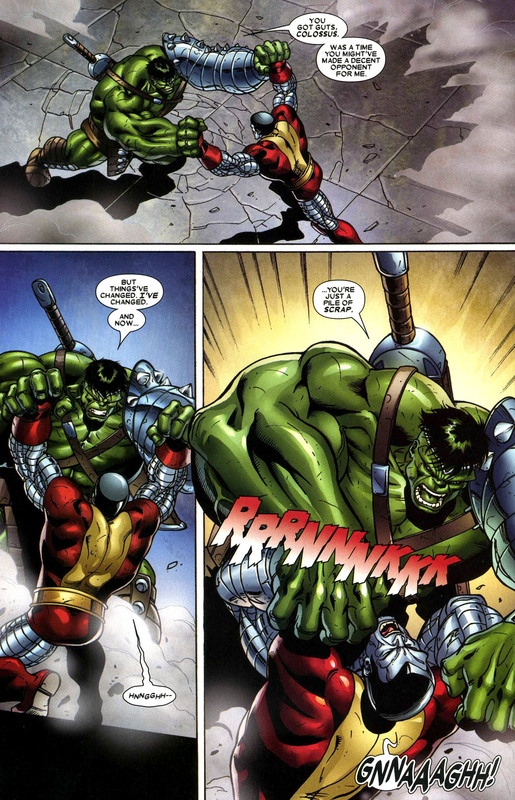 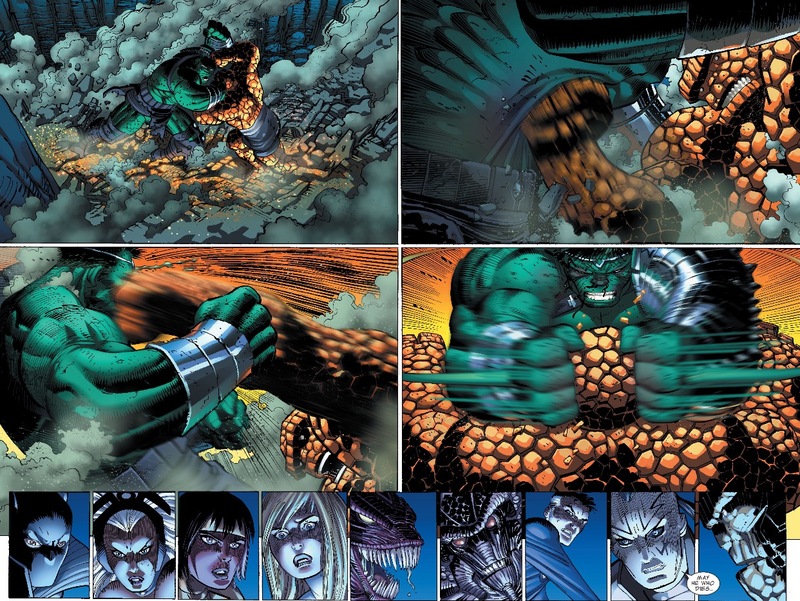 Read More: HULK VS. THOR IN RETURN TO PLANET HULK PART IV. 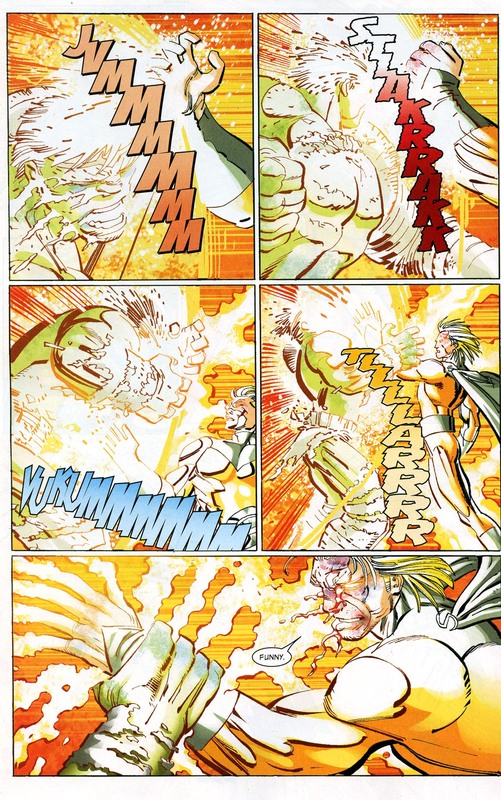 In the climactic battle between the two, the warlord unleashes his version of a worldbreaker, a Cold War era tactical nuke (how he got it is not explained) and drops right on top of the jade giants pointy coif. 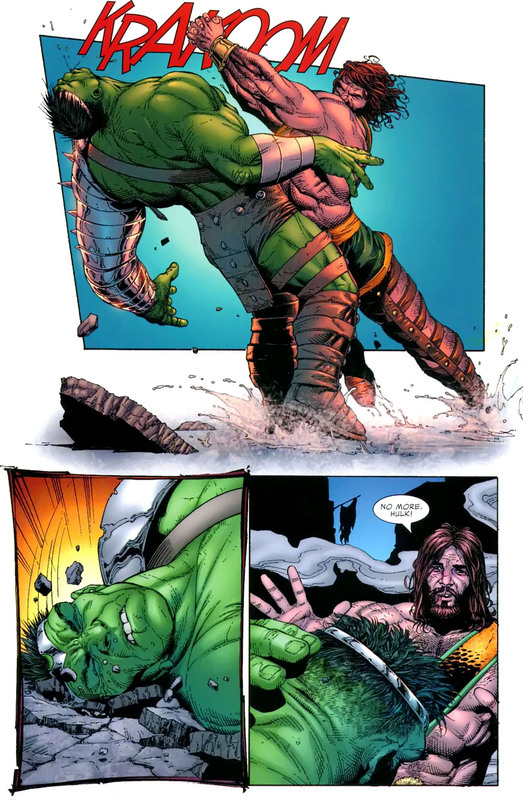 How Strong is The Hulk? 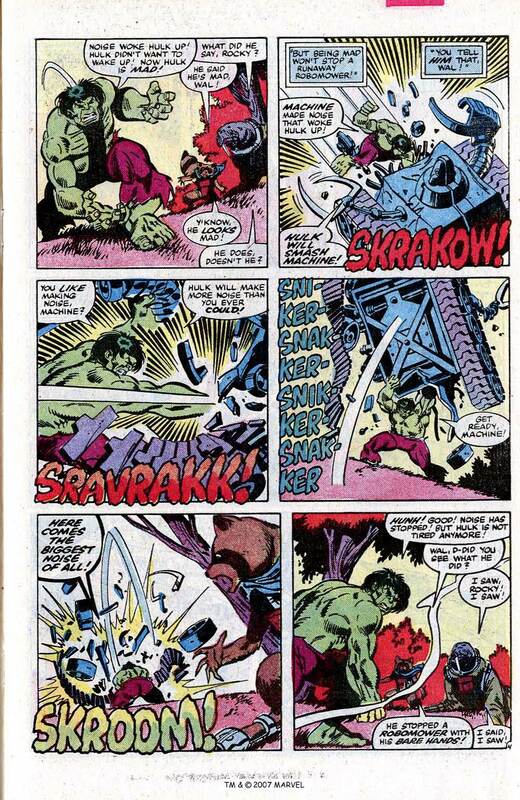 Hulk can absorb the nuclear fire 🔥 of an ICBM. 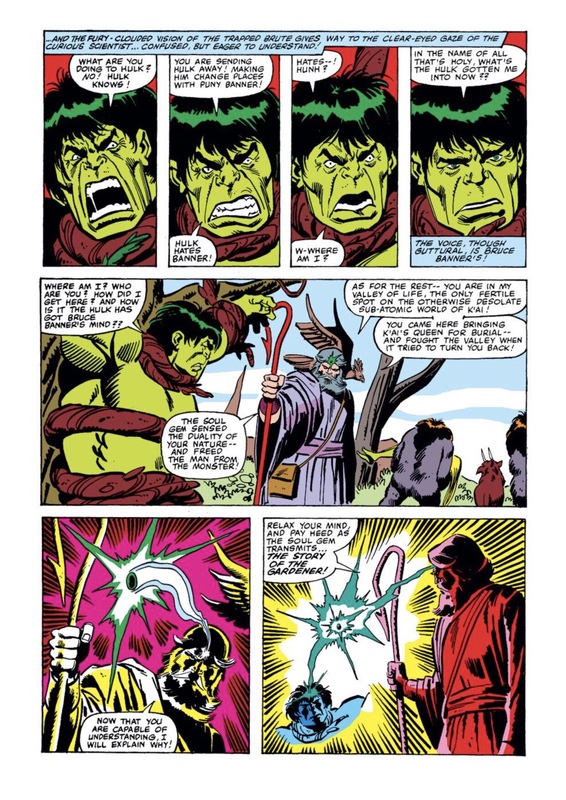 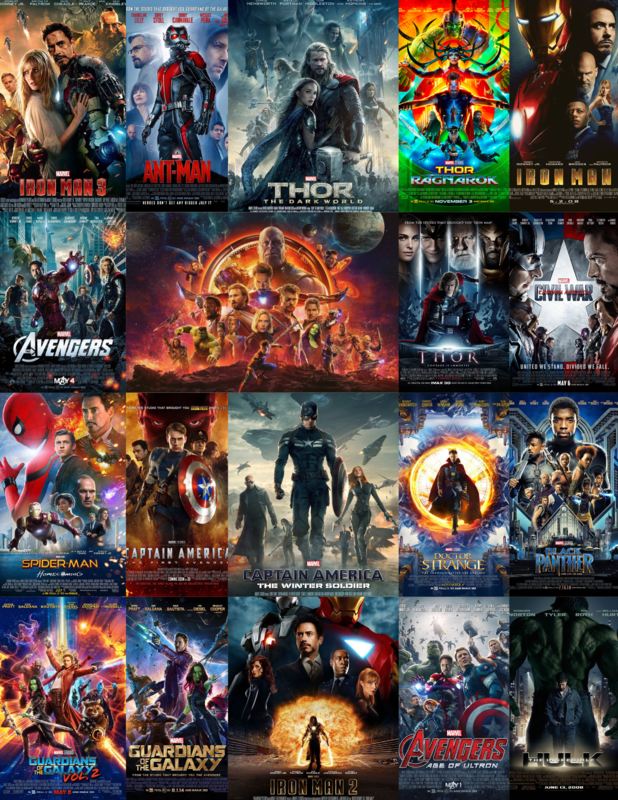 This entry was posted in Avengers, Hulk, Iron Man, Marvel Comics, world war hulk and tagged black bolt, comics, Doctor Strange, Elloe Kaifi, Hiroim, hulk, iron man, Korg, marvel, medusa, miek, moon, mr. fantastic, No-Name the Brood, sorcerer supreme, The Inhumans, tony stark, warbound, world war hulk on May 14, 2016 by lowbrowcomics. 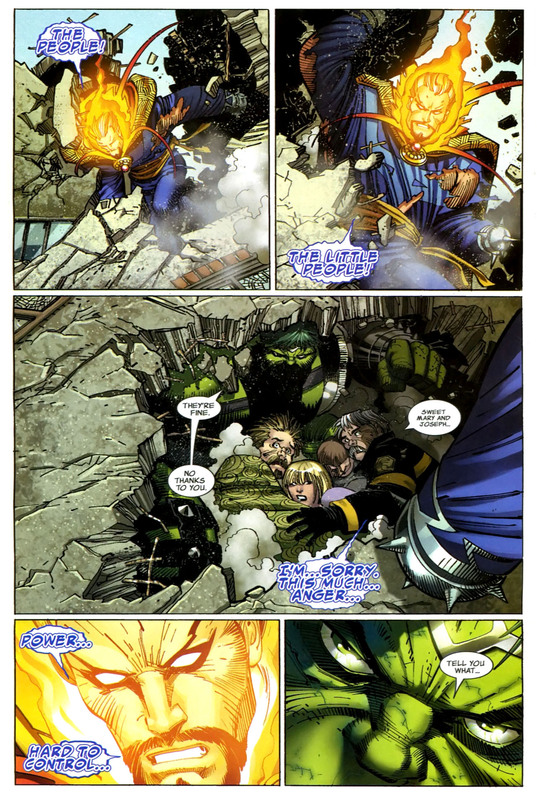 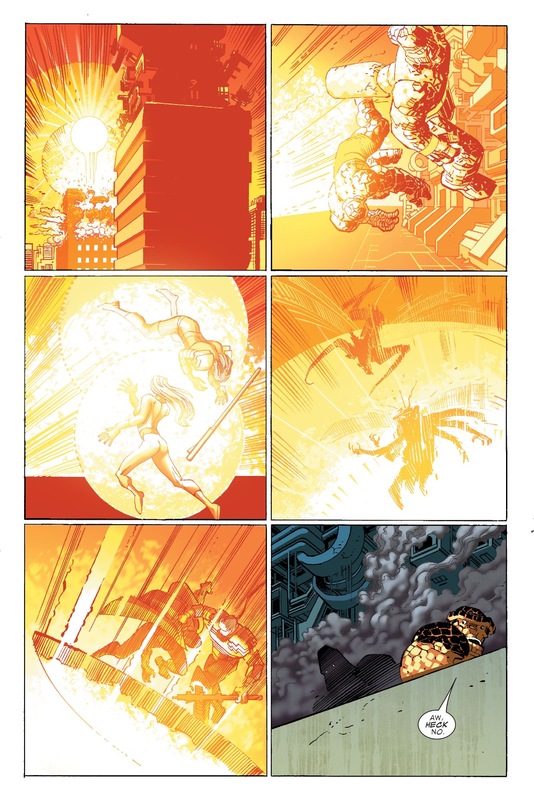 This entry was posted in Hulk, Iron Man, Marvel Comics, Sentry, Versus, world war hulk and tagged black bolt, comics, Doctor Strange, Elloe Kaifi, Hiroim, hulk, iron man, Korg, marvel, medusa, miek, moon, mr. fantastic, No-Name the Brood, sorcerer supreme, The Inhumans, tony stark, warbound, world war hulk on May 14, 2016 by lowbrowcomics. 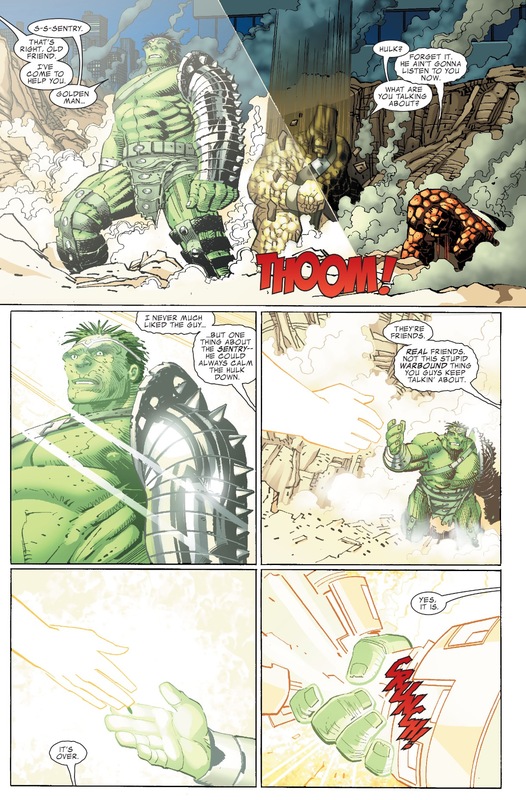 This entry was posted in Hulk, Iron Man, Marvel Comics, Versus, world war hulk and tagged amazing spider-man, black bolt, carol danvers, comics, Doc Samson, Doctor Strange, Elloe Kaifi, Hiroim, hulk, hulk buster, iron man, Korg, luke cage, marvel, medusa, miek, moon, mr. fantastic, ms. marvel, No-Name the Brood, She-Hulk, sorcerer supreme, The Inhumans, tony stark, warbound, wonder man, world war hulk on May 14, 2016 by lowbrowcomics. 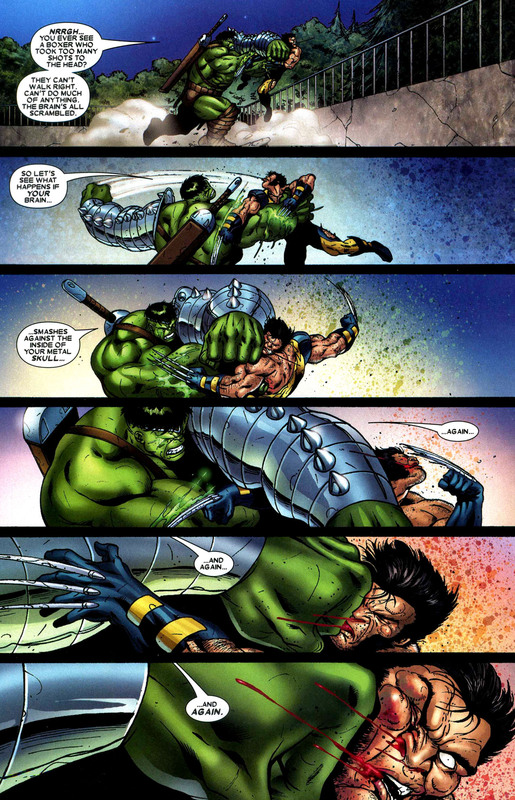 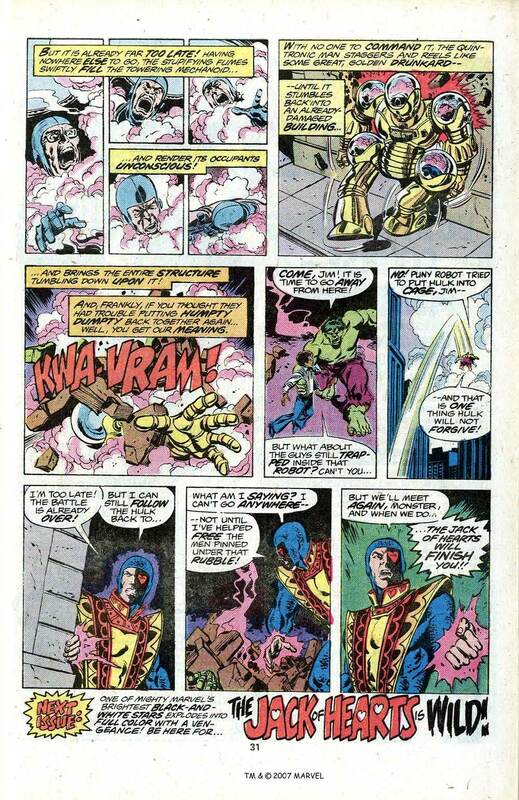 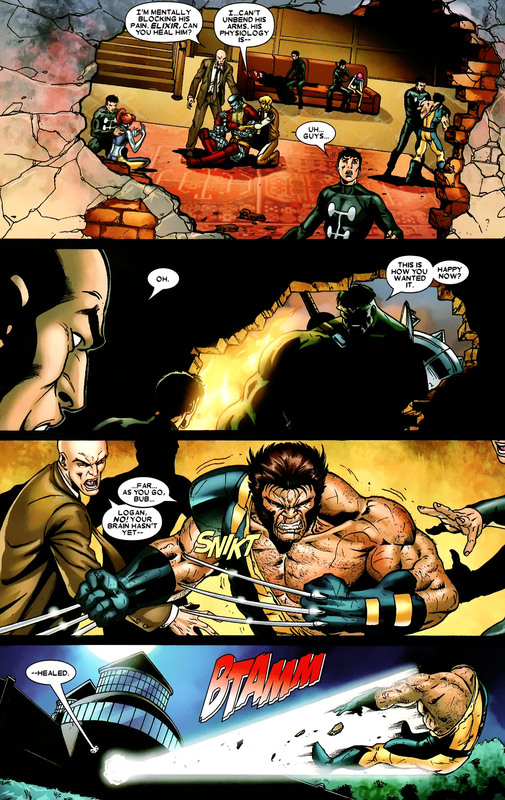 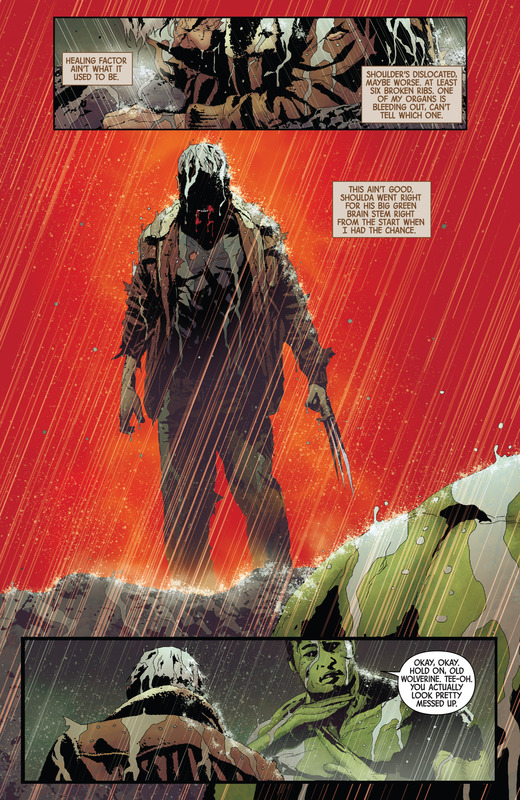 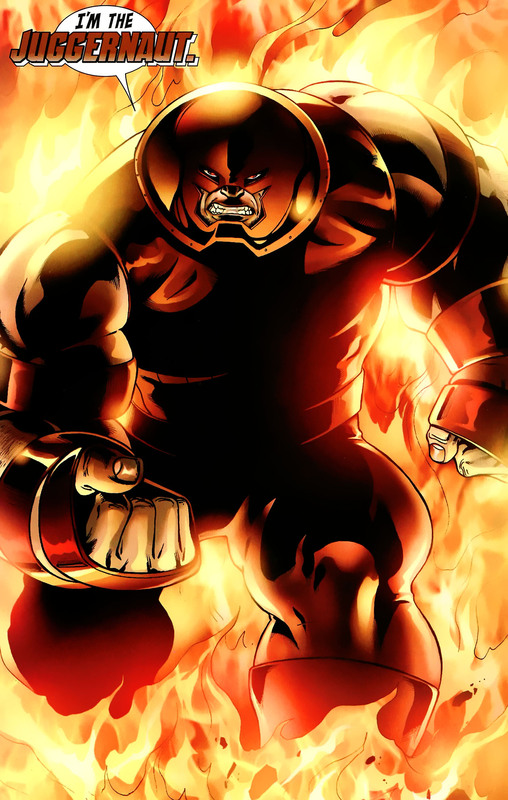 This entry was posted in Hulk, Juggernaut, Marvel Comics, Uncanny X-Men, Versus, world war hulk, X-Men and tagged charles xavier, hulk, juggernaut, uncanny x-men, wolverine, world war hulk, x-factor on May 14, 2016 by lowbrowcomics. 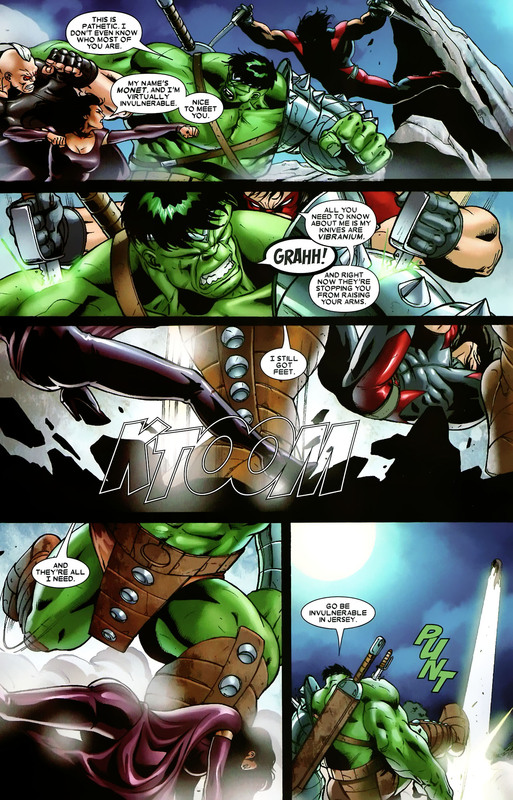 This entry was posted in Amadeus Cho, Angel, Hercules, Hulk, Marvel Comics, namorita, Versus, world war hulk and tagged Amadeus Cho, Hercules, hulk, Namorita, world war hulk on May 14, 2016 by lowbrowcomics. 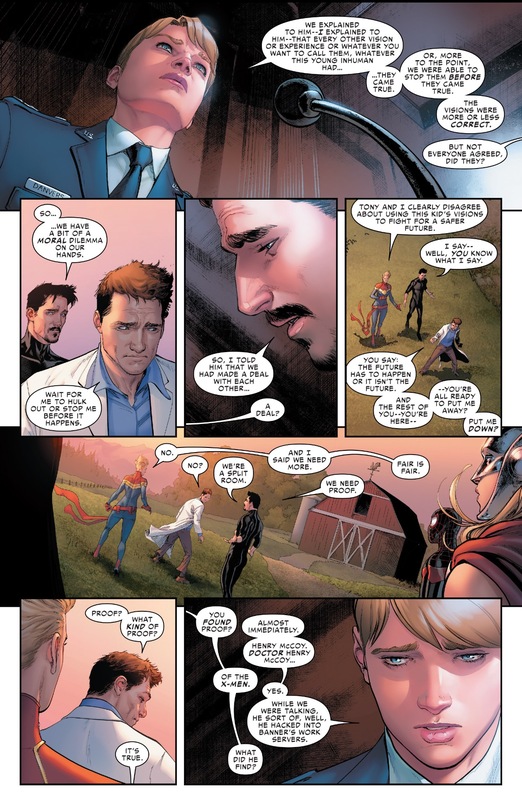 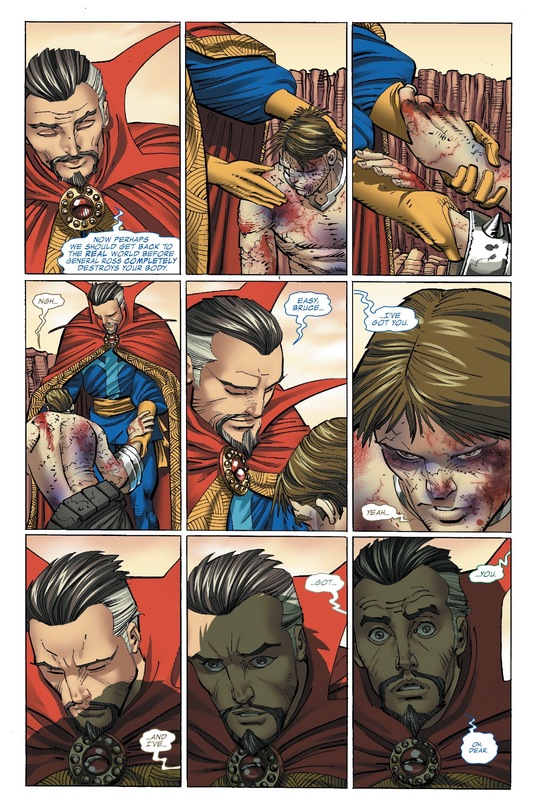 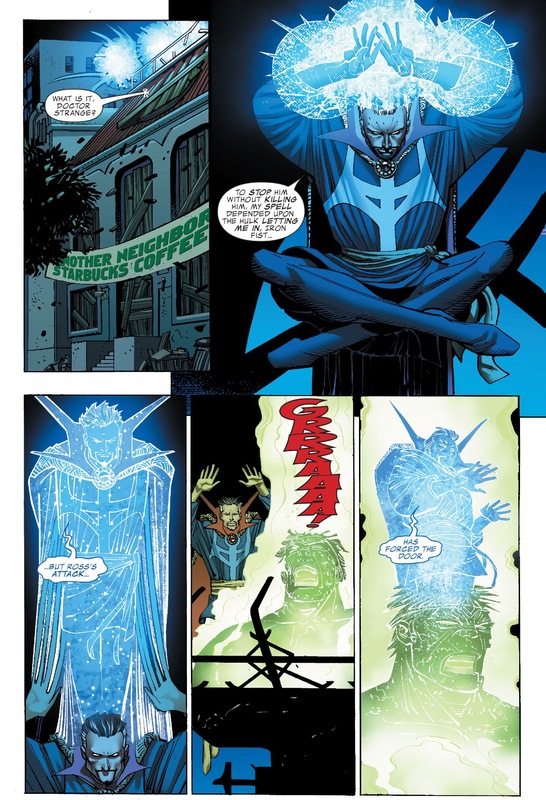 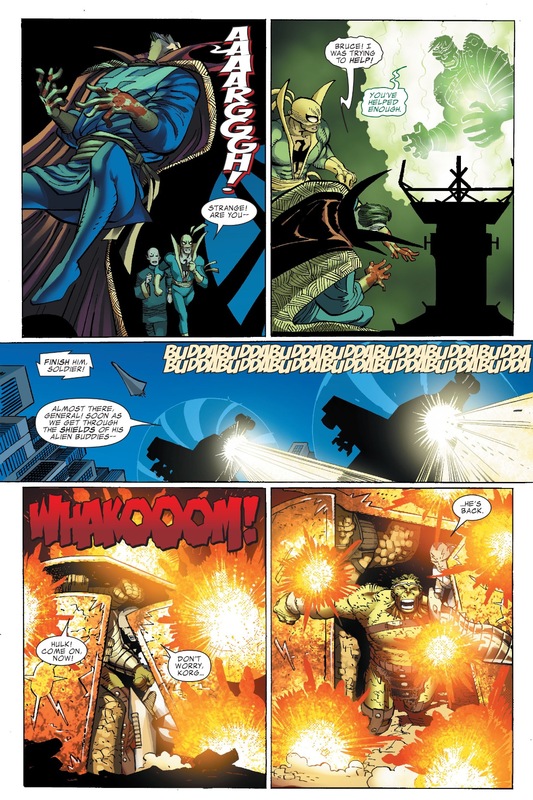 This entry was posted in Doctor Strange, Hulk, Marvel Comics, Versus, world war hulk and tagged comics, Doctor Strange, Elloe Kaifi, Hiroim, Korg, marvel, miek, No-Name the Brood, sorcerer supreme, warbound, world war hulk on May 14, 2016 by lowbrowcomics. 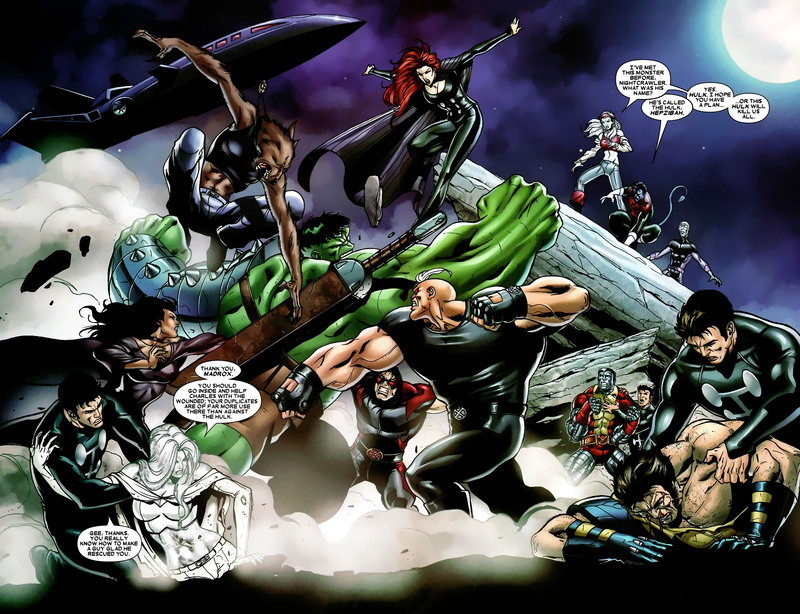 This entry was posted in colossus, Hulk, Marvel Comics, nightcrawler, Uncanny X-Men, Versus, world war hulk, X-Factor, X-Men and tagged emma frost, guido, hulk, nightcrawler, warpath, wolfsbane, world war hulk, x-factor, x-men on May 14, 2016 by lowbrowcomics. 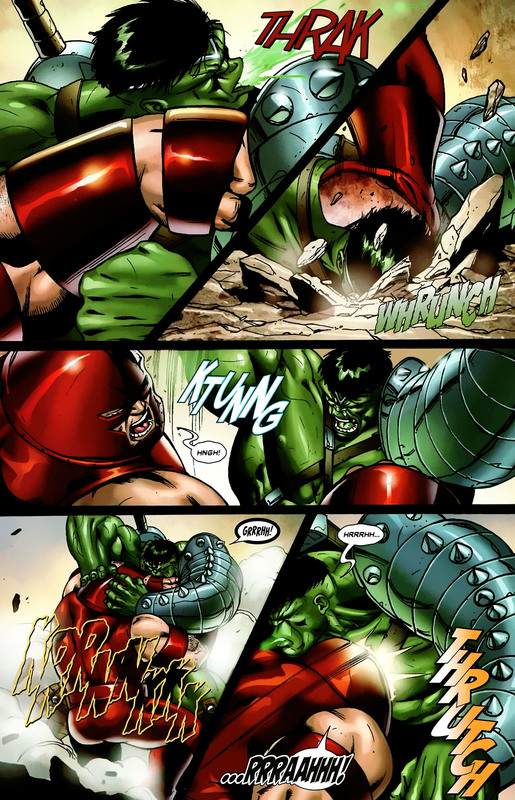 This entry was posted in Hulk, Juggernaut, Marvel Comics, Versus, Wolverine, world war hulk and tagged comics, hulk, juggernaut, marvel, wolverine, world war hulk, x-men on May 14, 2016 by lowbrowcomics. 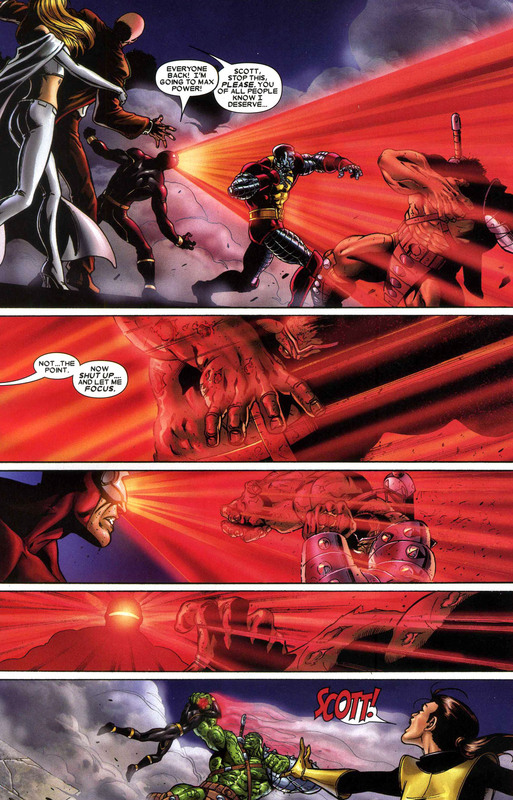 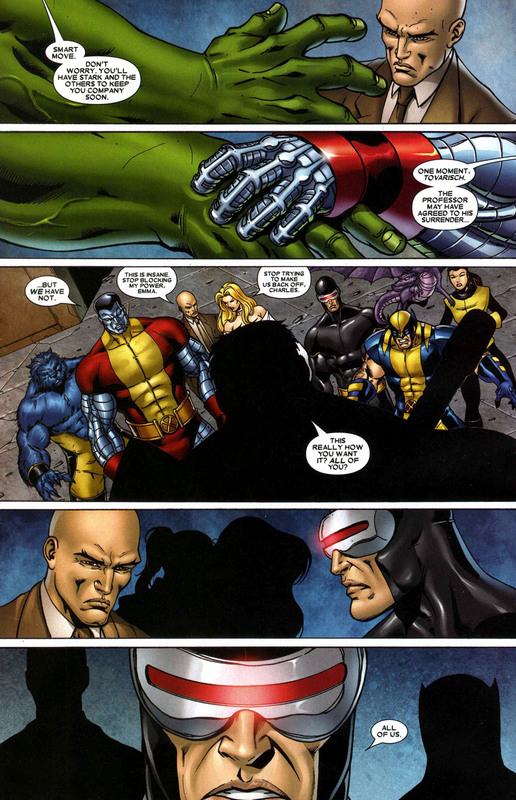 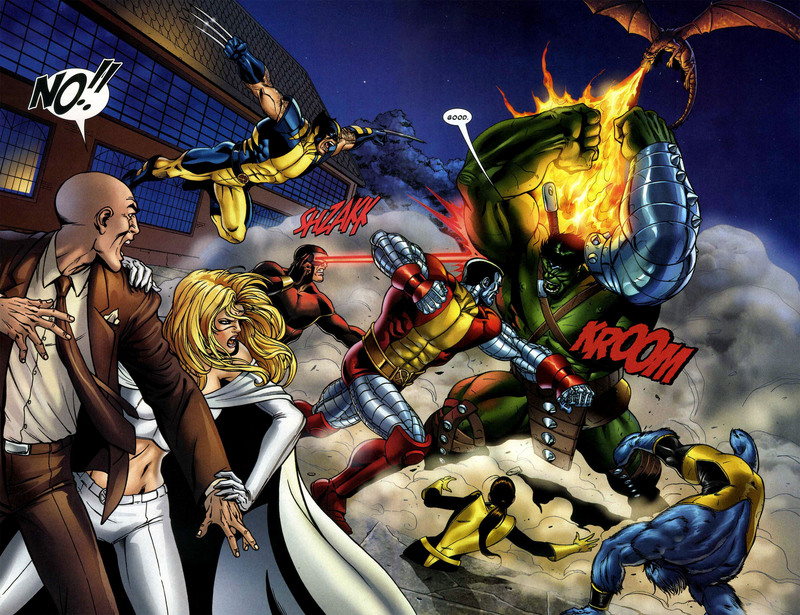 This entry was posted in beast, colossus, Cyclops, emma frost, Hulk, Kitty Pryde, Lockheed, Marvel Comics, Uncanny X-Men, Versus, Wolverine, world war hulk, X-Men and tagged astonishing x-men, charles xavier, lockheed, uncanny x-men, world war hulk on May 14, 2016 by lowbrowcomics. 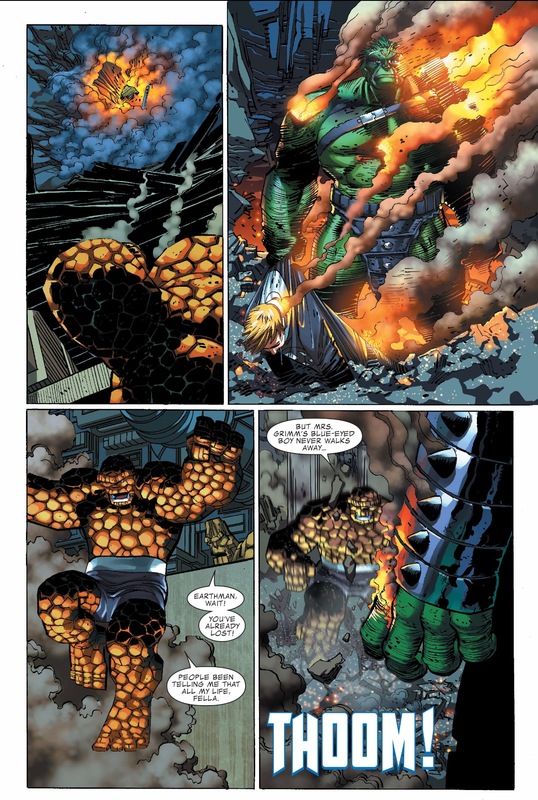 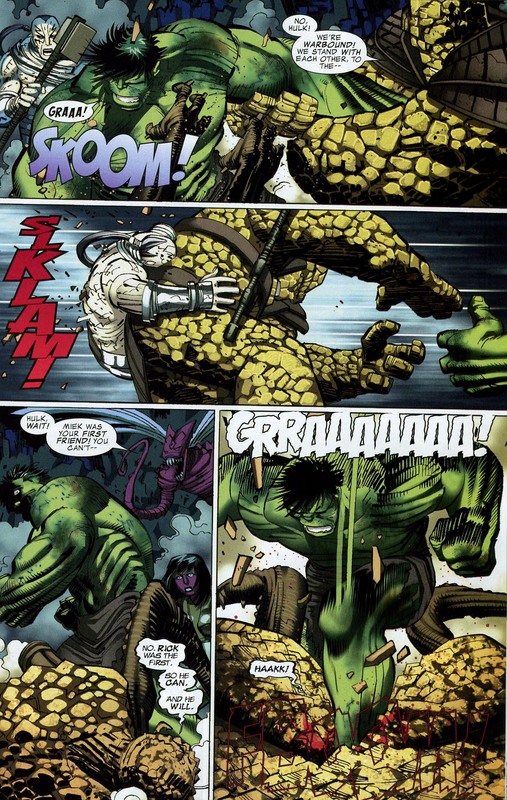 This entry was posted in Fantastic Four, Hulk, Invisible Woman, Marvel Comics, Reed Richards, Sentry, the thing, Versus, world war hulk and tagged Elloe Kaifi, fantastic four, Hiroim, hulk, Invisible Woman, Korg, marvel, miek, mr. fantastic, No-Name the Brood, Rick Jones, thing, warbound, world war hulk on May 14, 2016 by lowbrowcomics. 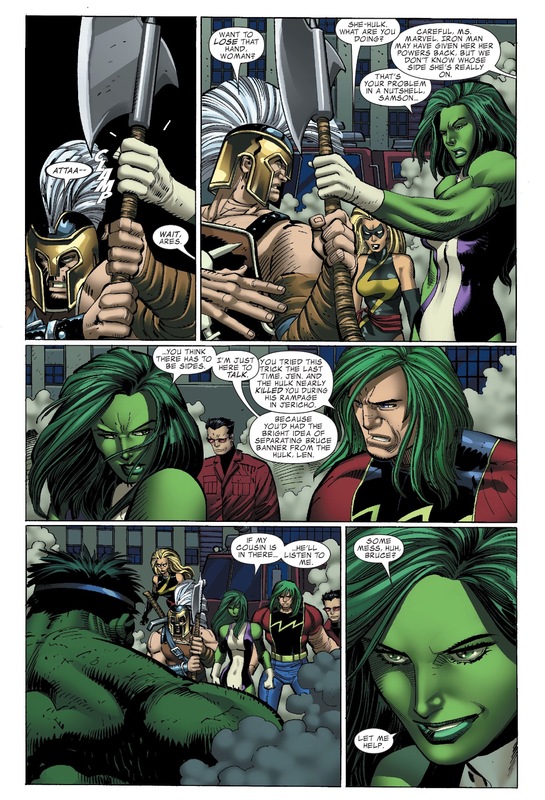 This entry was posted in Hulk, Marvel Comics, She-Hulk, Versus, world war hulk and tagged ares, avengers, Doc Samson, Elloe Kaifi, Hiroim, hulk, Korg, marvel, miek, No-Name the Brood, she hulk, warbound, world war hulk on May 12, 2016 by lowbrowcomics. 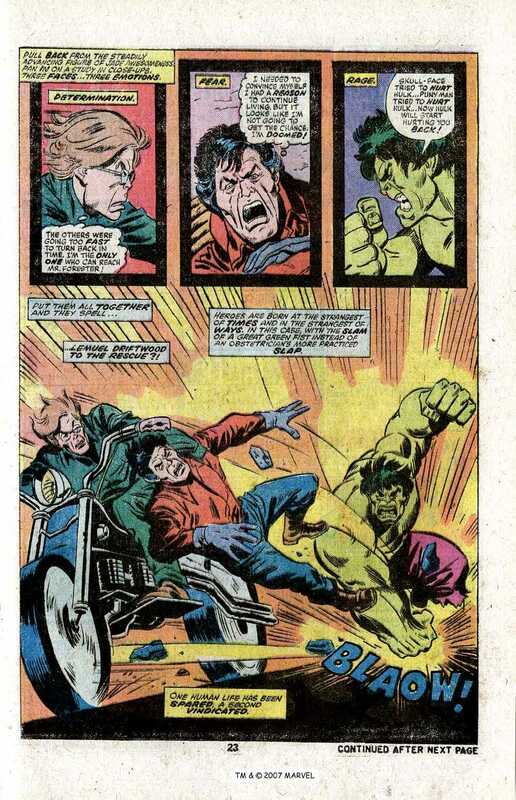 Bruce Banner has long seen his alter ego, The Incredible Hulk, as a threat to innocent life. 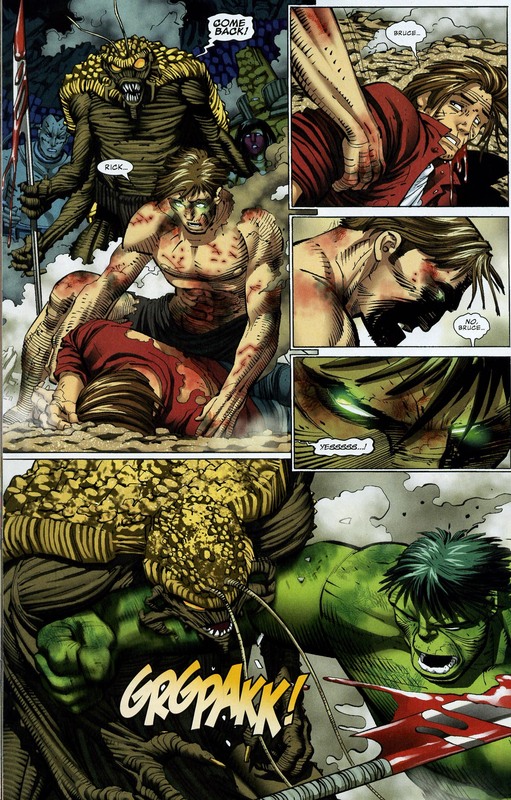 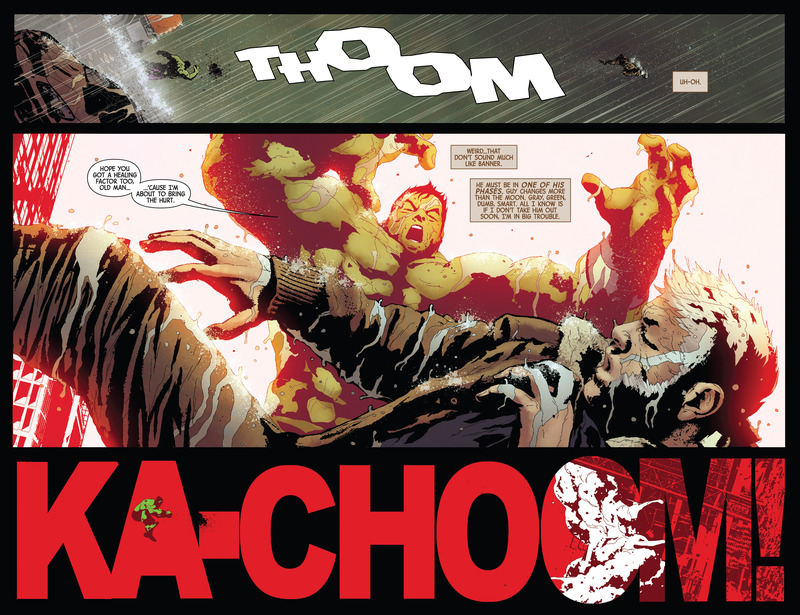 So when he saw the chance to use the Hulk’s strength for good, Banner accepted a mission from S.H.I.E.L.D. 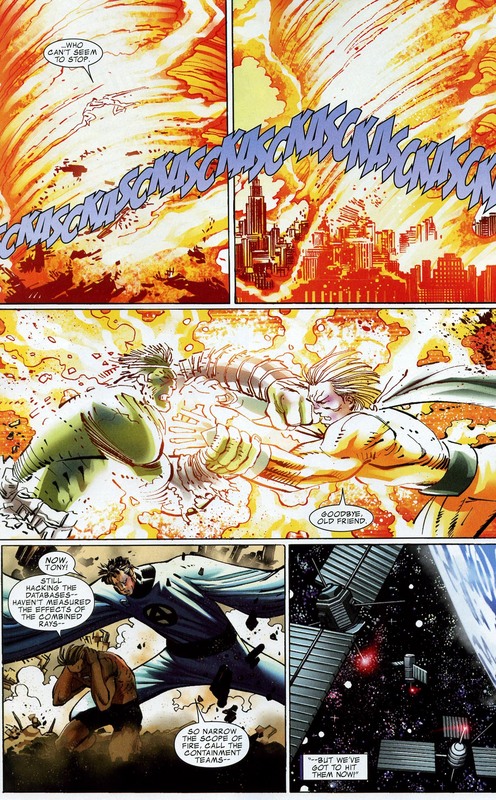 to destroy a rogue ssatellite. 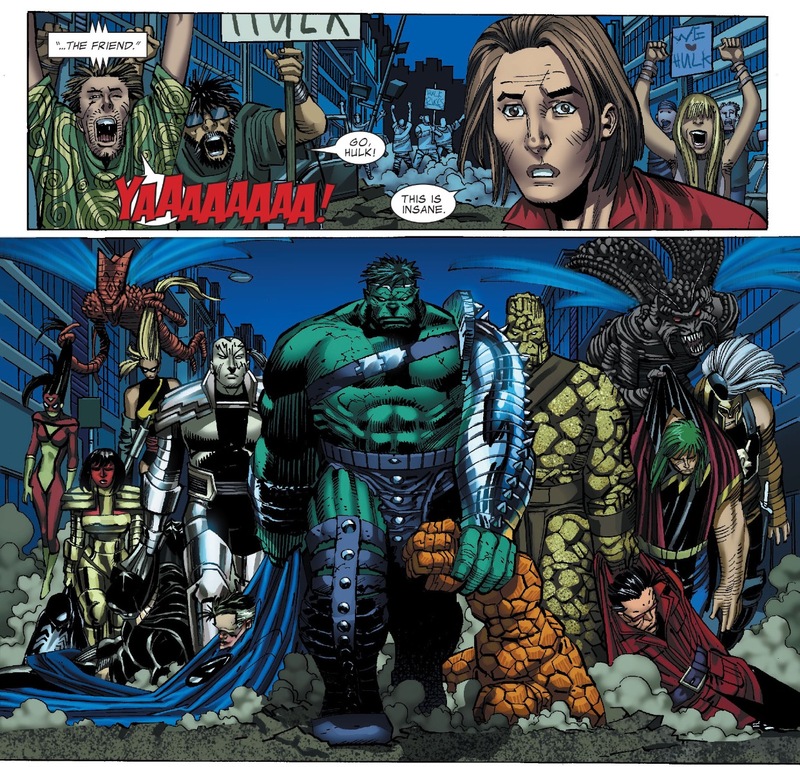 But when the mission was complete, a group of Marvel heroes including Reed Richards, Iron Man, Dr. 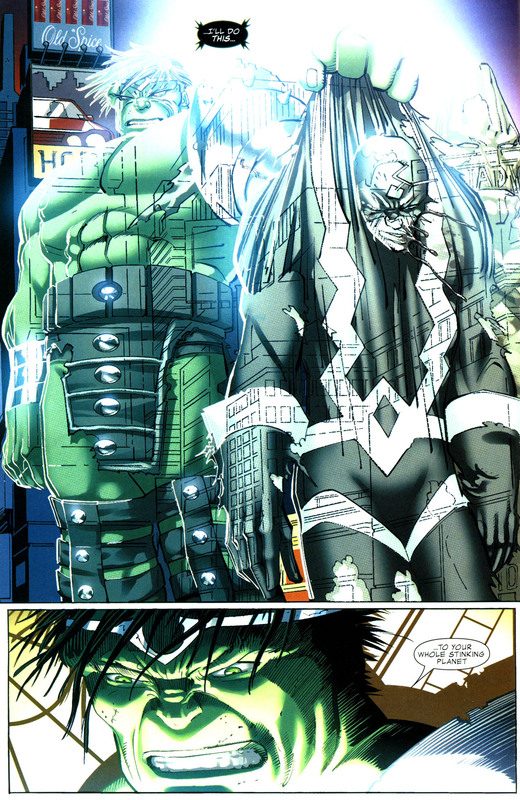 Strange and Black Bolt exiled Hulk from the Earth, intending to send his shuttle toward and idyllic, uninhabited planet where he would pose no threat to himself or others. 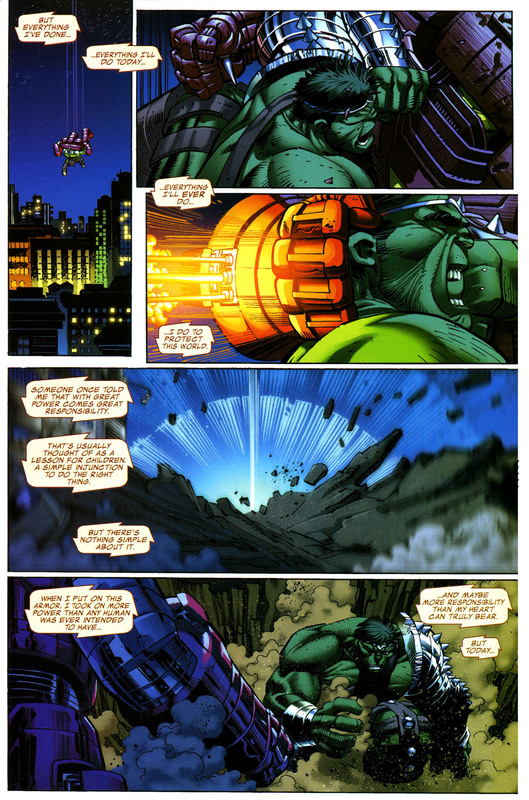 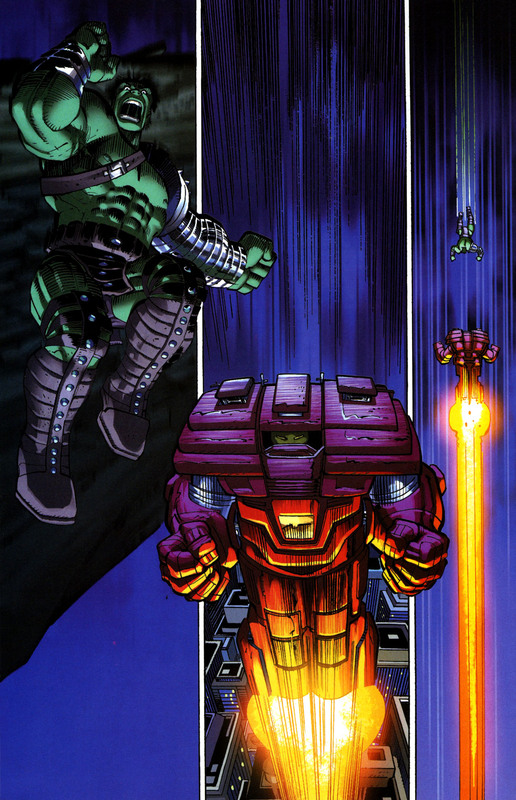 Instead, the shuttle flew off course, passing through a wormhole that deposited Hulk onto the savage planet of Sakaar. 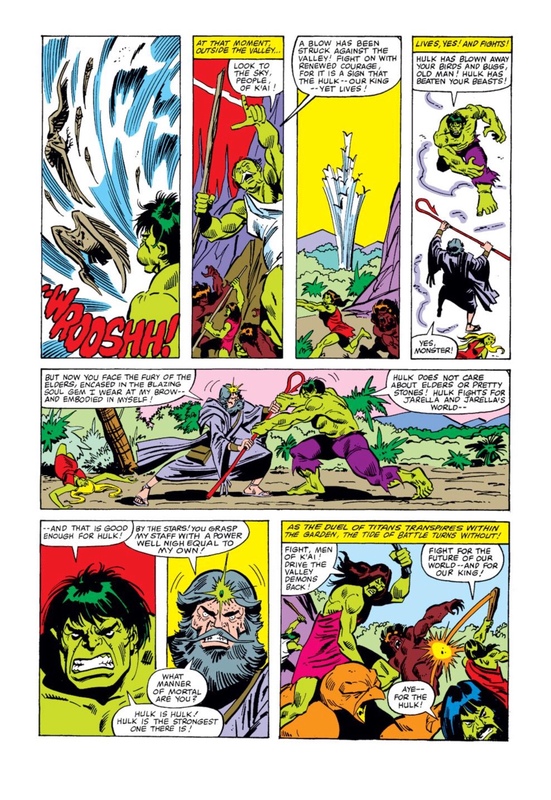 Weakened by his trip through the portal, Hulk was sold into slavery and sent to the Great Arena to die in gladiatorial battle. 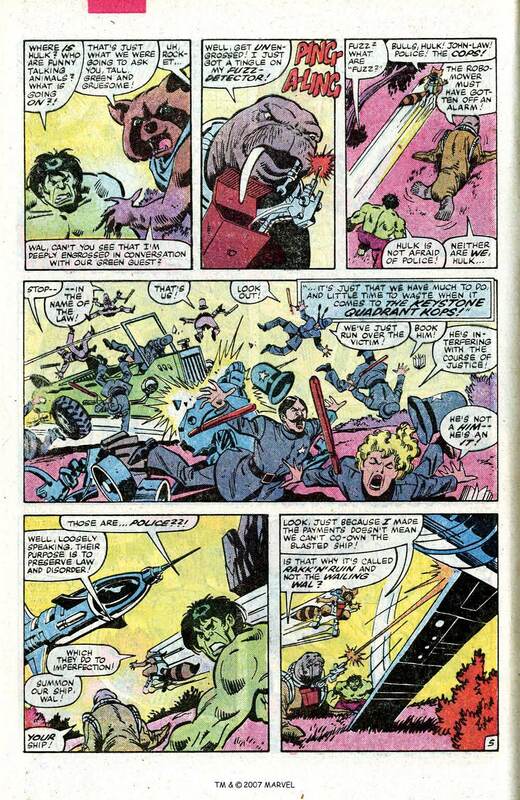 Shortly after, a group of rebels tried to free Hulk, offering him the chance to fight against the Empire. 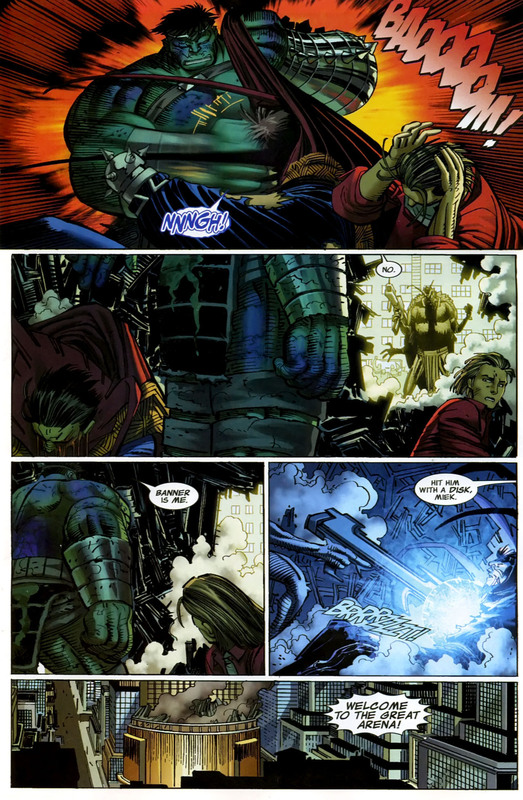 He rejected the offer uninterested in being the rebels pawn. 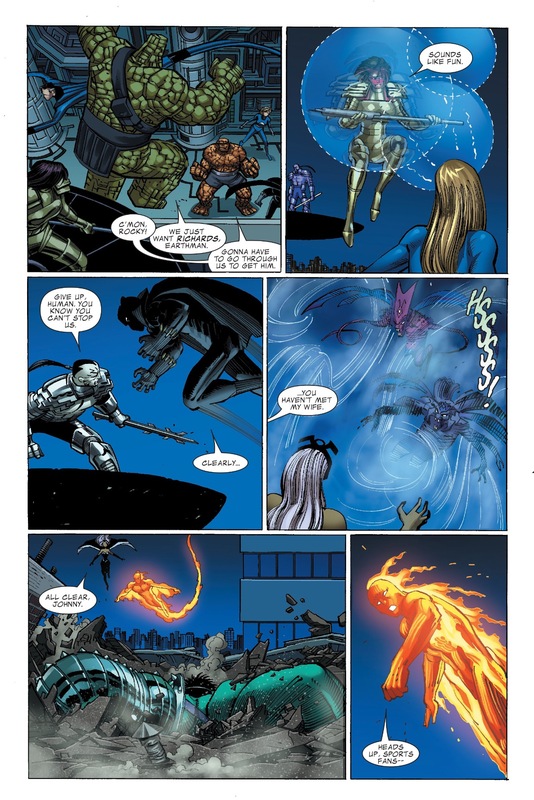 But Elloe, a warior whose father was killed during gladiator training, accepts the rebels’ offer only to be taken into custody by Death’s Head Warguards. 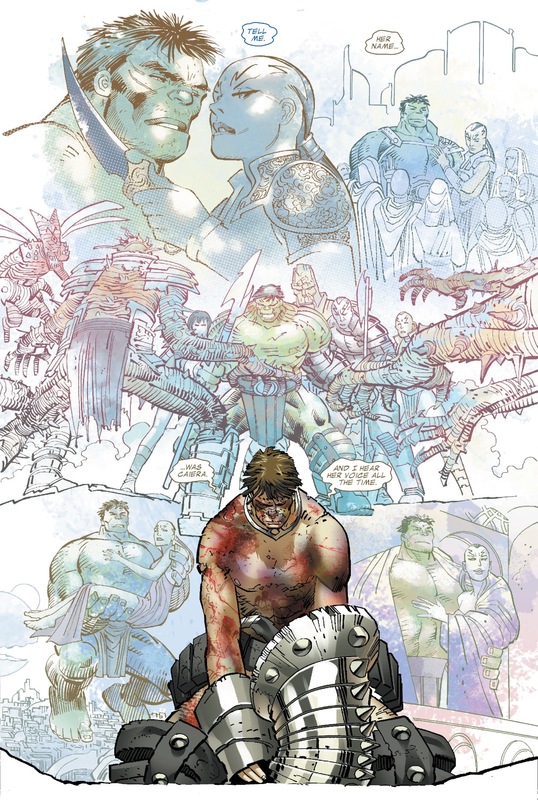 In the Great Arena, Hulk and his team learned that if they survived three rounds of combat, they would win their freedom. 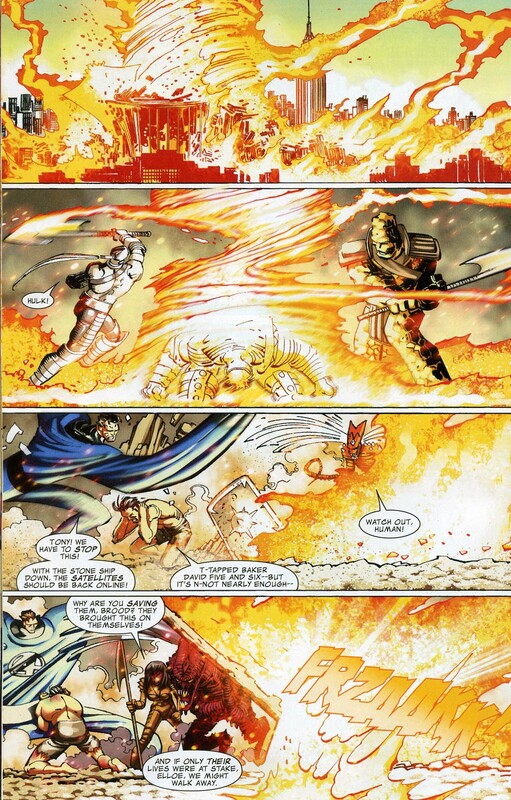 But the Emperor broke the rules, attacking the gladiators with a Deathfire bomb and a platoon of Death’s Heads. 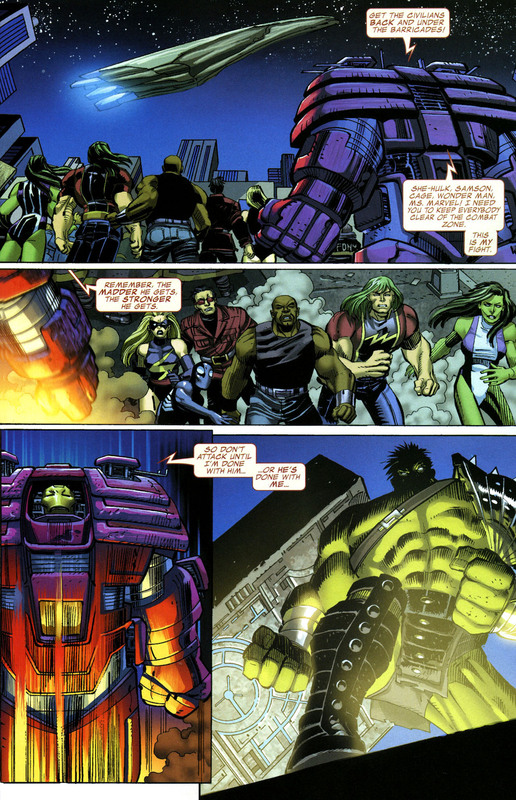 Hulks crew survived, except for Lavin Skee who was killed in the fray. 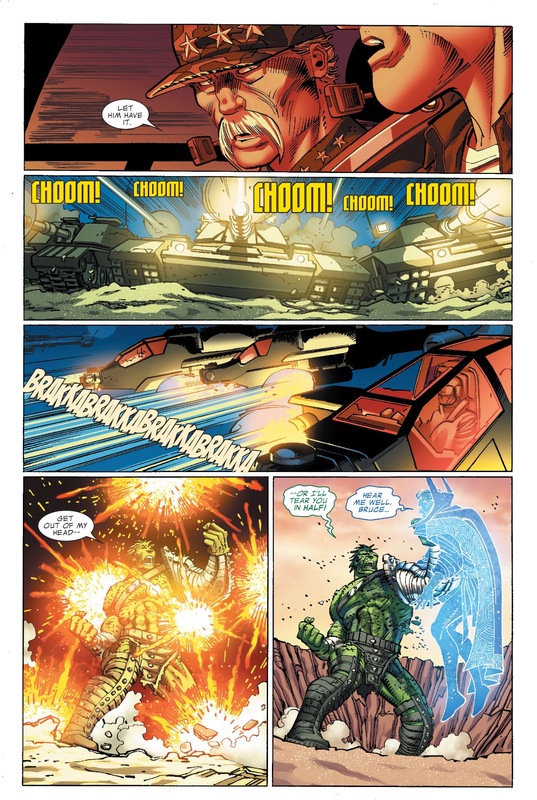 That night, the surviving members of the crew spoke their true names and took an oath – they are now Warbound to each other, no matter what may come. 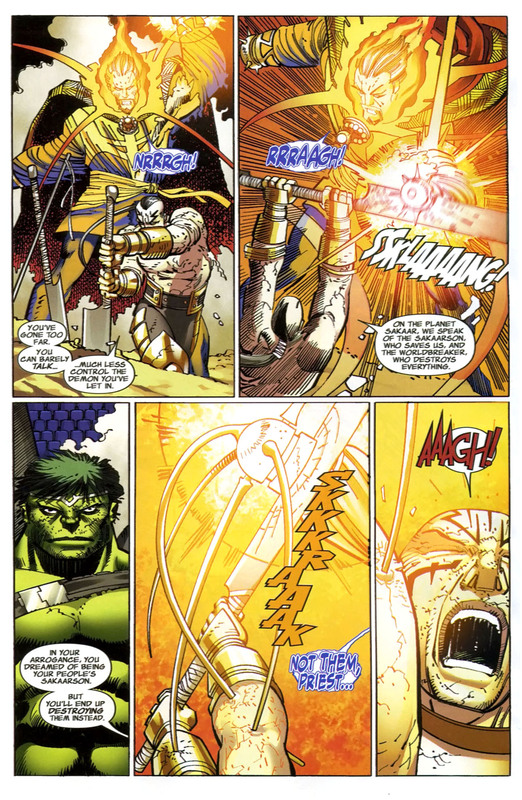 This entry was posted in Hulk, Marvel Comics, planet hulk, Silver Surfer, Versus and tagged comic books, Marvel Comics, planet hulk, silver surfer, world war hulk on April 10, 2016 by lowbrowcomics. 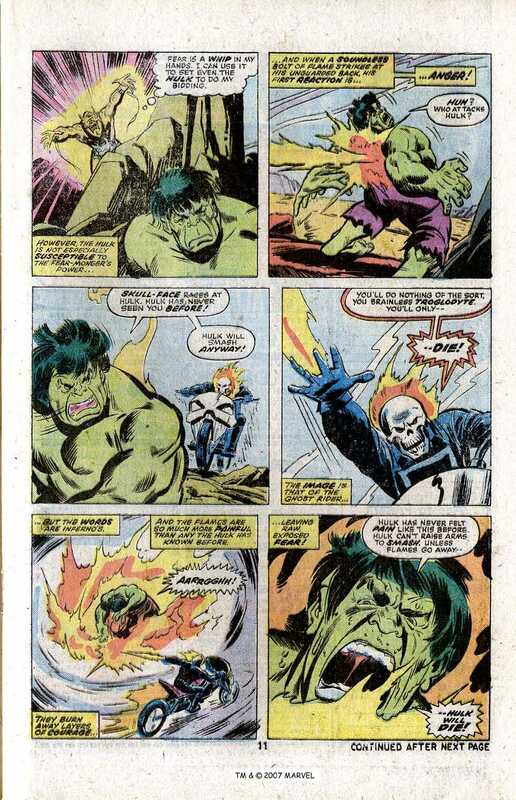 This entry was posted in Ghost Rider, Hulk and tagged hulk, VS on March 6, 2016 by lowbrowcomics. 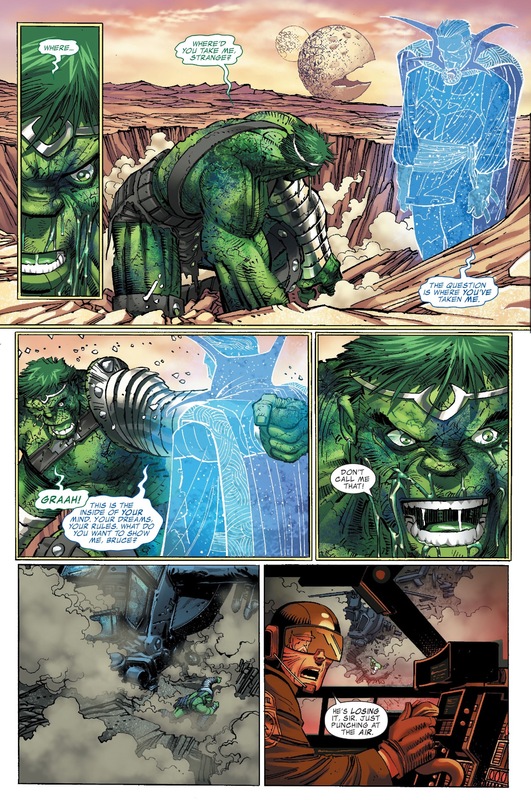 This entry was posted in Amadeus Cho, Hulk, Marvel Comics, Old Man Logan, Versus, Wolverine and tagged Amadeus Cho, Old Man Logan, wolverine on February 27, 2016 by lowbrowcomics. 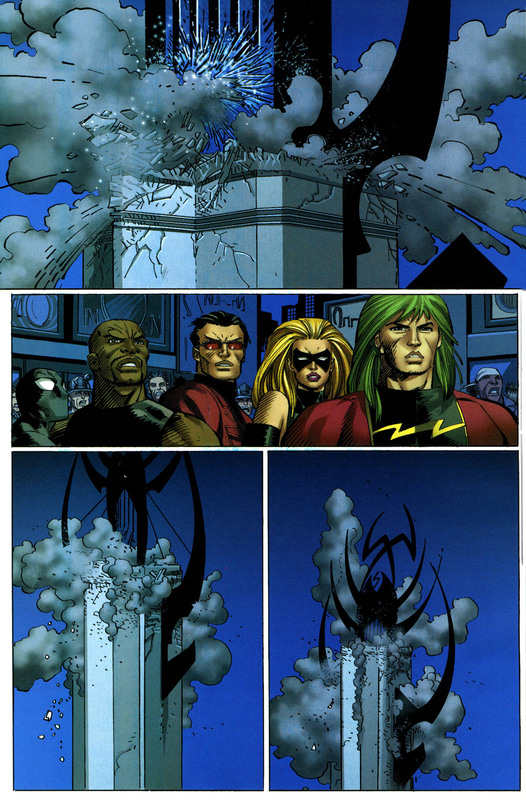 The Quintronic Man was a project in which professor Burke was working under the command of A.I.M. 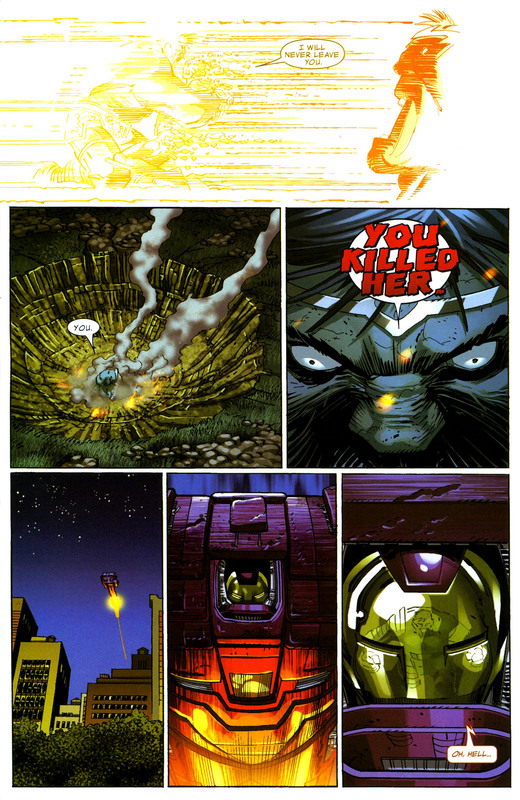 based from Iron Man. 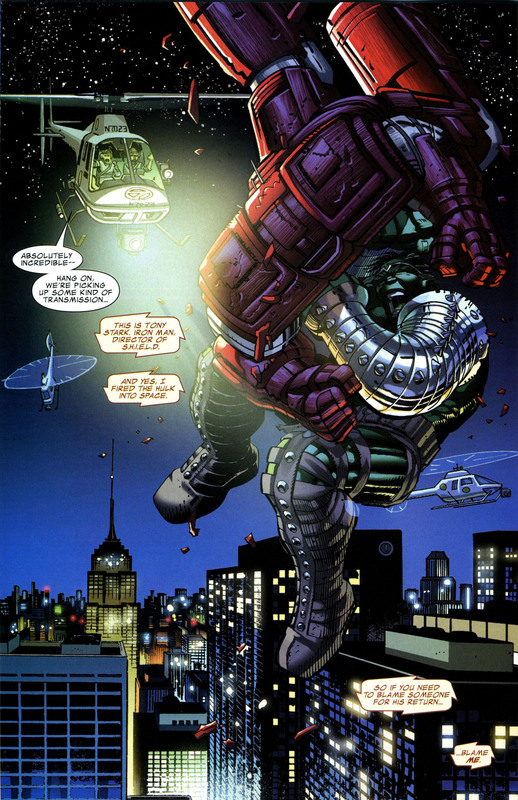 It’s an exoskeleton which needed 5 men to operate, including himself. 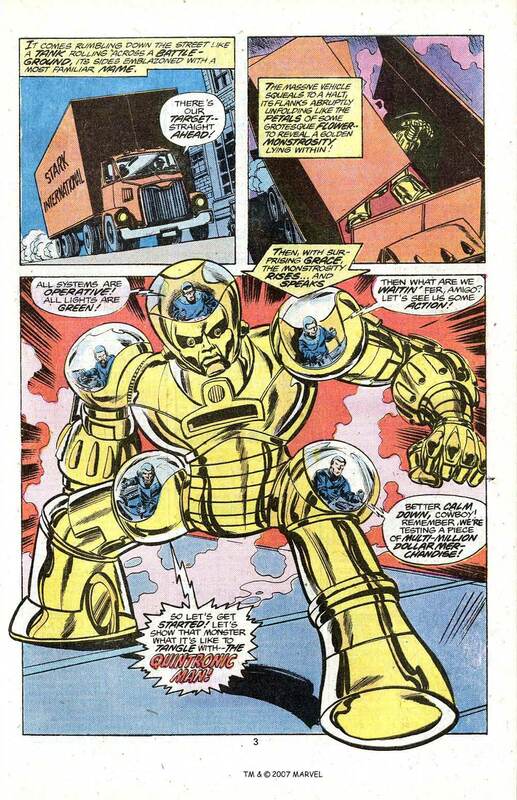 But Burke, the key agent on the project left A.I.M. 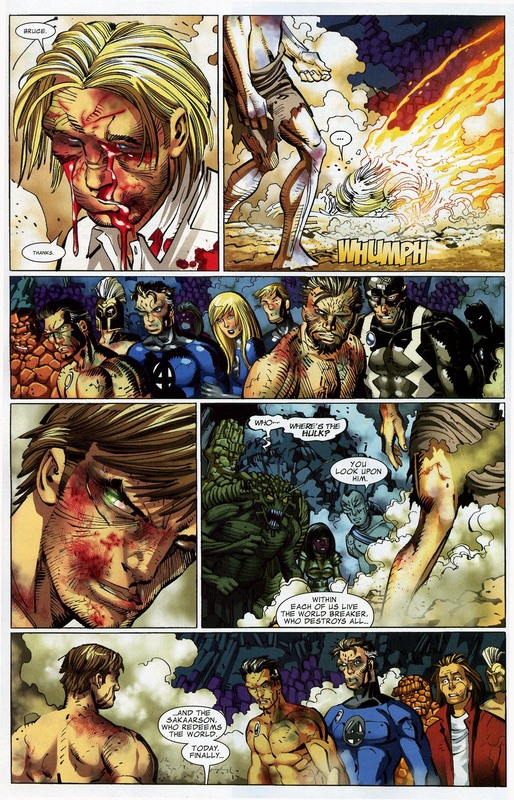 before it was finished. 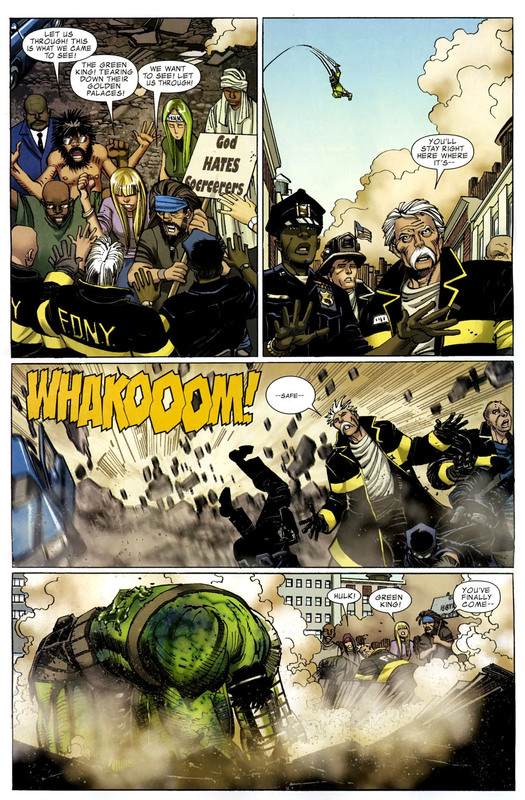 Colin Thirty-Three sent two agents to kidnap professor Burke, in a apparently failed attempt to prevent A.I.M. 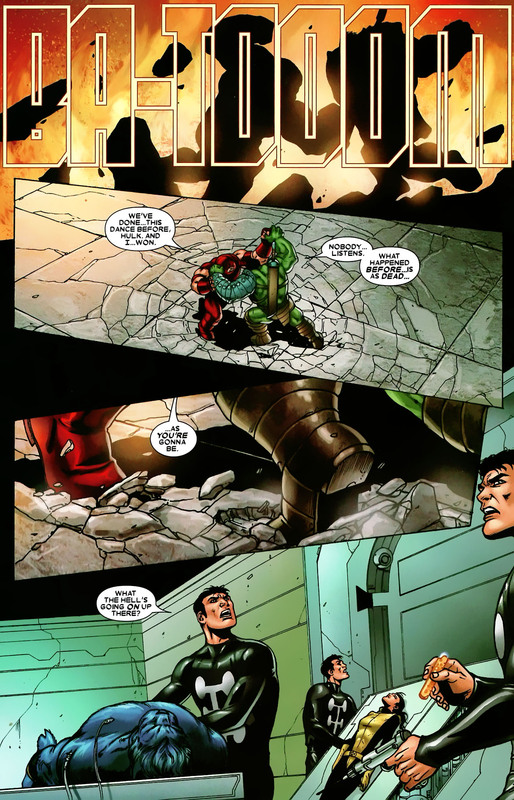 mission from success, S.H.I.E.L.D. 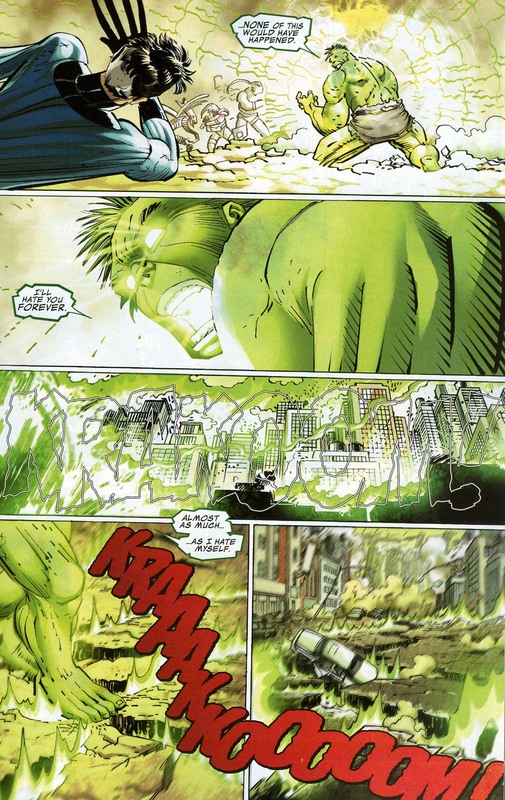 managed to change a face-covered professor Burke with Bruce Banner, who as soon as he entered A.I.M.’s facility, started causing havoc. 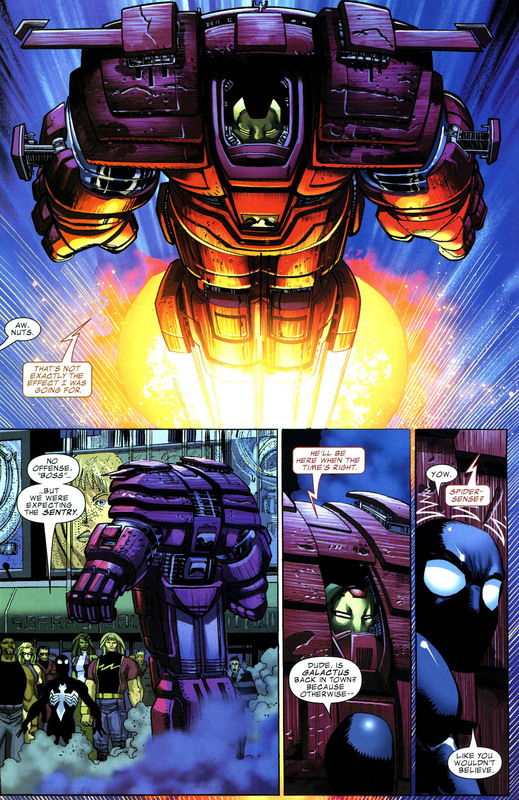 Colin decided that the project could’ve been finished without Burke, and used another A.I.M. 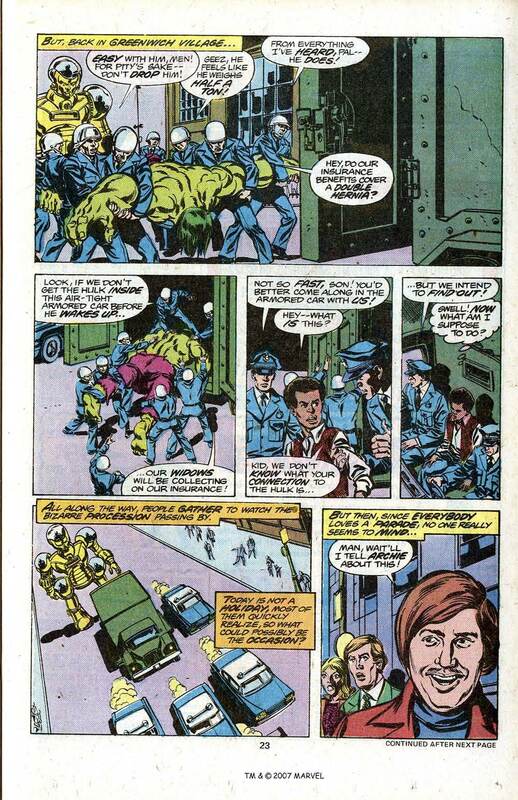 agent to cover Burke’s place. 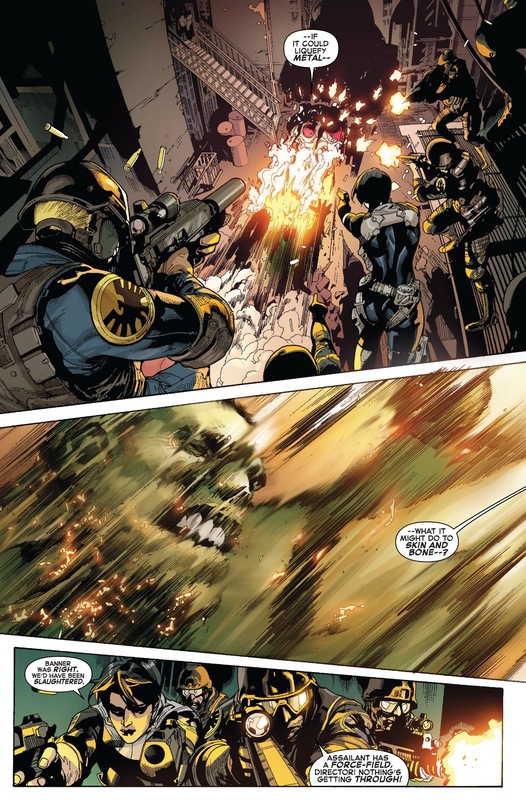 Other S.H.I.E.L.D. 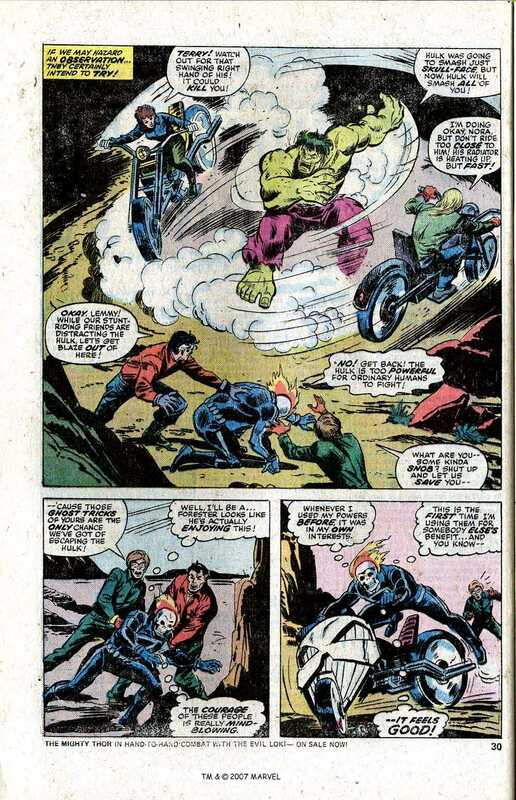 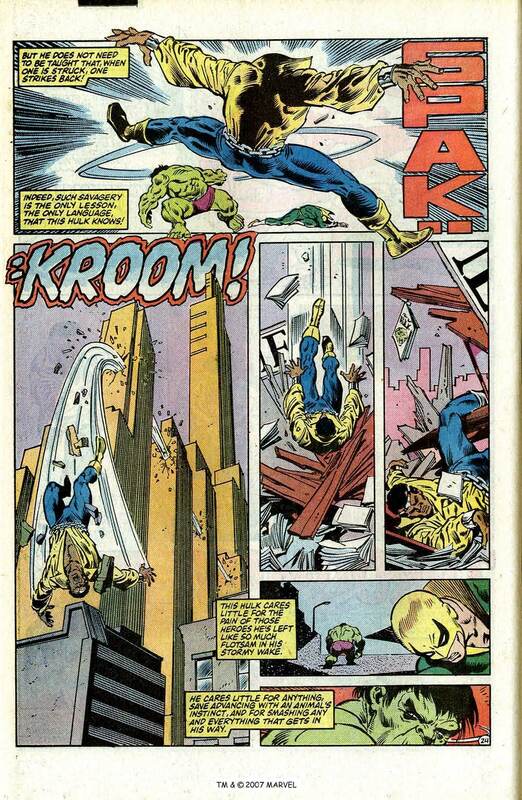 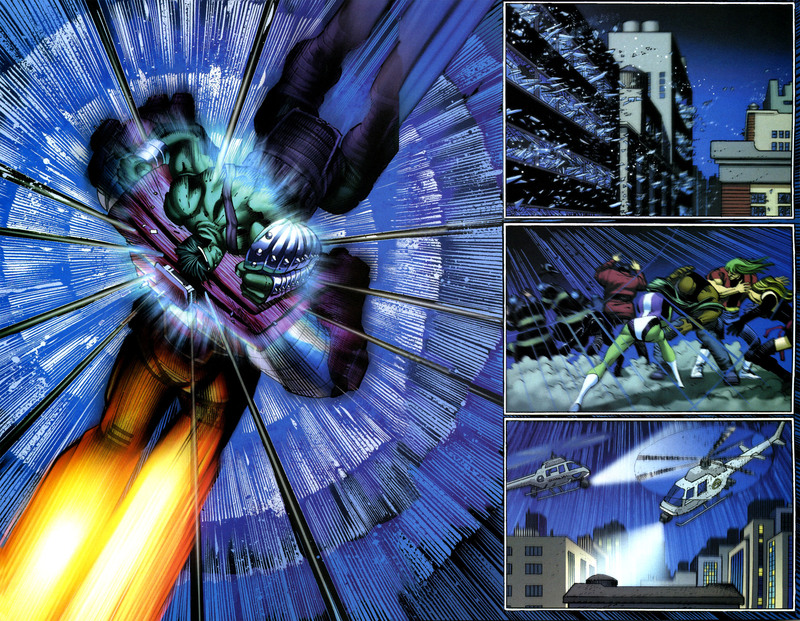 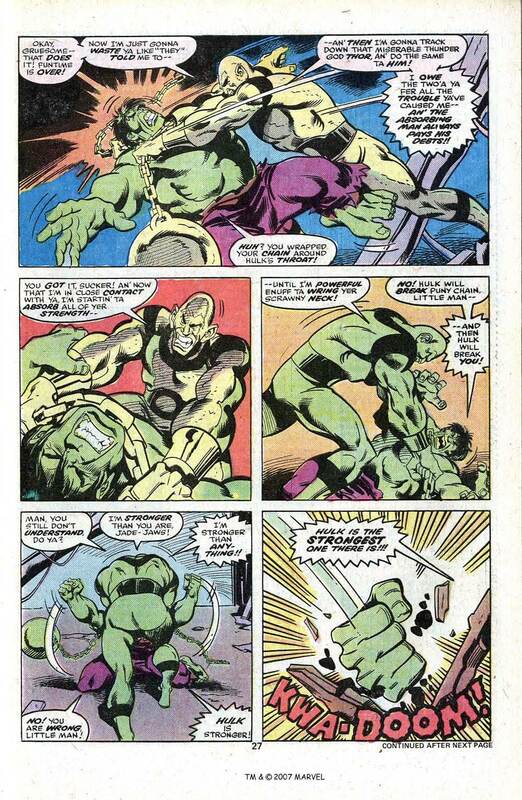 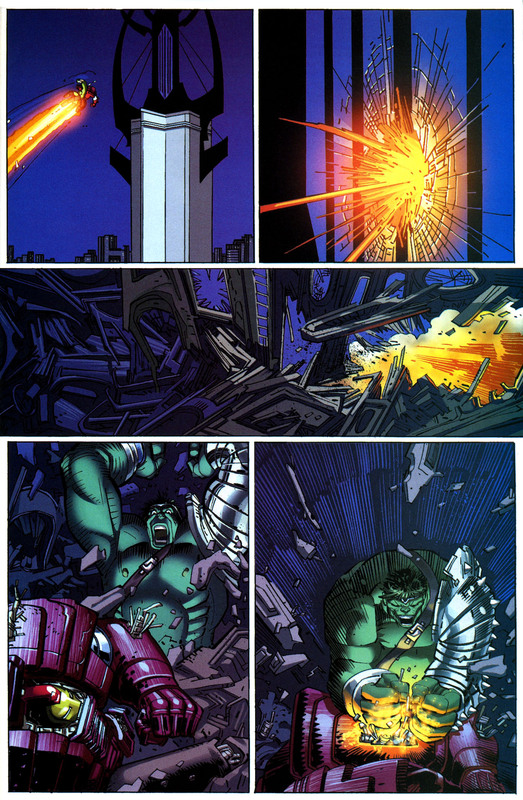 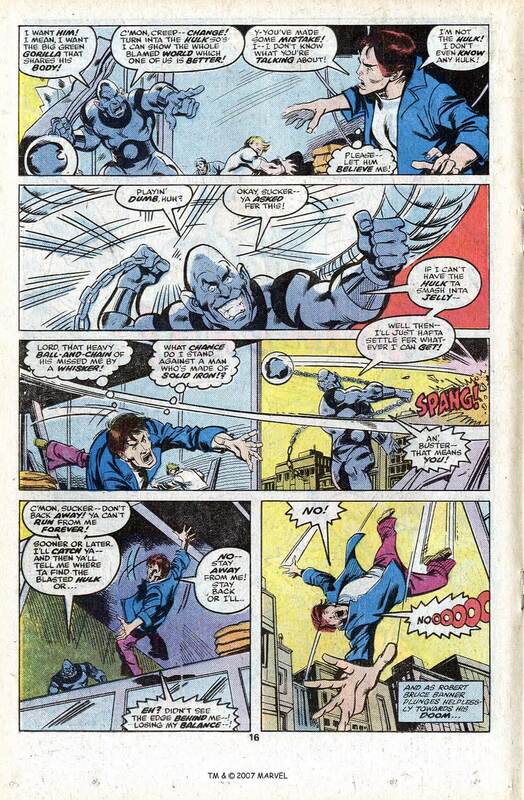 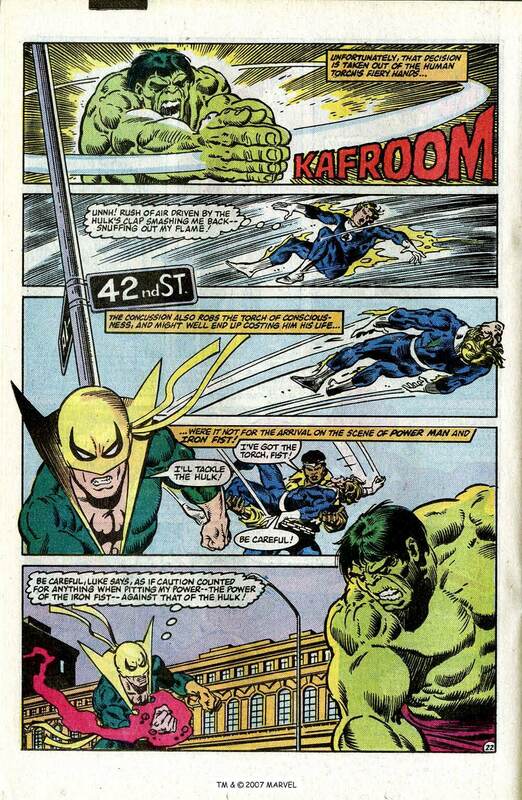 agents who supported Hulk were defenseless until the hero crashed on the scene. 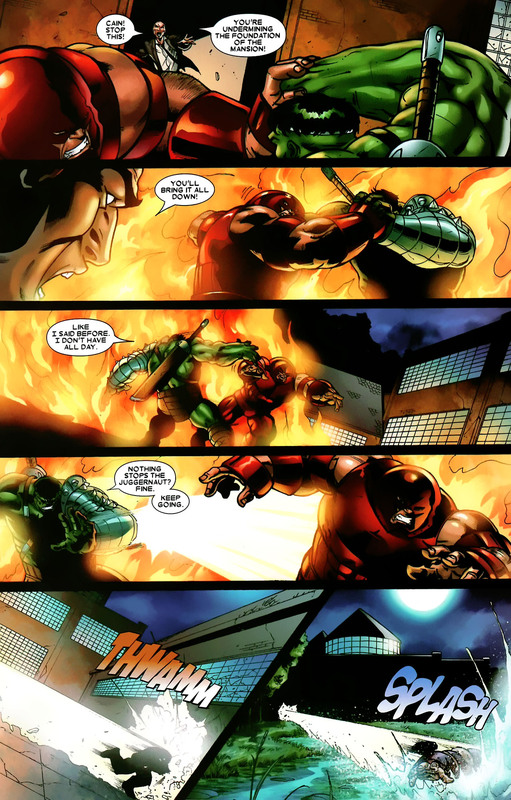 The Quintronic Man tried to kill Hulk using the lava of the volcano the A.I.M. 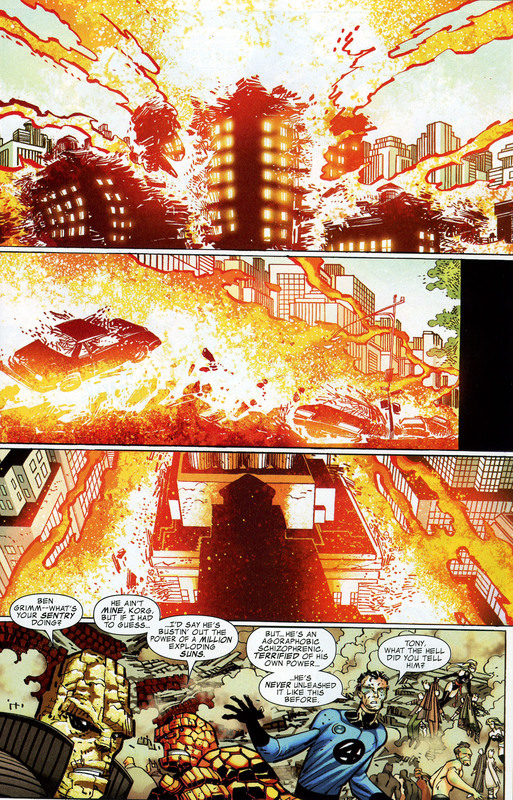 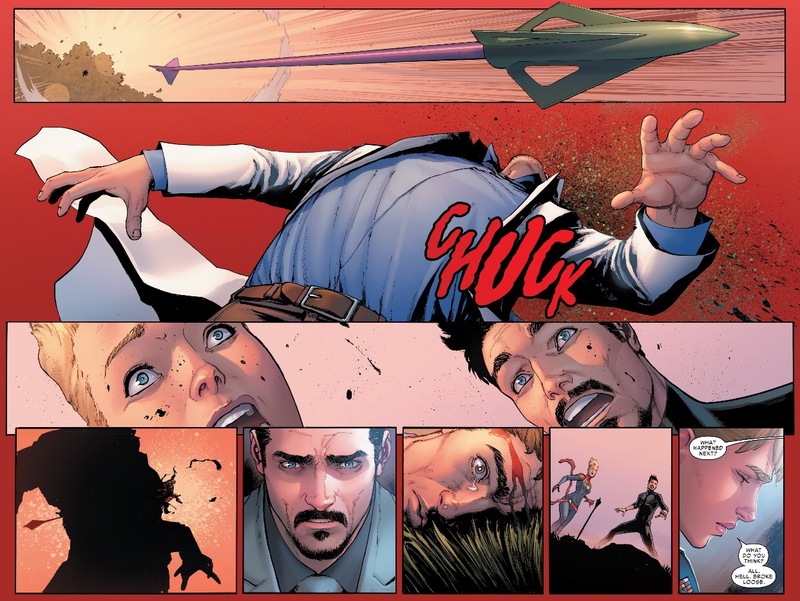 base was in, but he survived, and crashed the suit’s protection, allowing the lava to reach Thirty-Three and the other four agents, killing them and destroying the suit. 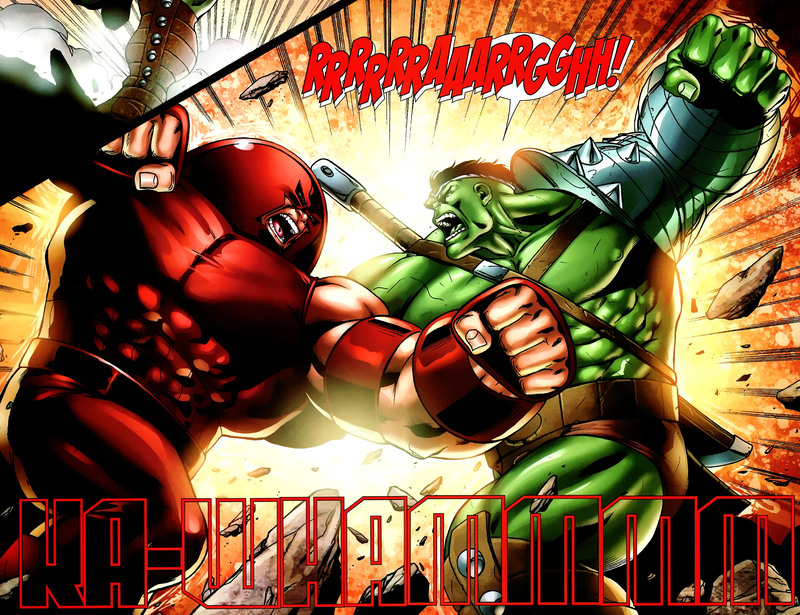 This entry was posted in Hulk, Marvel Comics, Versus and tagged hulk, Quintronic Man, VS on February 1, 2016 by lowbrowcomics. 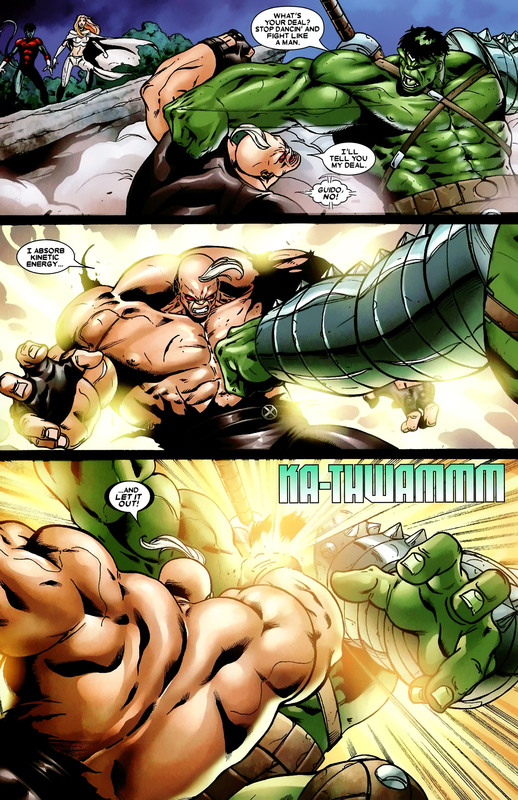 This entry was posted in Hulk, Marvel Comics, Versus and tagged Absorbing Man, hulk, VS on February 1, 2016 by lowbrowcomics. 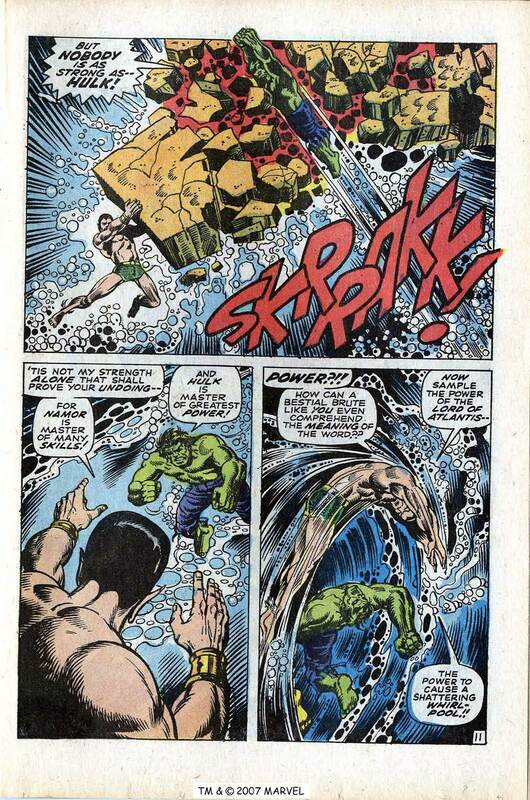 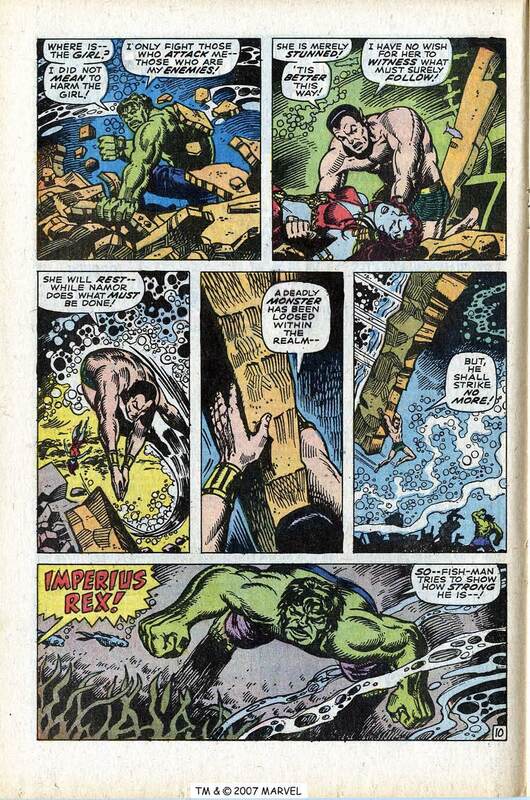 This entry was posted in Hulk, Marvel Comics, Versus and tagged hulk, Namor, Submariner, VS on February 1, 2016 by lowbrowcomics. 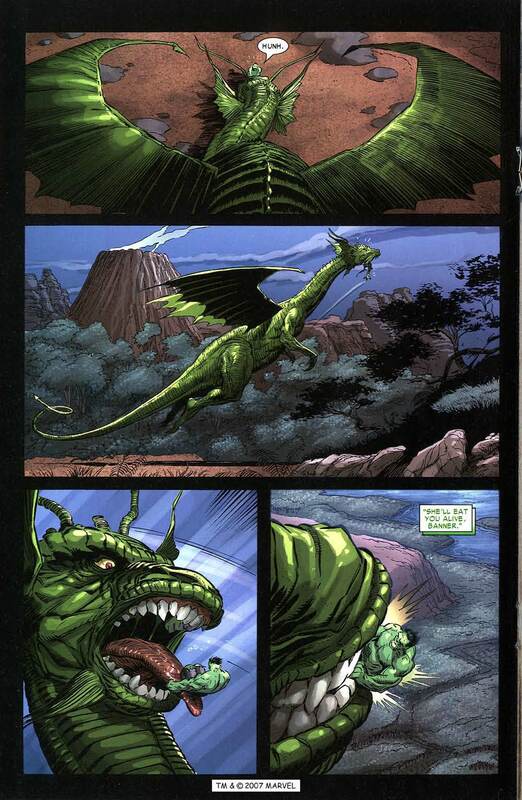 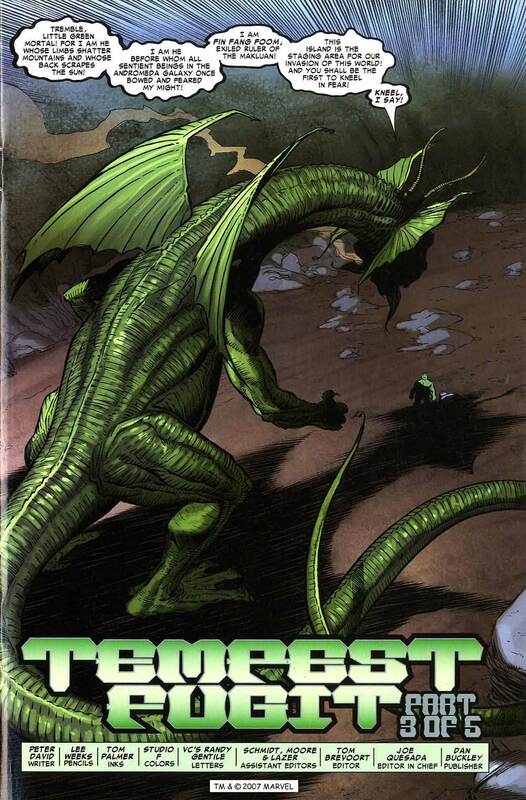 The Hulk is on an island where Nightmare is manipulating reality and turning Mindless Ones into other creatures, one of those being Fin Fang Foom. 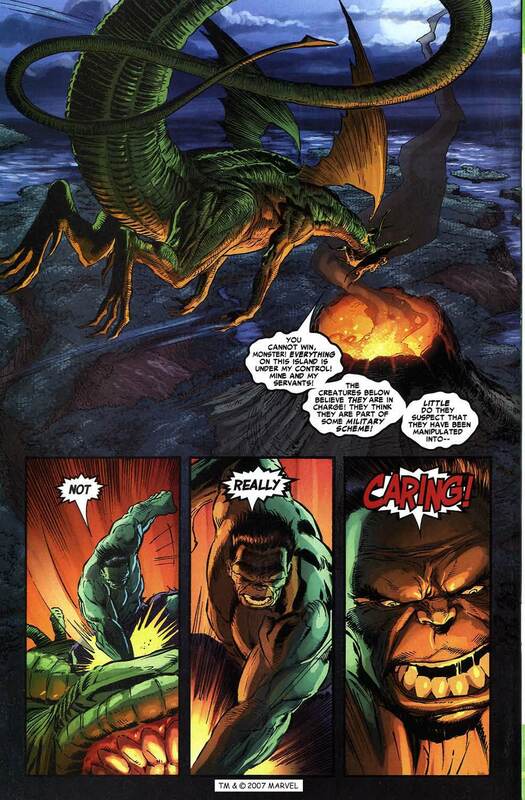 Fin Fang Foom tries to convince the Hulk that he will rule the planet and that the Hulk should kneel before him. 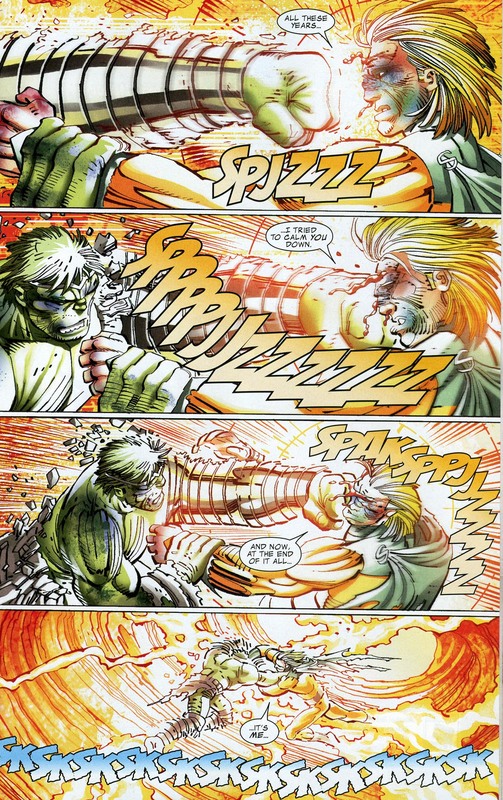 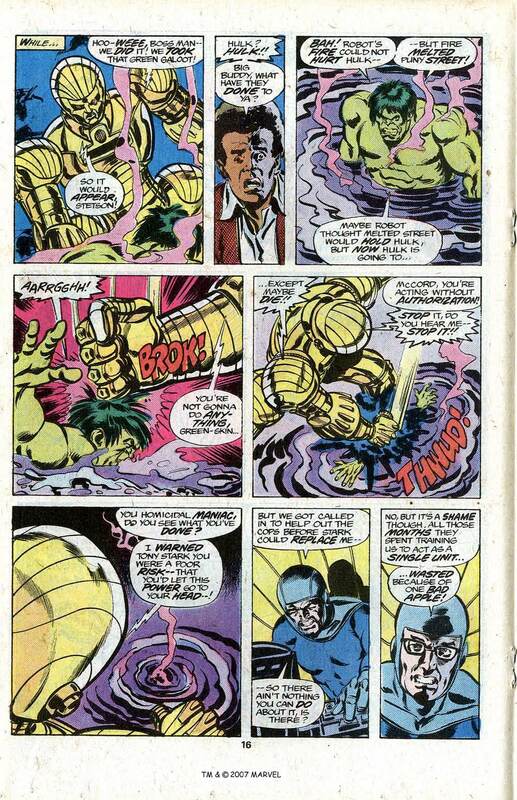 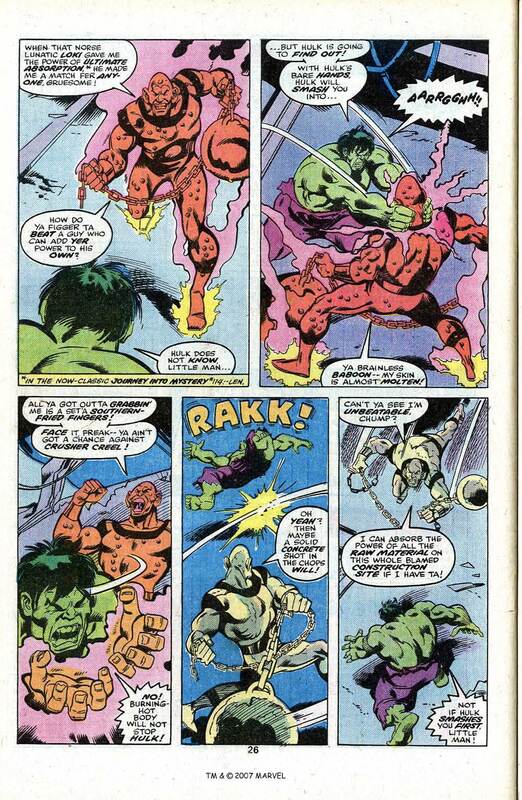 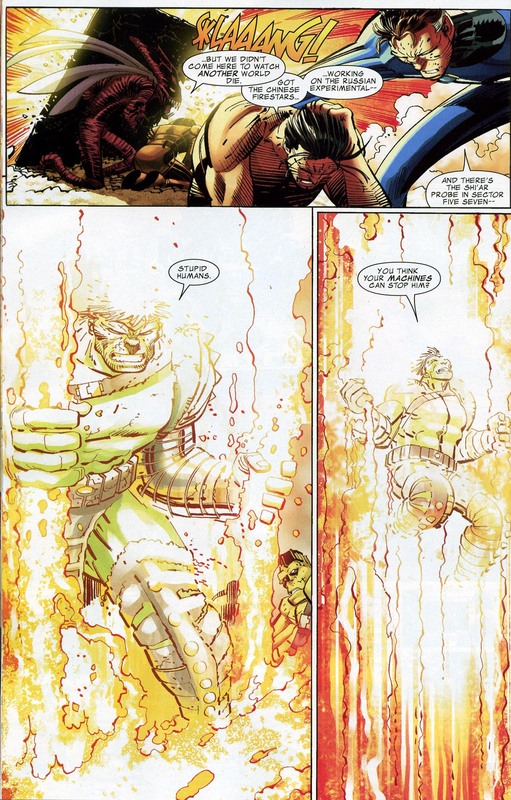 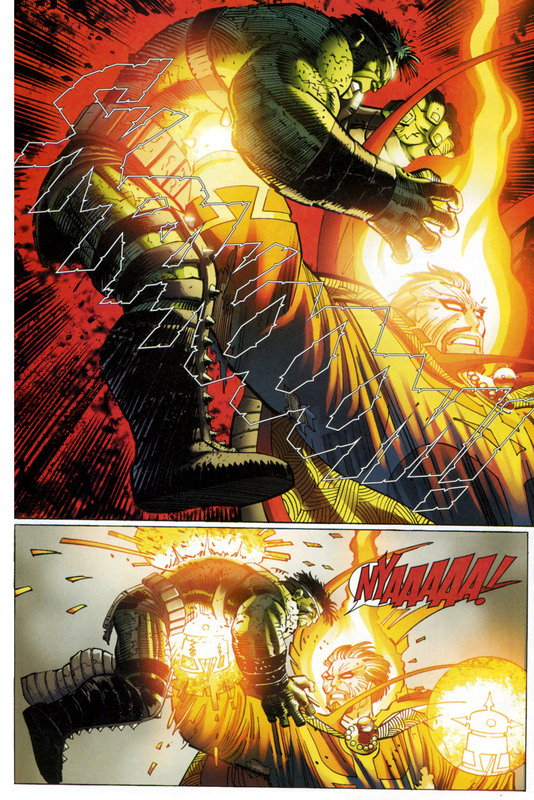 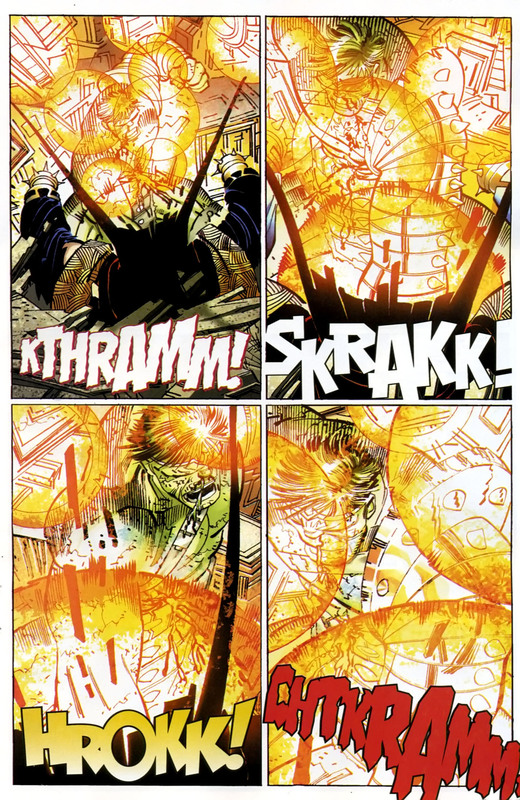 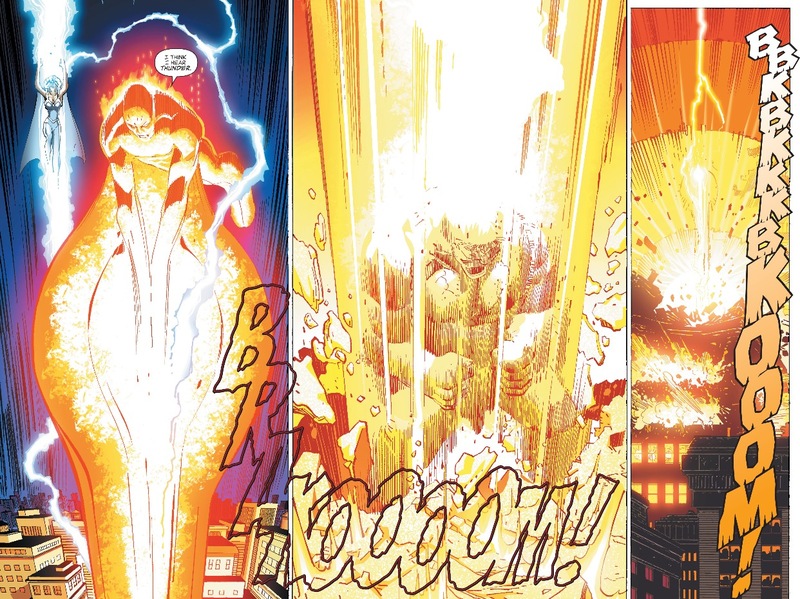 The Hulk isn’t playing that game so Foom breathes his fire on him and it barely singes the Jade Giant. 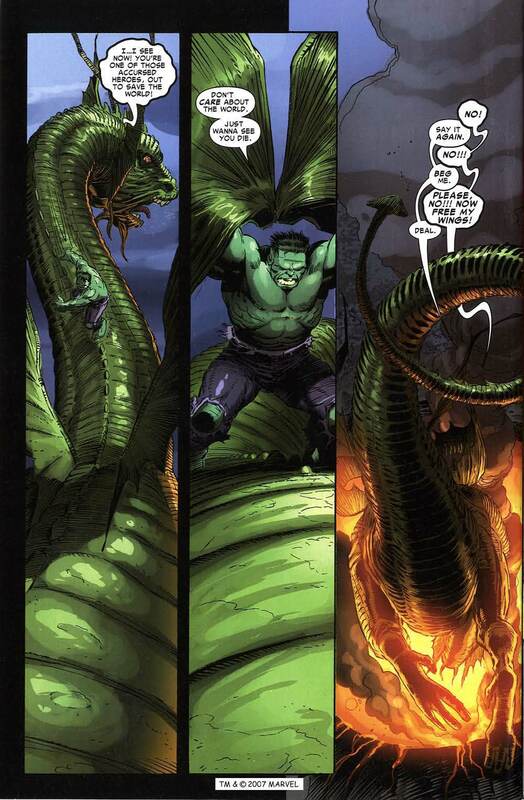 This entry was posted in How strong is the Hulk, Hulk, Marvel Comics, Versus and tagged comics, Fin Fang Foom, hulk, Marvel Comics, VS on January 17, 2016 by lowbrowcomics. 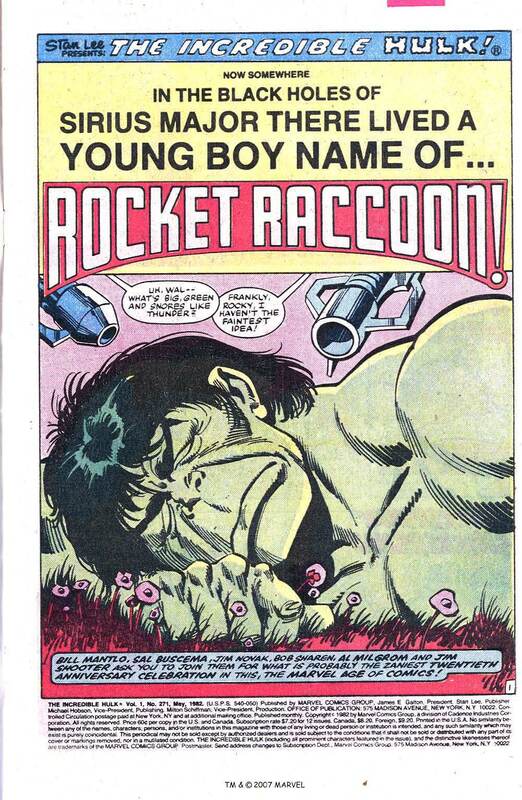 Now Somewhere in the Black Holes of Sirius Major There Lived A Young Boy Name of Rocket Raccoon! 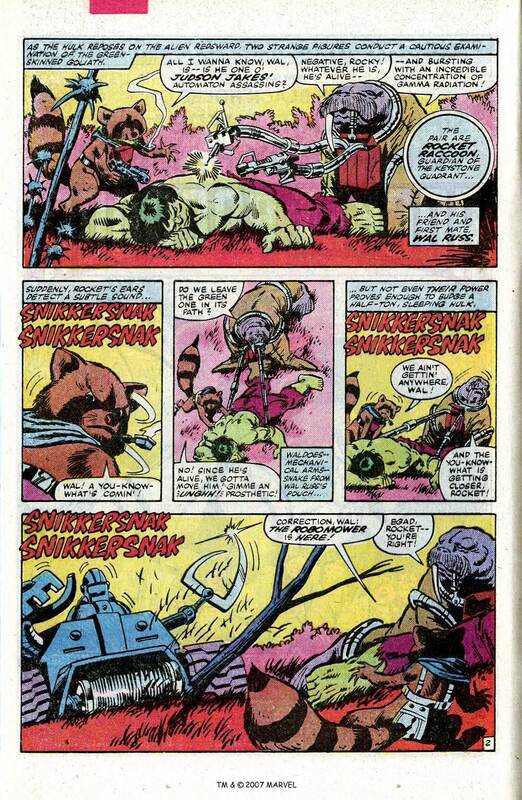 The character was created by Bill Mantlo and Keith Giffen and inspired by the Beatles song “Rocky Raccoon”. 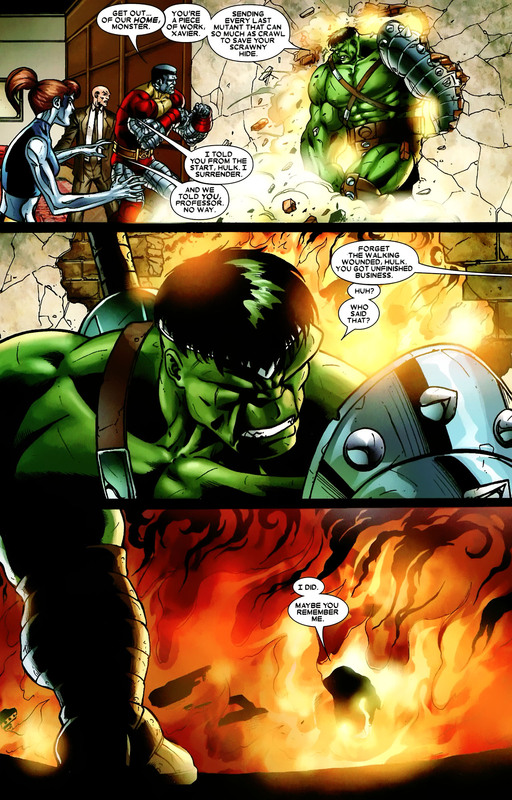 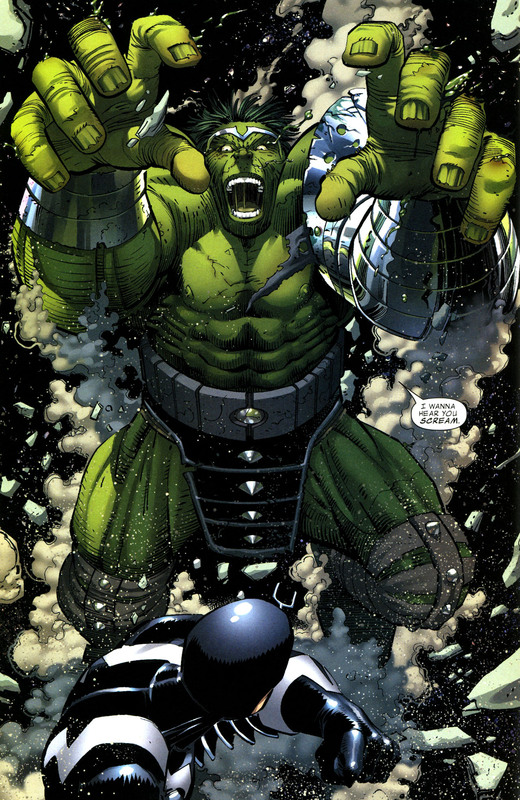 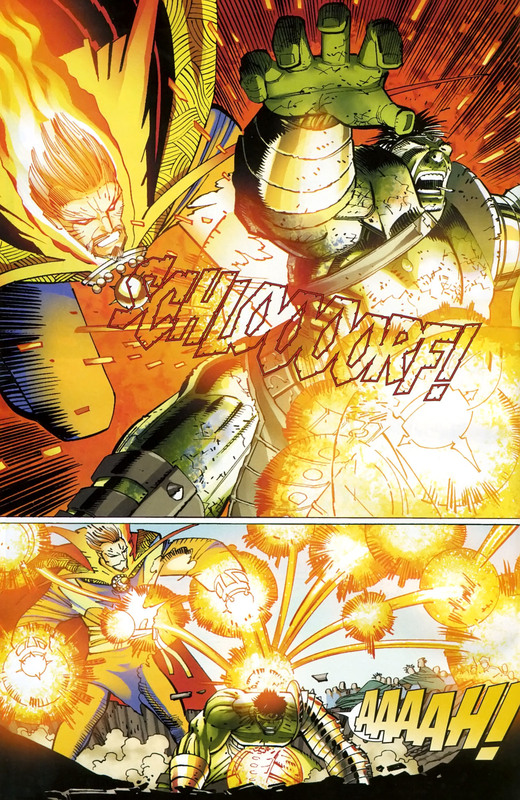 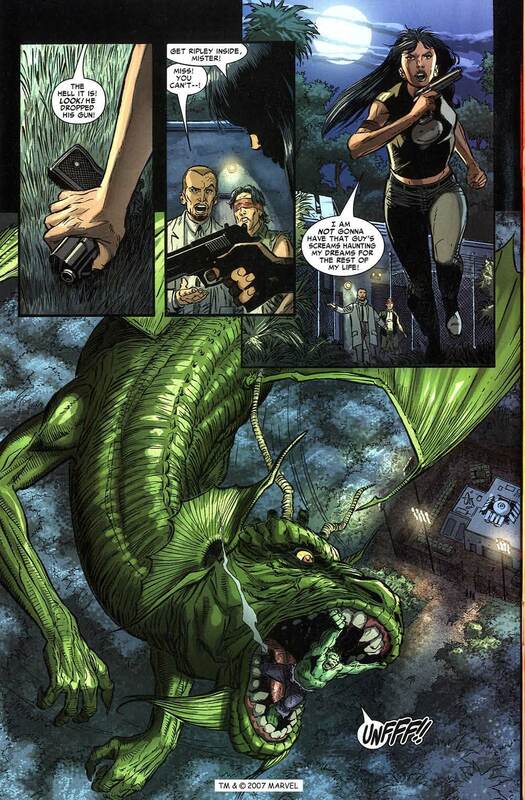 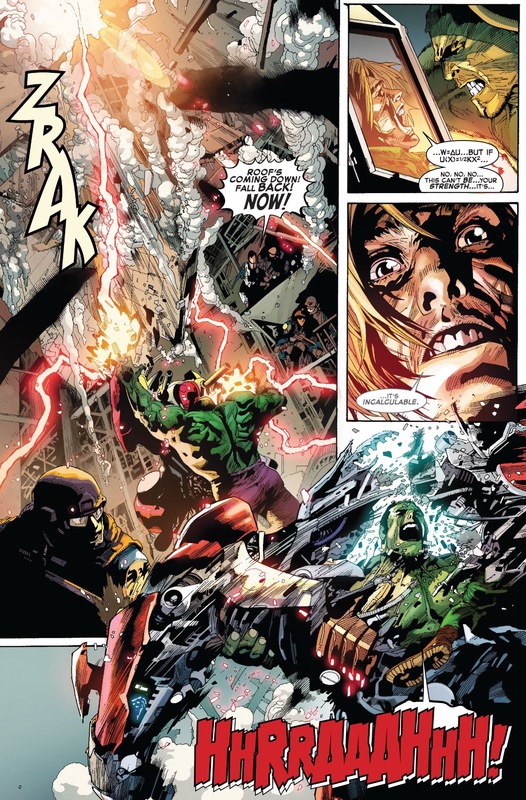 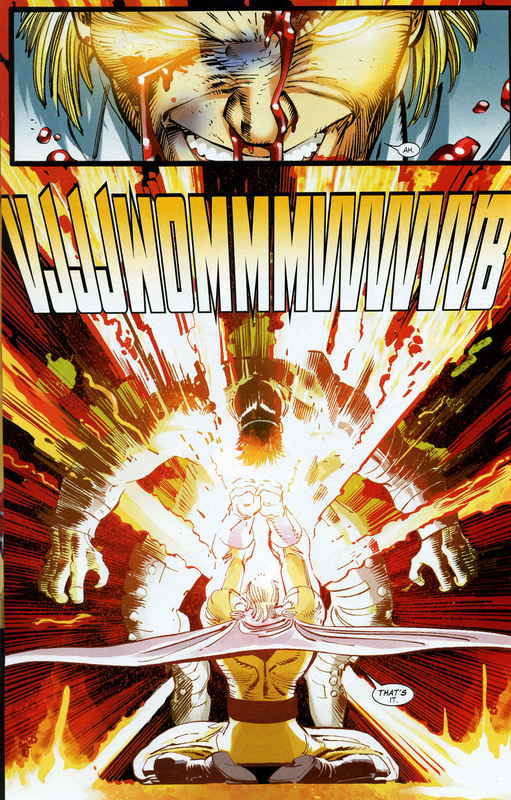 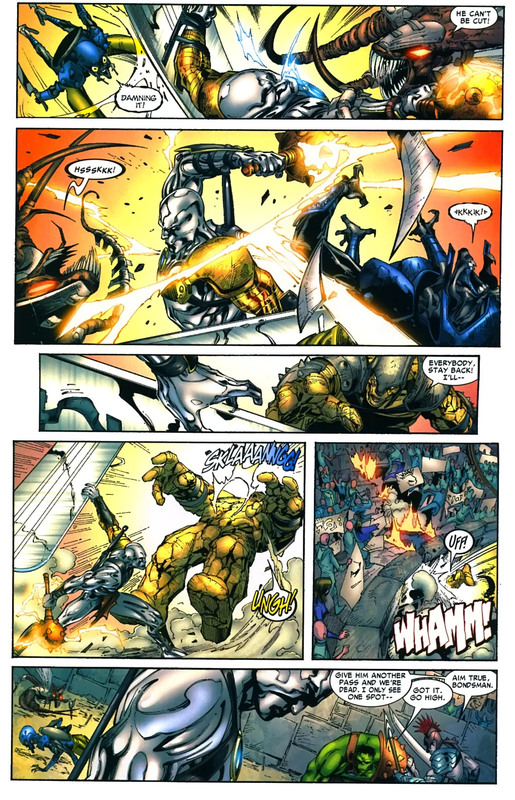 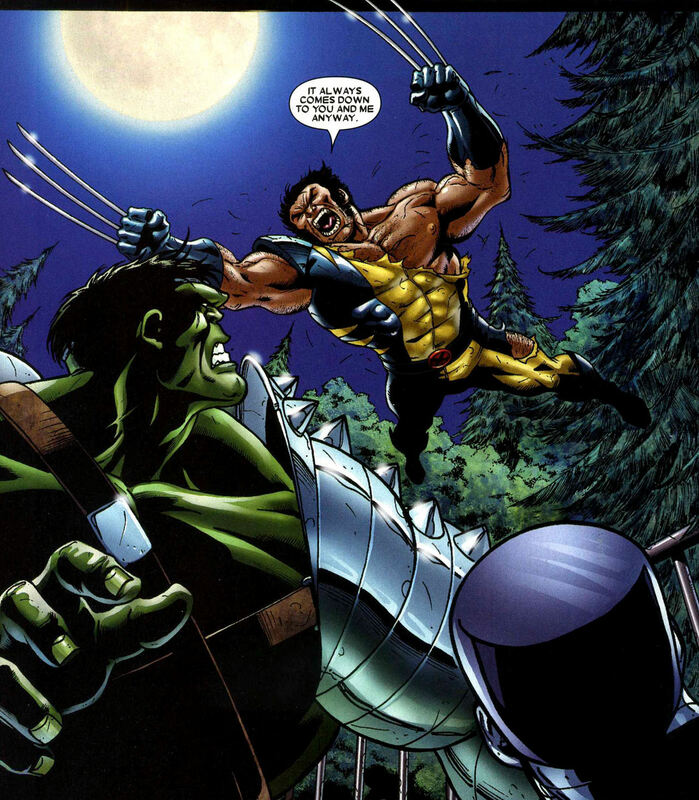 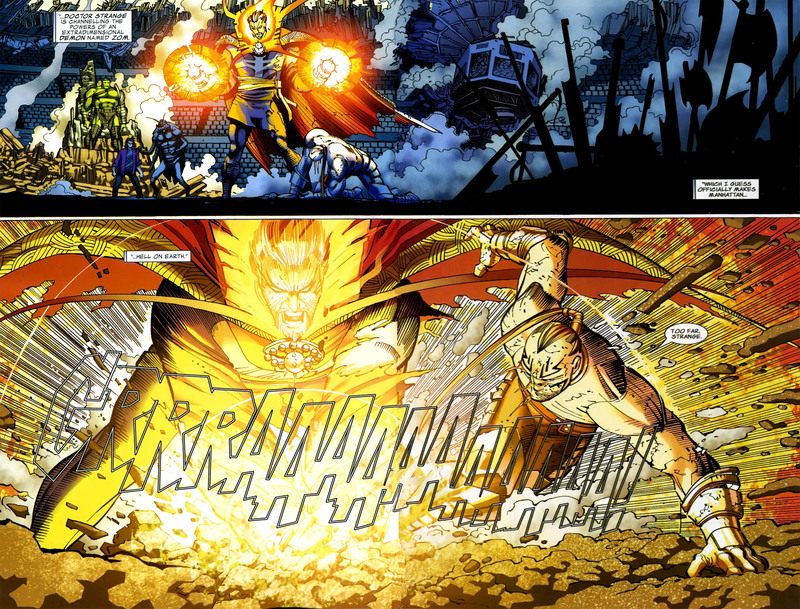 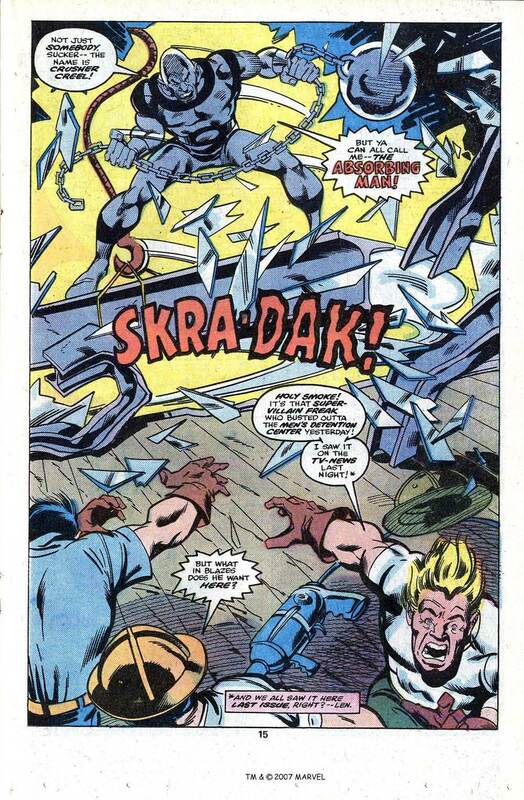 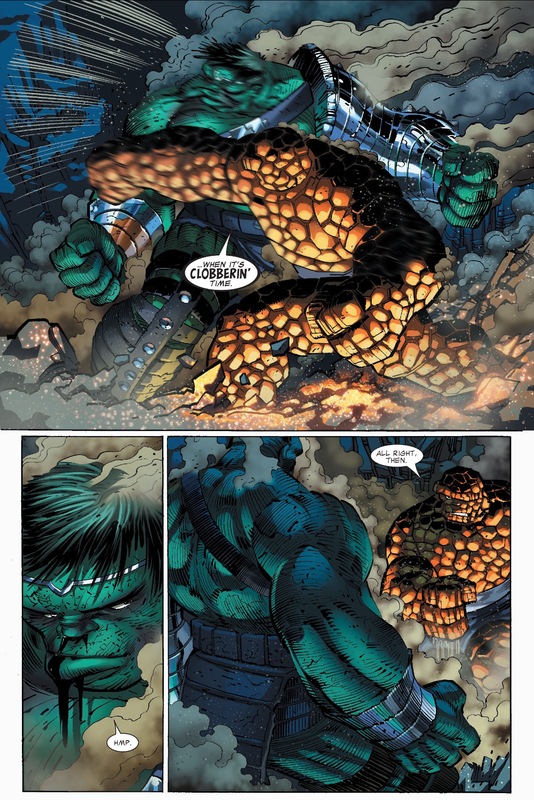 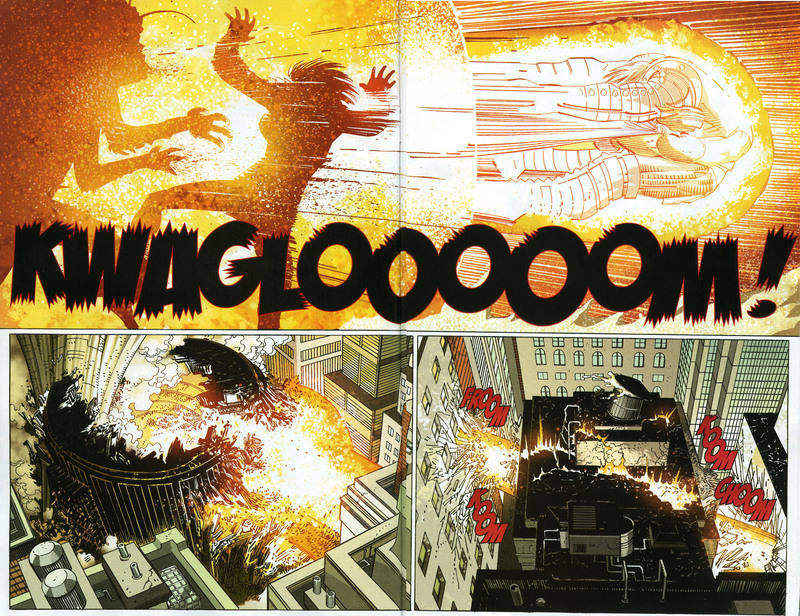 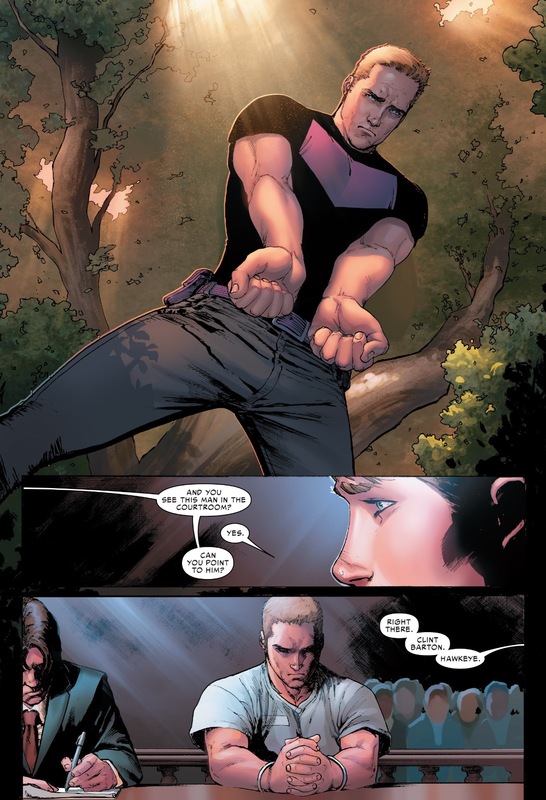 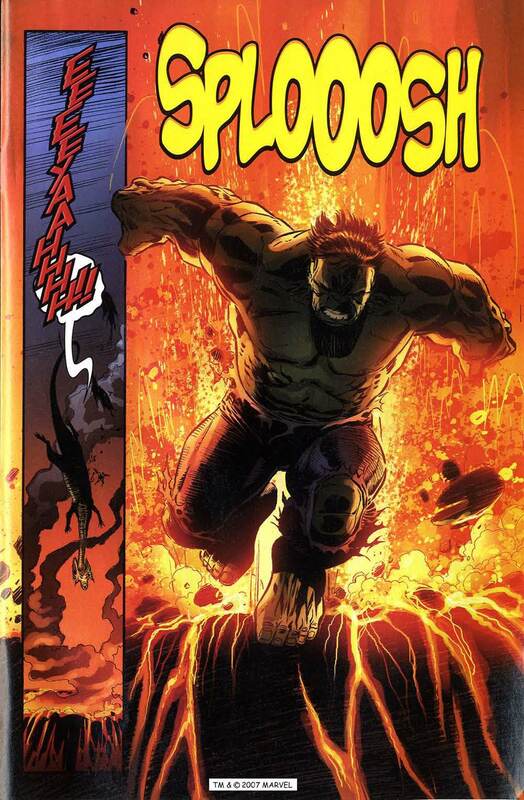 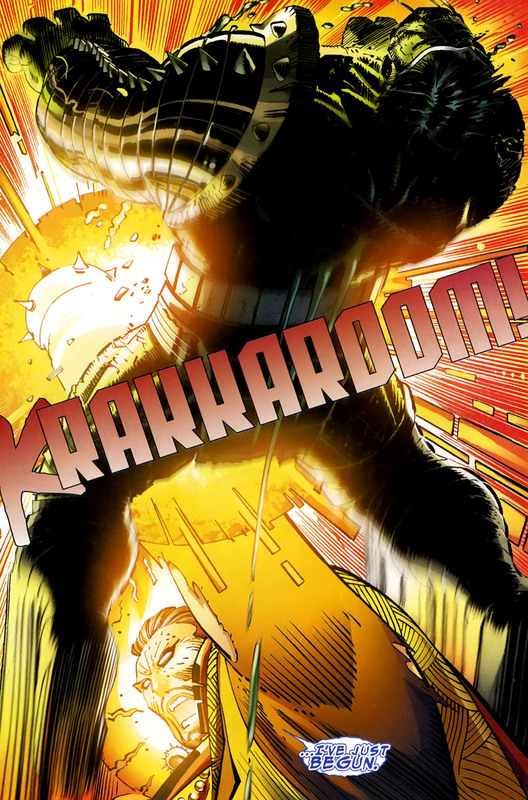 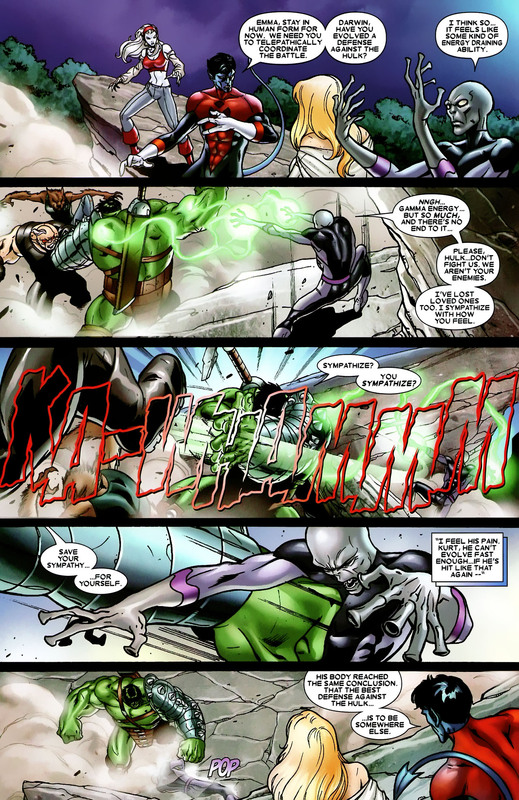 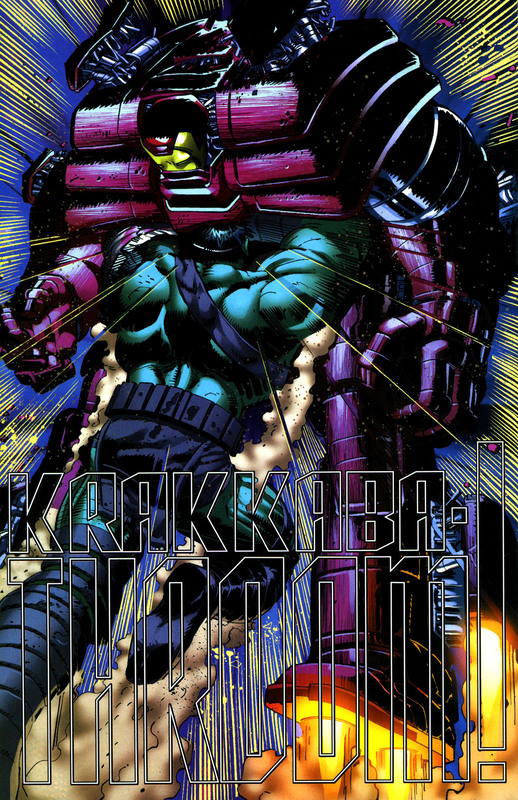 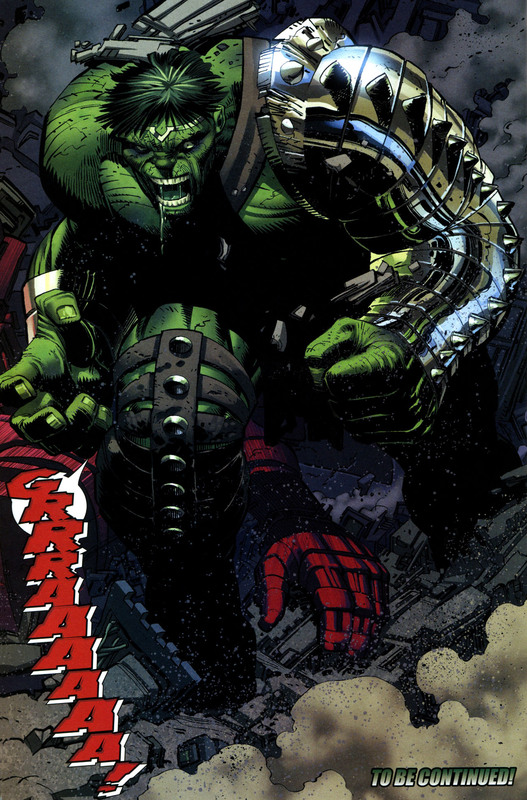 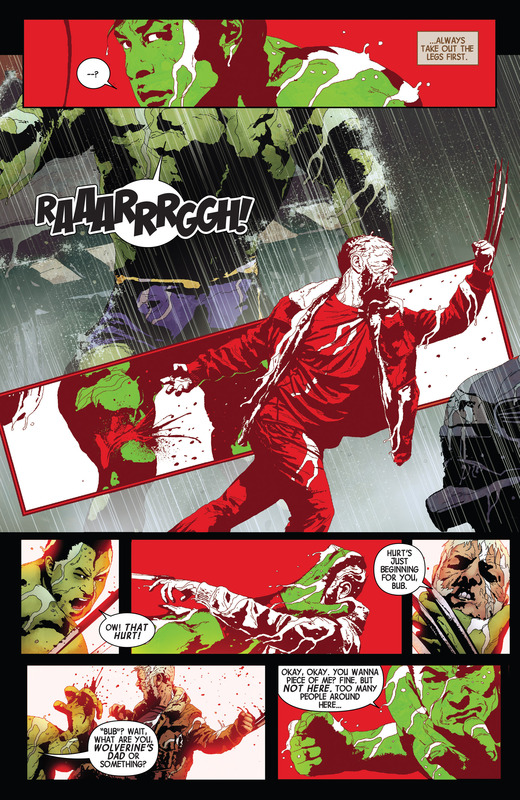 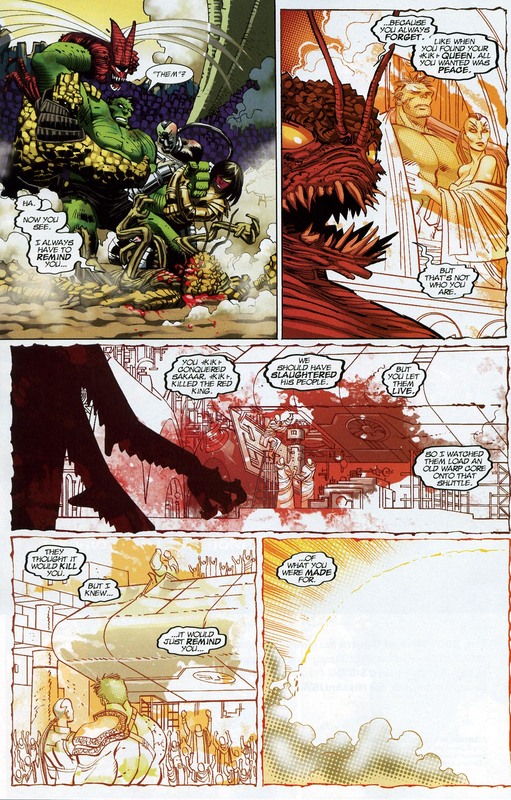 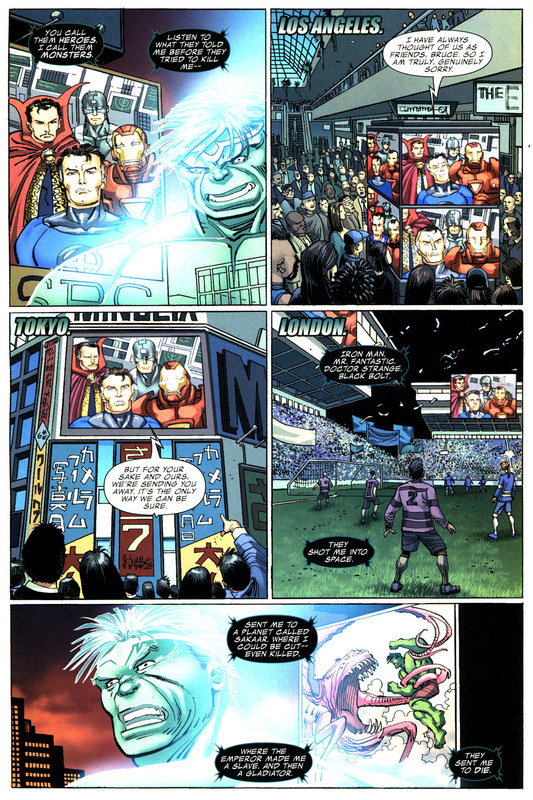 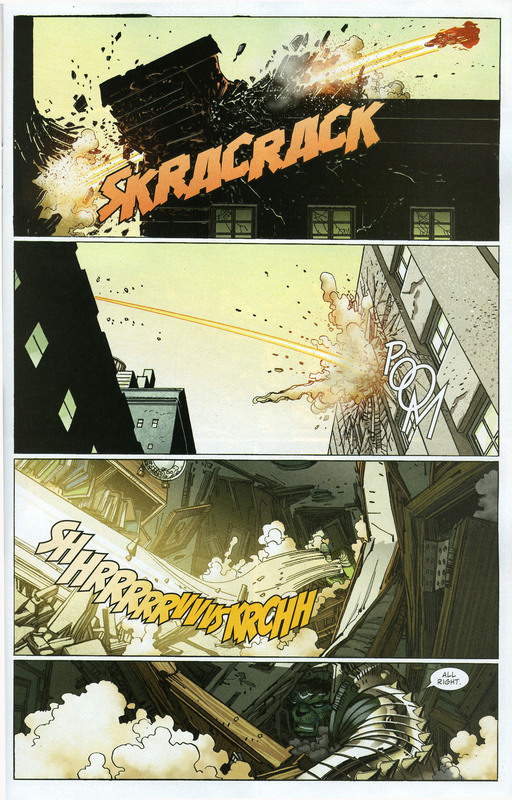 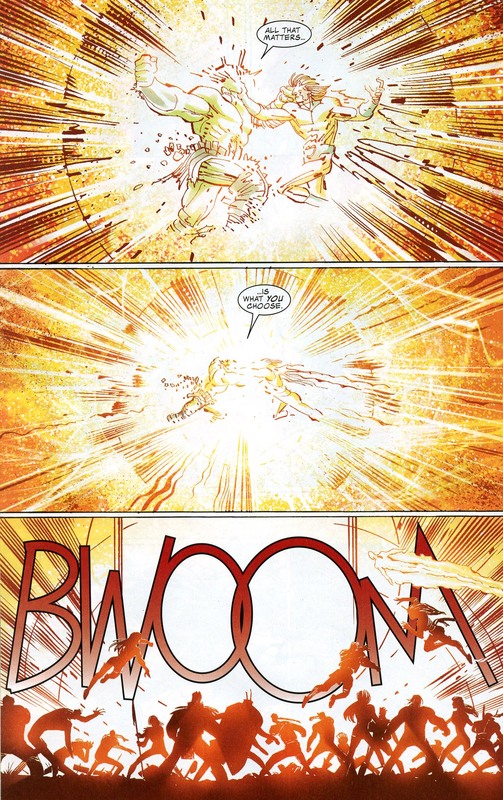 Other references to the song were featured in Rocket’s appearance in this issue of The Incredible Hulk which was titled “Now Somewhere In the Black Holes of Sirius Major There Lived a Young Boy Named Rocket Raccoon” which saw the Hulk help Rocket stop a villain trying to steal “Gideon’s Bible”, which in the Marvel Universe was a book that contained the sum of all knowledge on the Loonies colony. 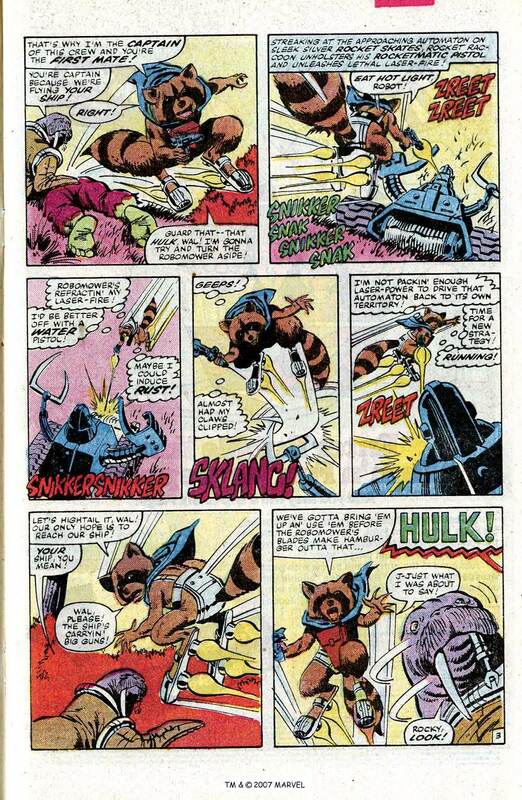 Rocket Raccoon acts as the “Guardian of the Keystone Quadrant”, an area of outer space sealed off from the rest of the cosmos by the so-called Galacian Wall. 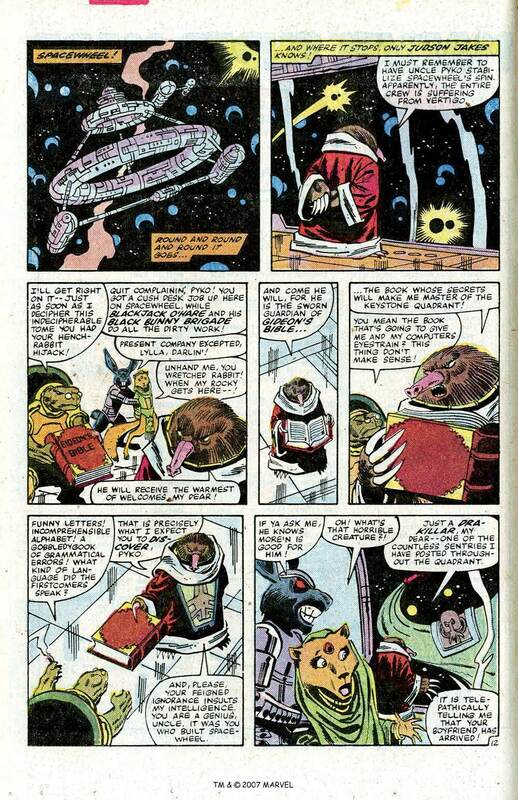 Rocket is captain of the starship Rack ‘n’ Ruin, and he and his first mate Wal Rus (a talking walrus) come from the planet Halfworld in the Keystone Quadrant, an abandoned colony for the mentally ill where the animal companions were genetically manipulated to grant them human level intelligence and bipedal body construction for many to become caretakers of the inmates. 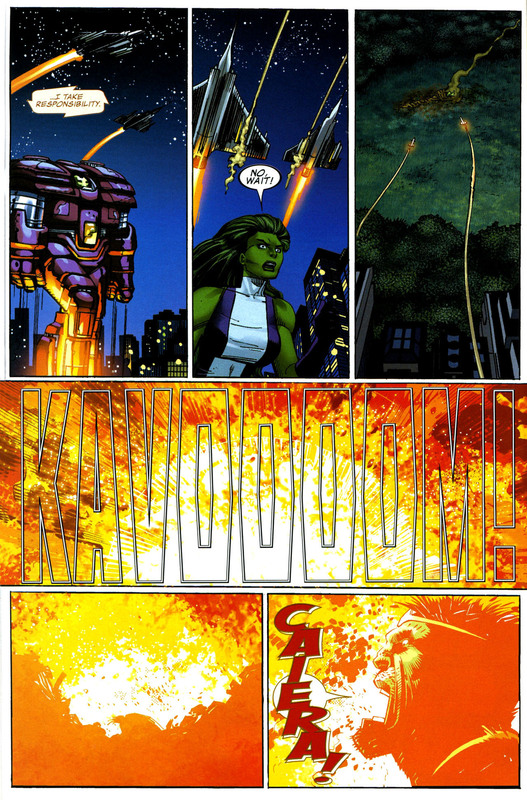 Rocket was Halfworld’s chief law officer (“ranger”) who protected the colony against various threats. 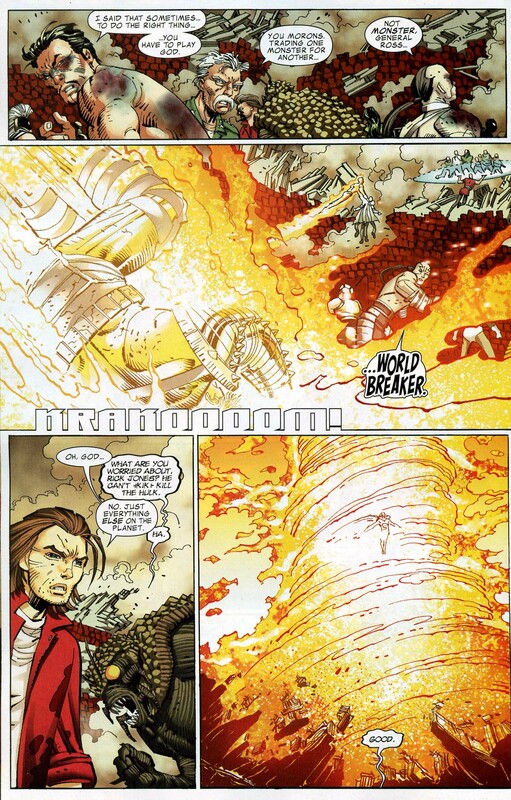 At one point, Judson Jakes tried to steal the Halfworld Bible, but was thwarted by Rocket and various animal associates. 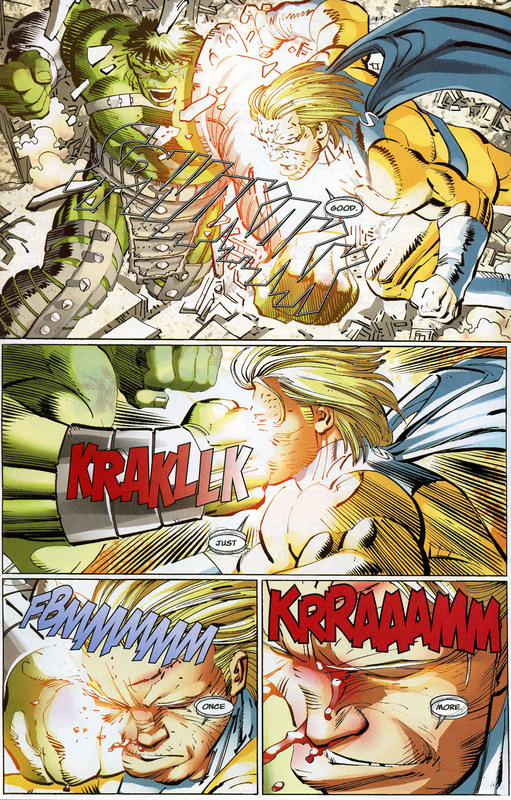 Later, Lord Dyvyne abducted Rocket’s friend Lylla, and Jakes began the Toy War. 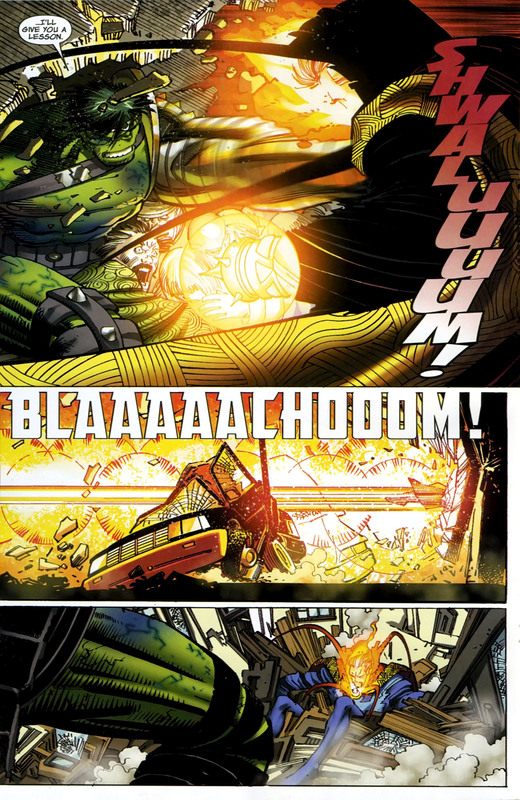 As the Toy War continued, Blackjack O’Hare teamed up with Rocket, and Rocket was reunited with Lylla. 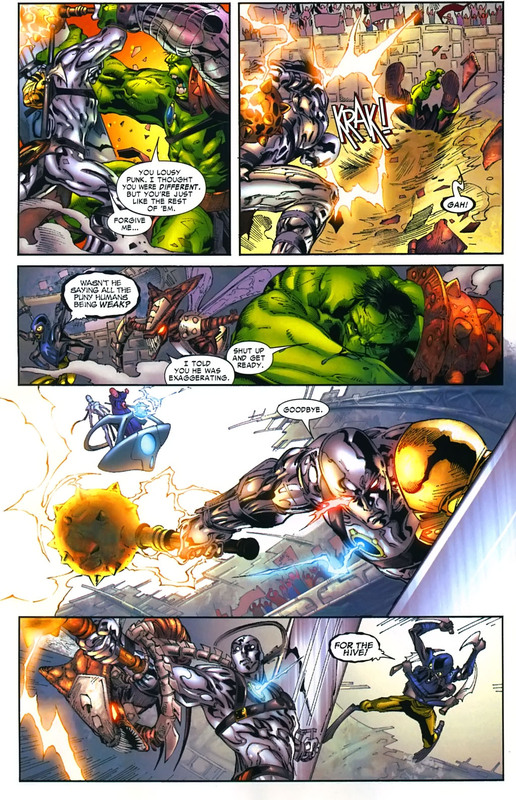 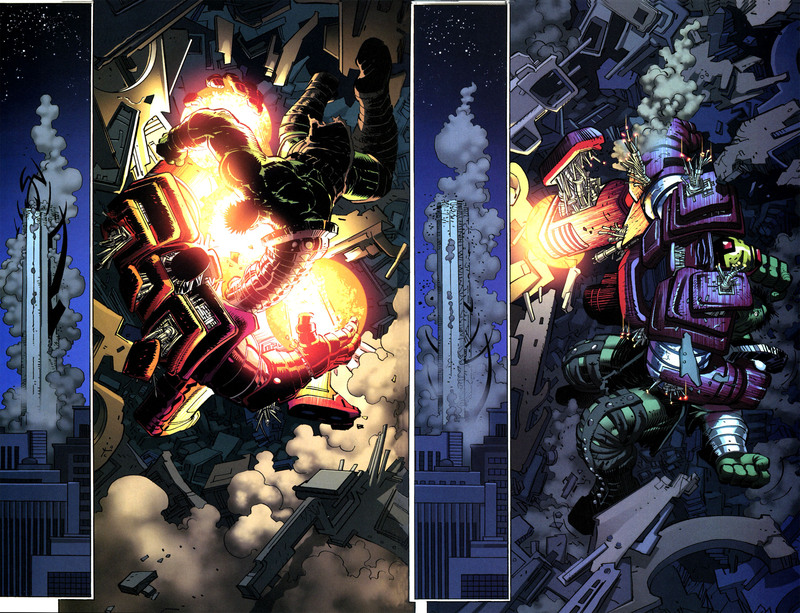 The Rack ‘n’ Ruin was soon destroyed, as Judson Jakes and Lord Dyvyne teamed up to kill Rocket Raccoon. 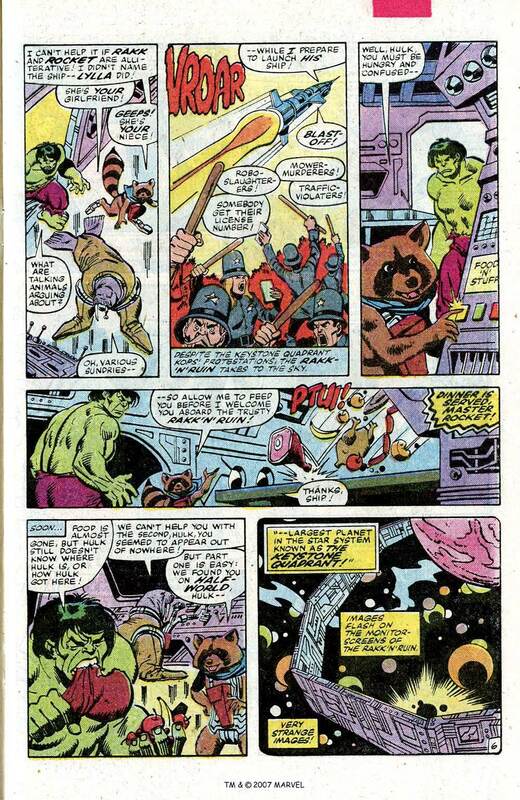 Rocket Raccoon and his friends cured the Loonies of their mental illnesses, as Judson Jakes and Lord Dyvyne were apparently killed. 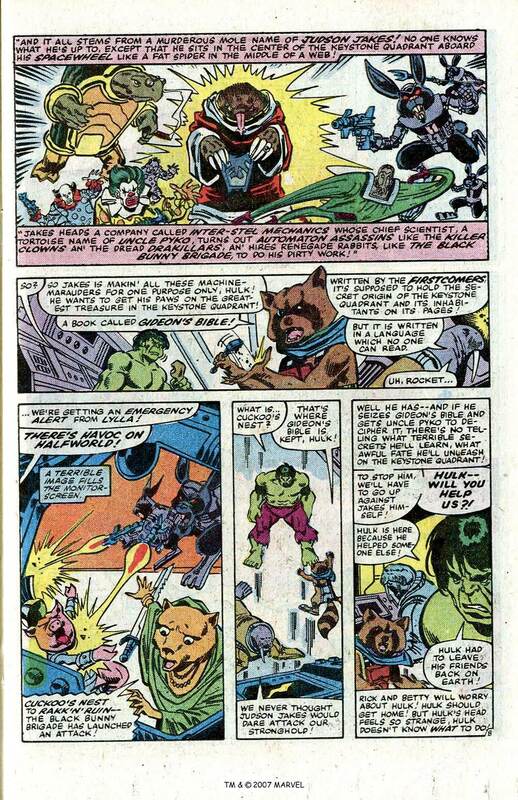 Rocket and the animals as well as the robots left Halfworld and took off into space for their own adventures. 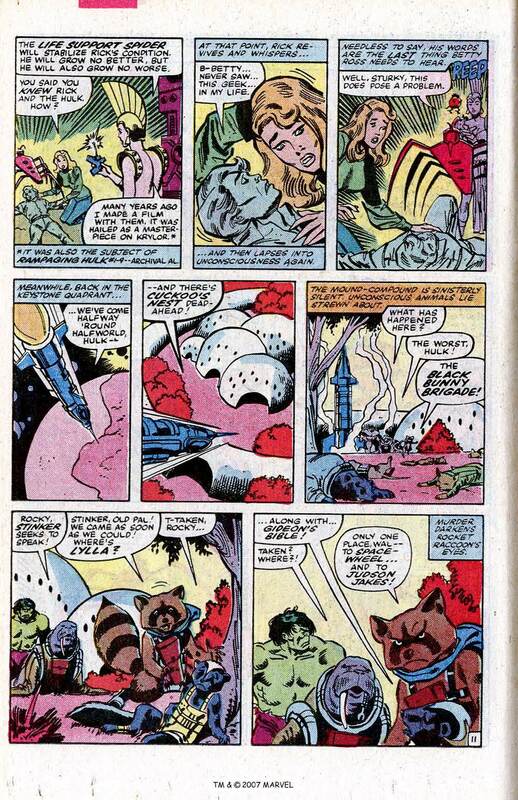 Some time later, Rocket was revealed to have been a laboratory subject on the Stranger’s planet, and escaped his captivity there. 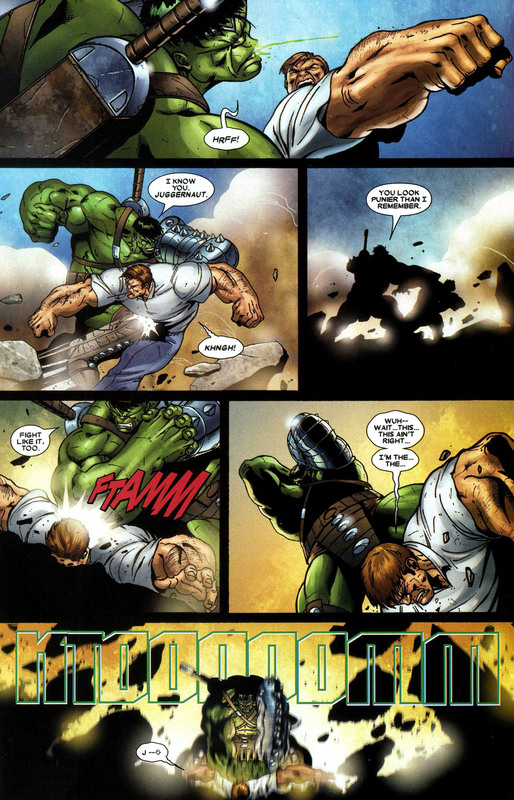 This entry was posted in Hulk, Rocket Raccoon and tagged hulk, Marvel Comics, rocket raccoon on January 11, 2016 by lowbrowcomics.